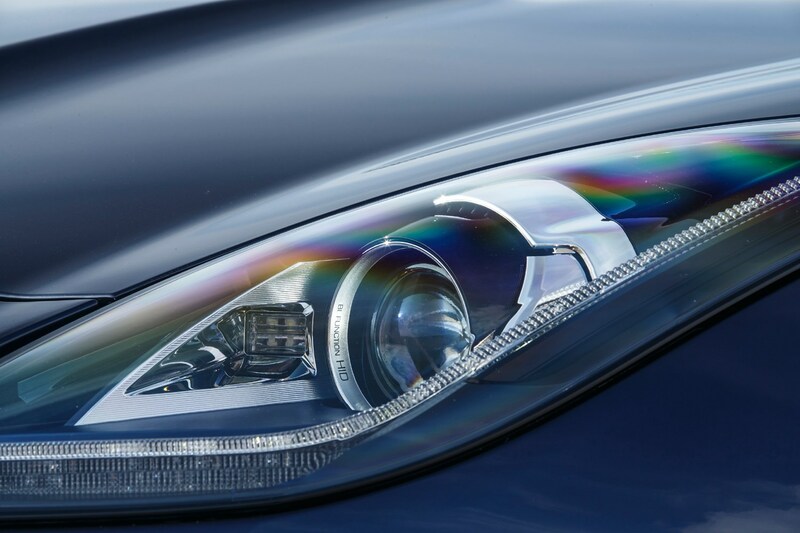 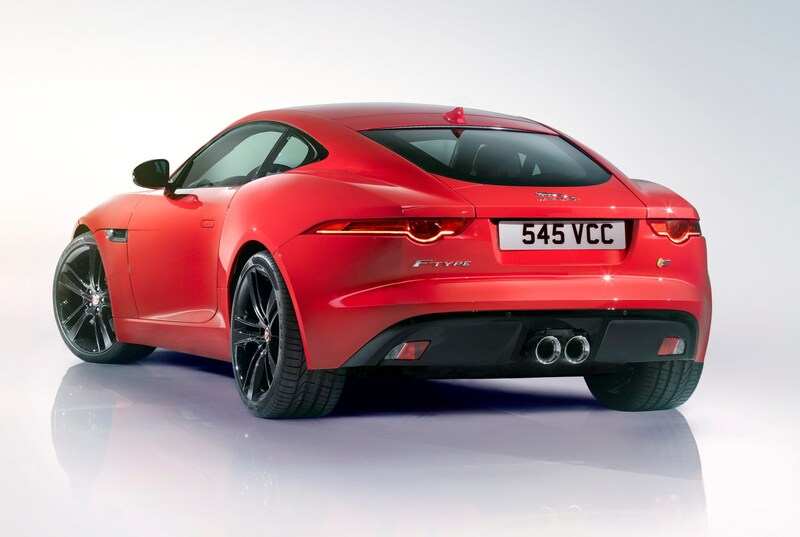 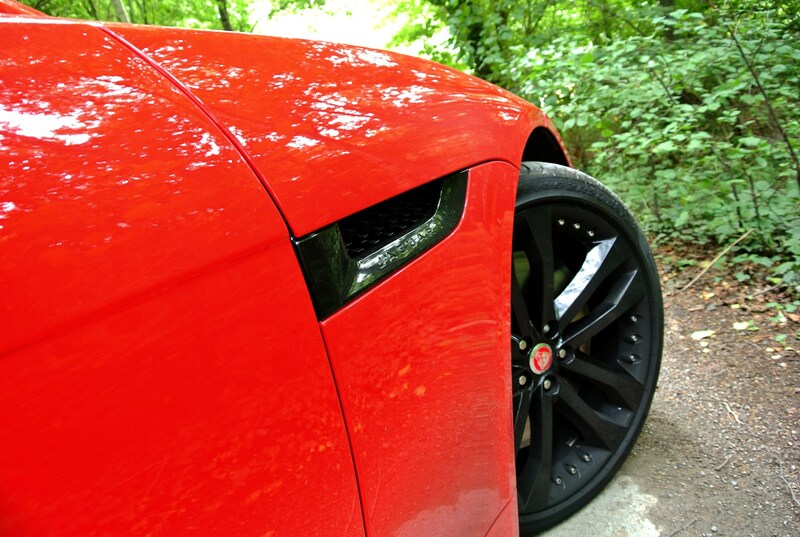 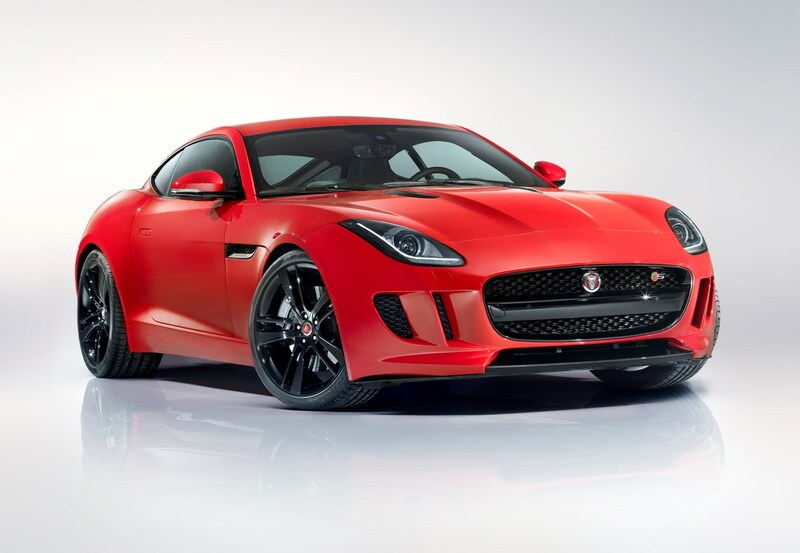 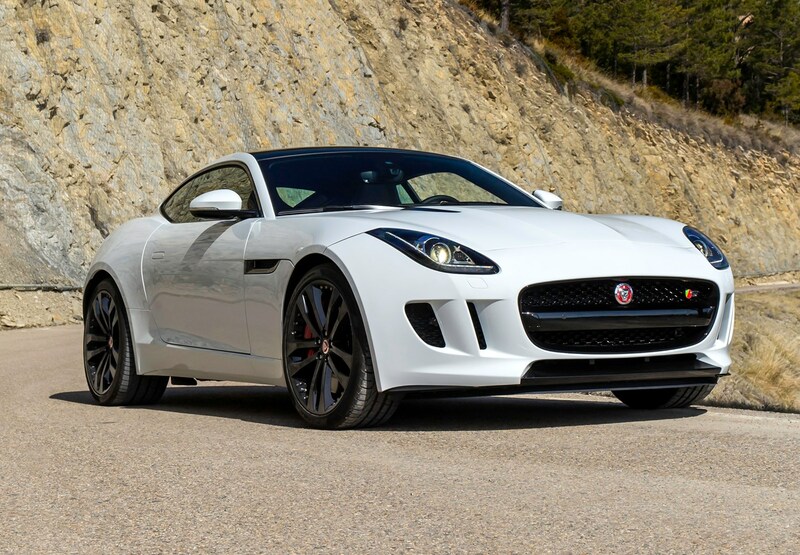 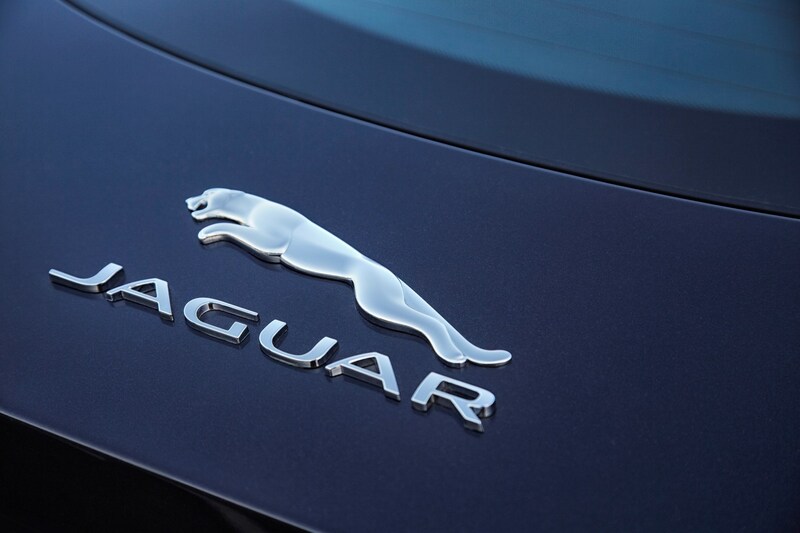 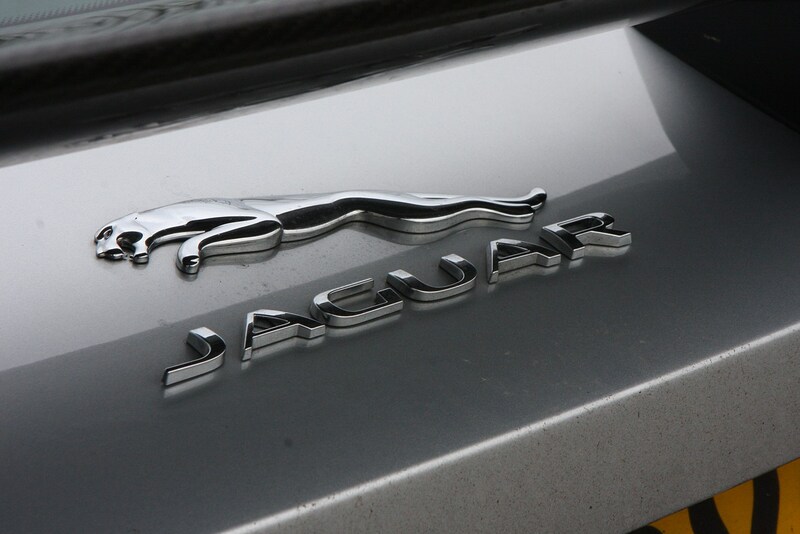 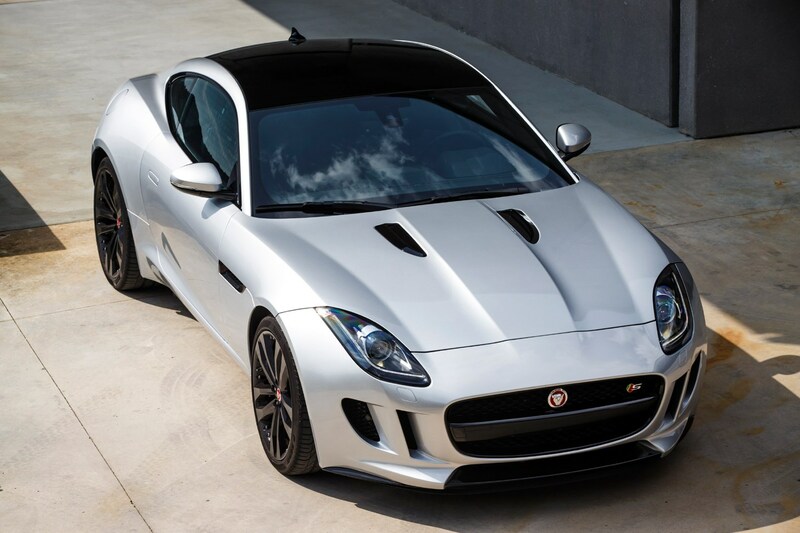 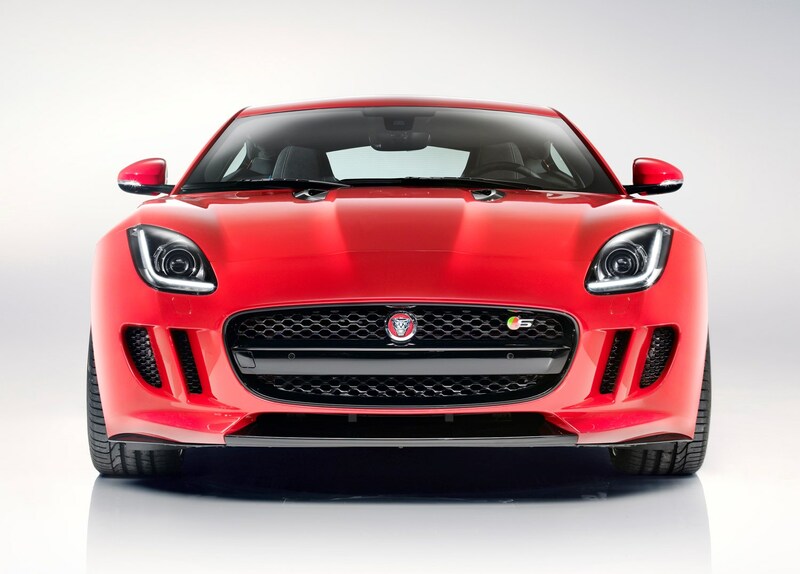 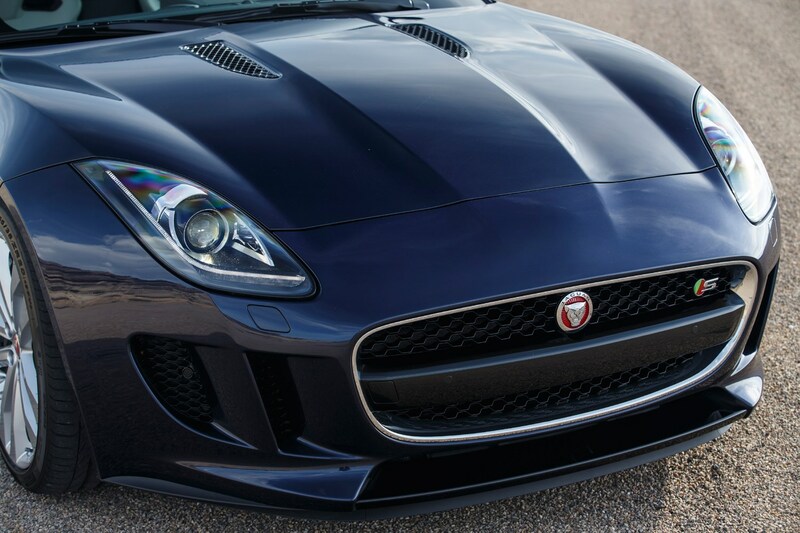 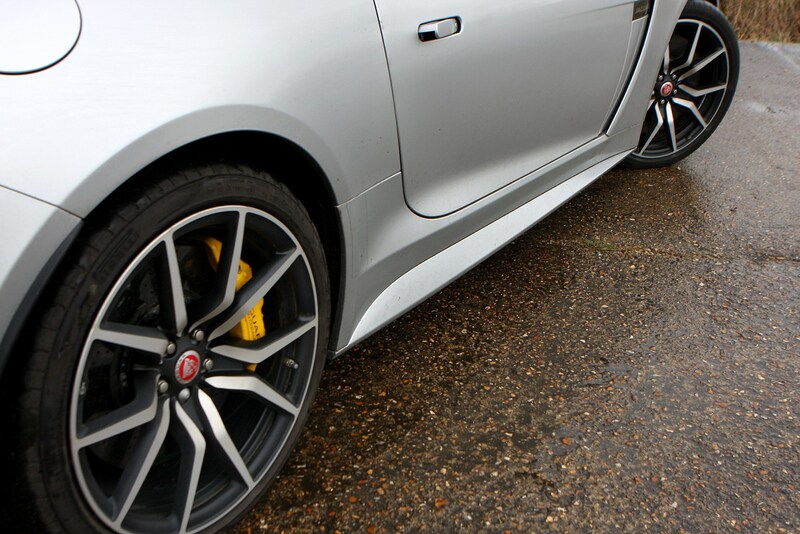 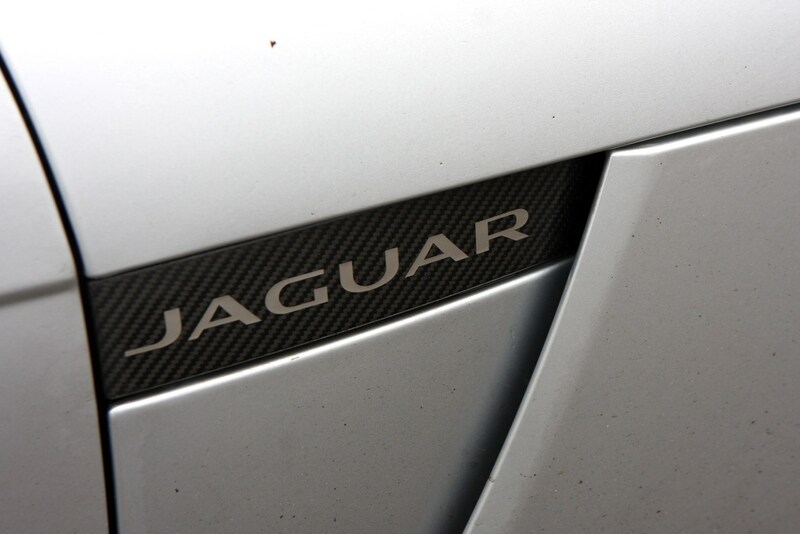 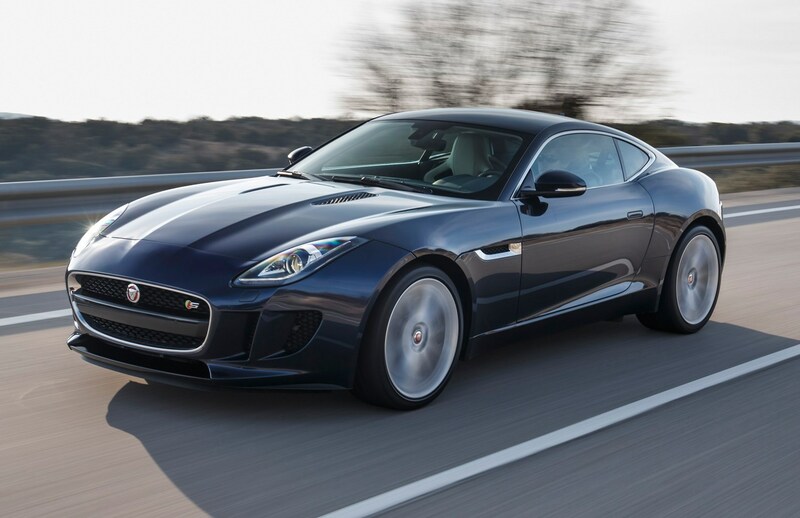 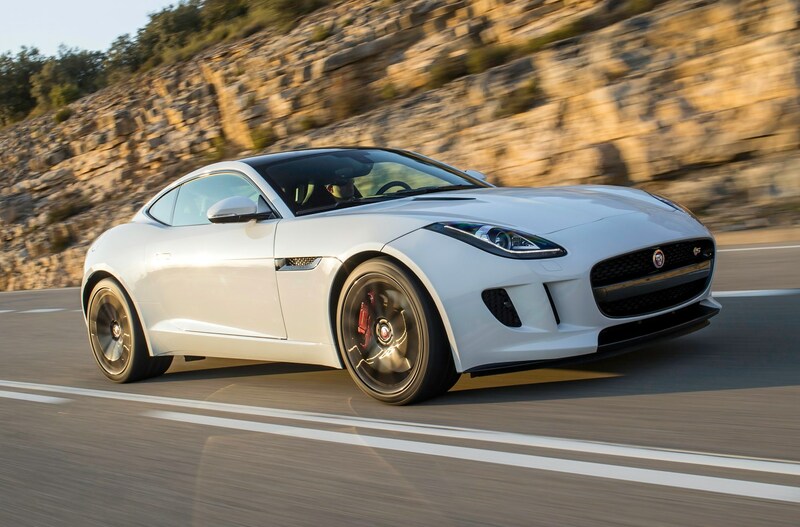 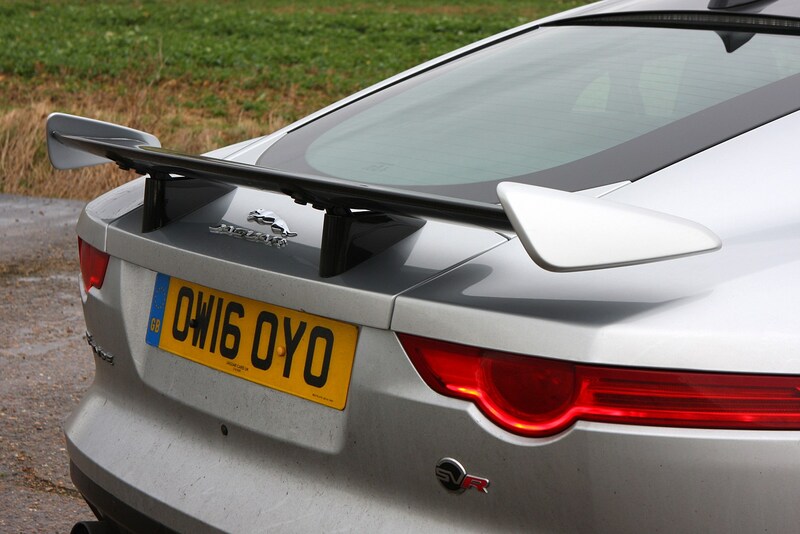 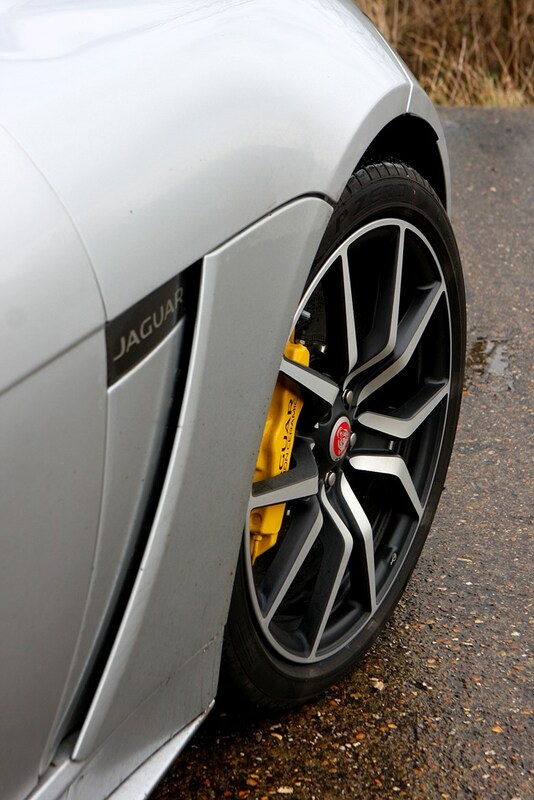 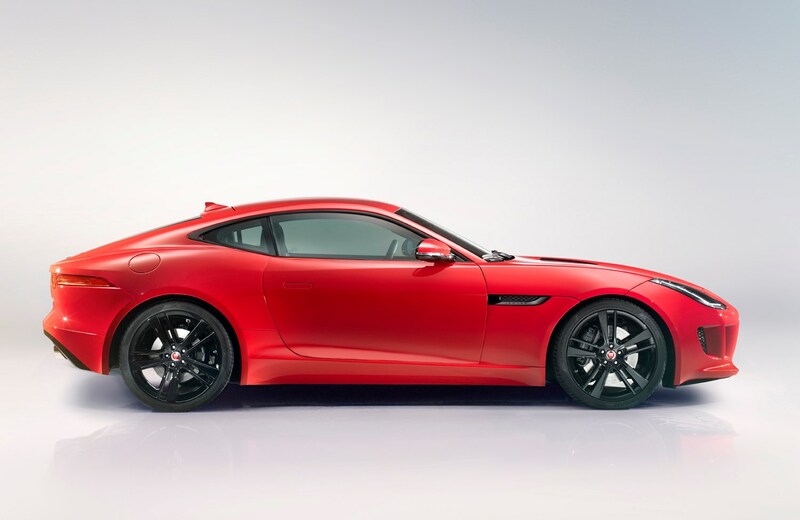 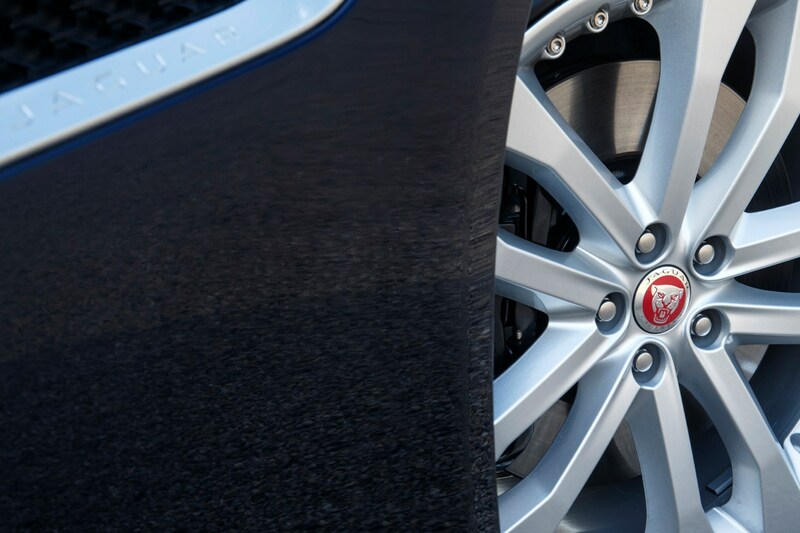 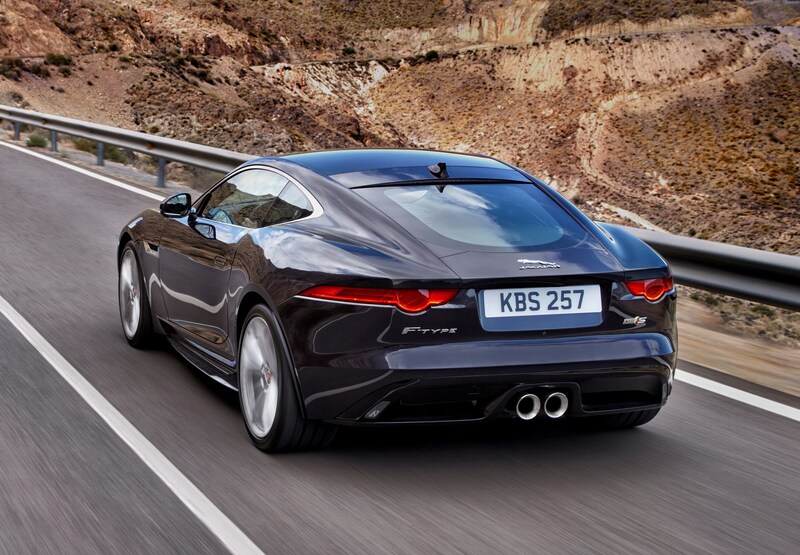 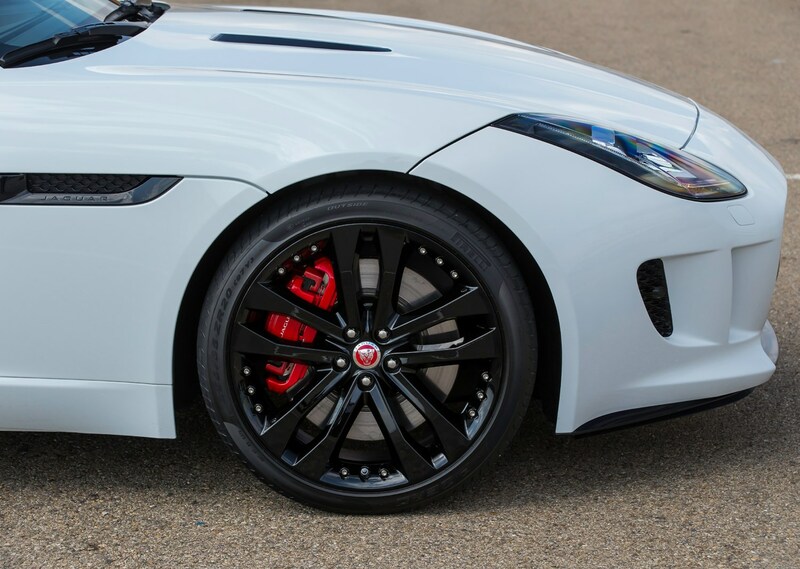 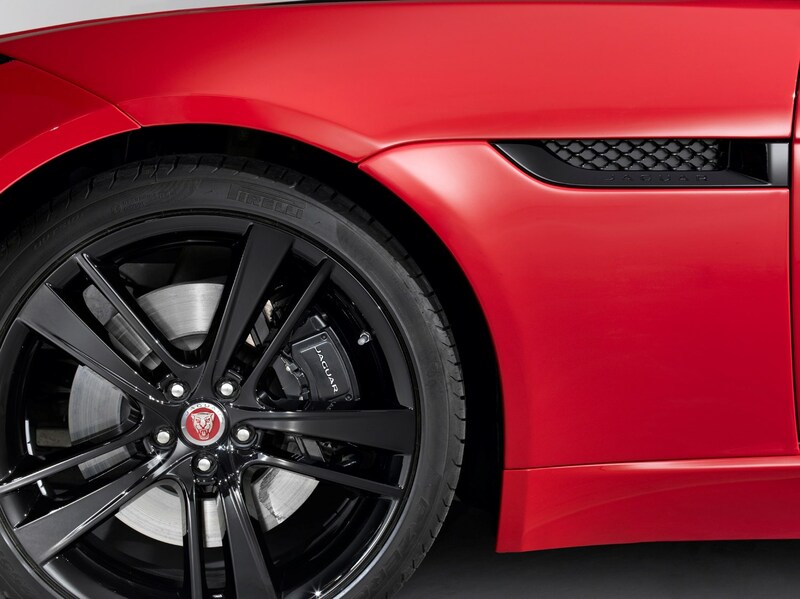 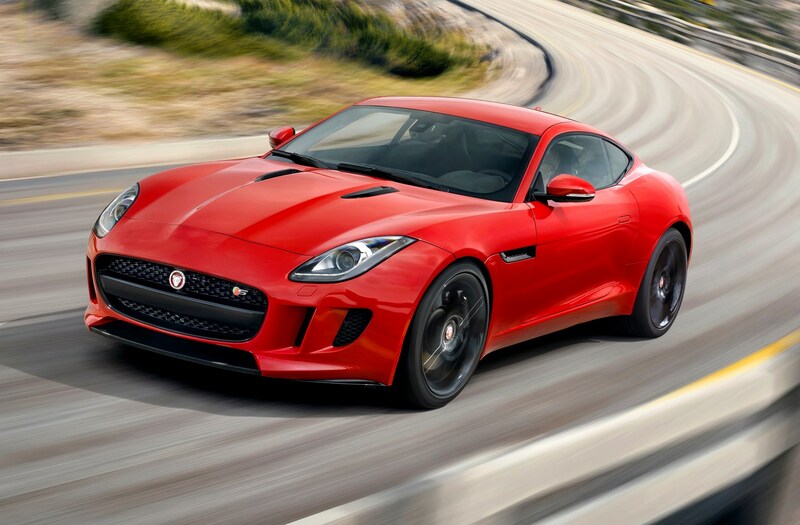 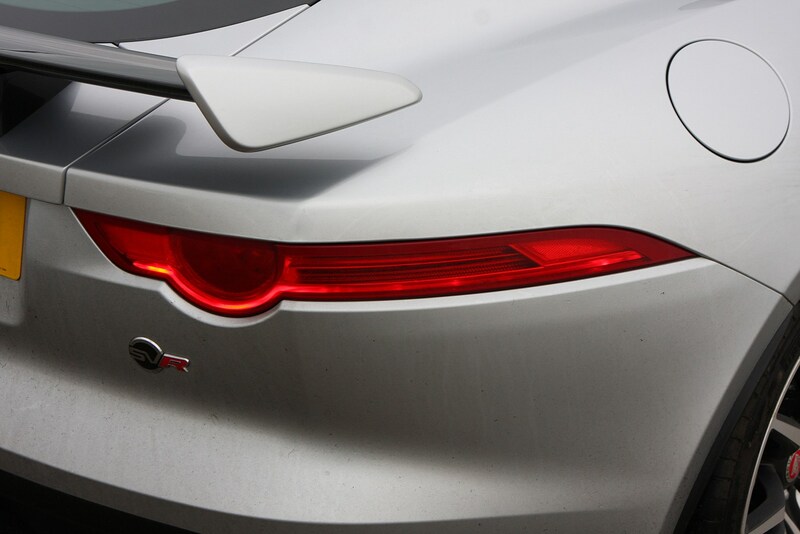 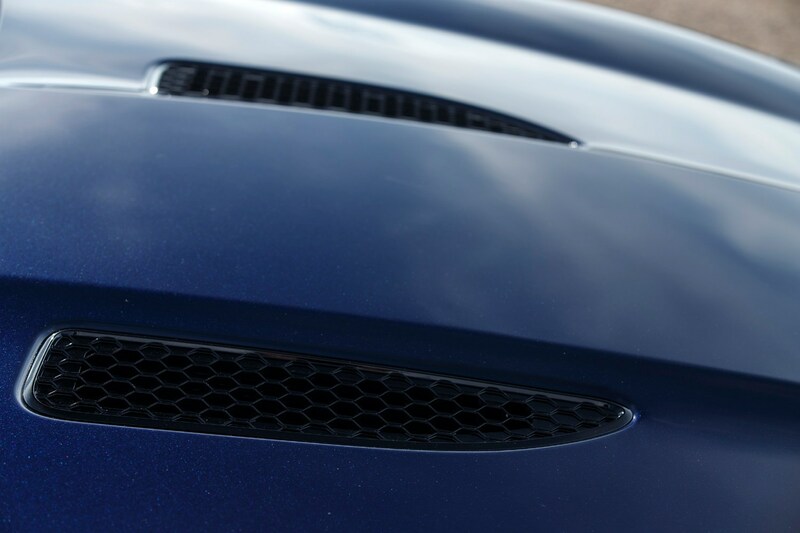 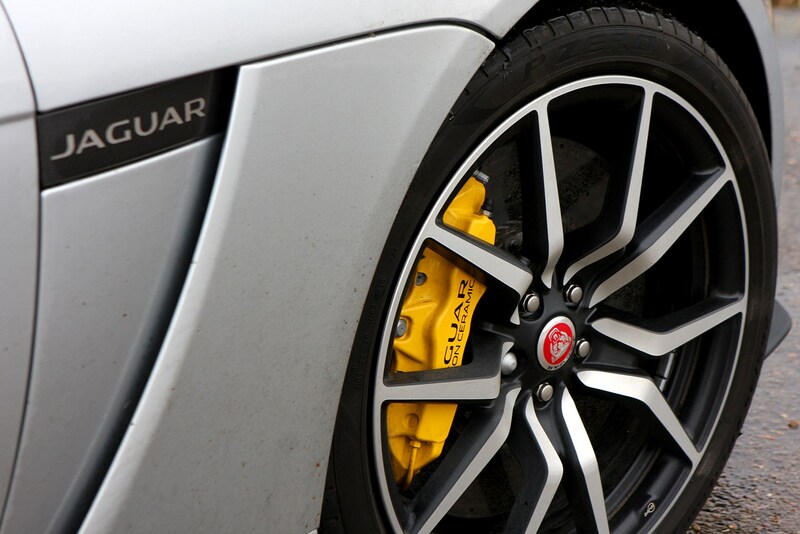 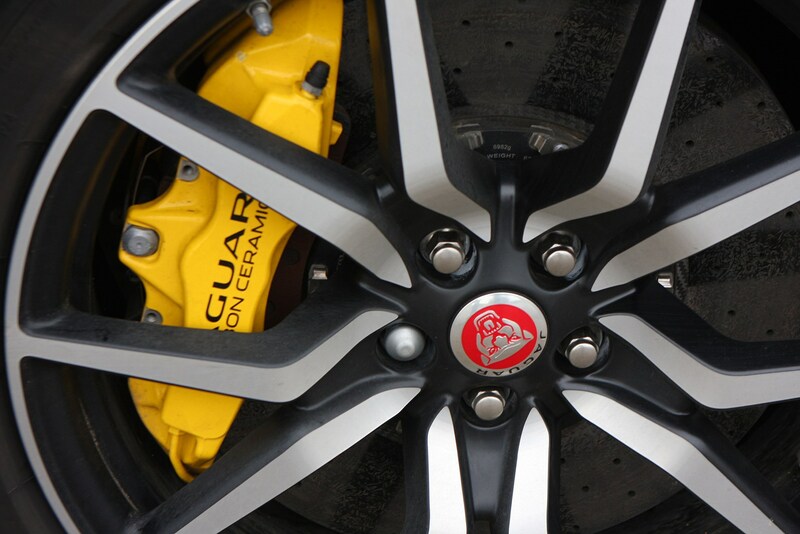 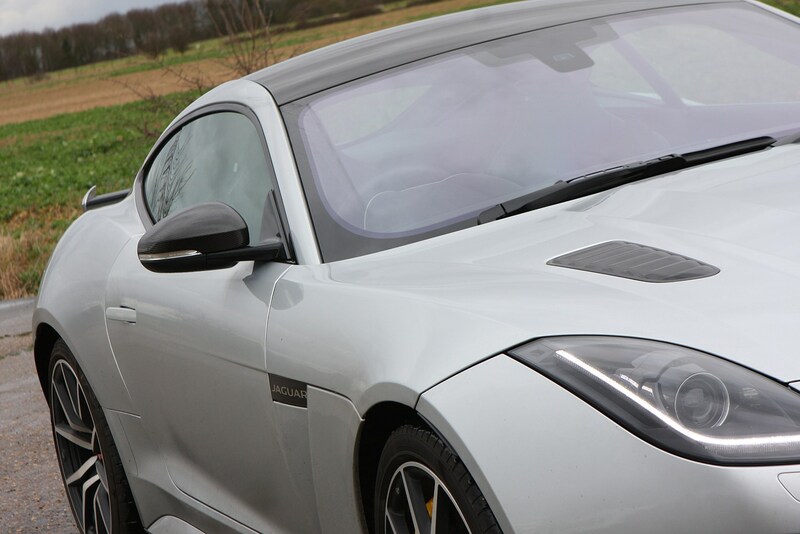 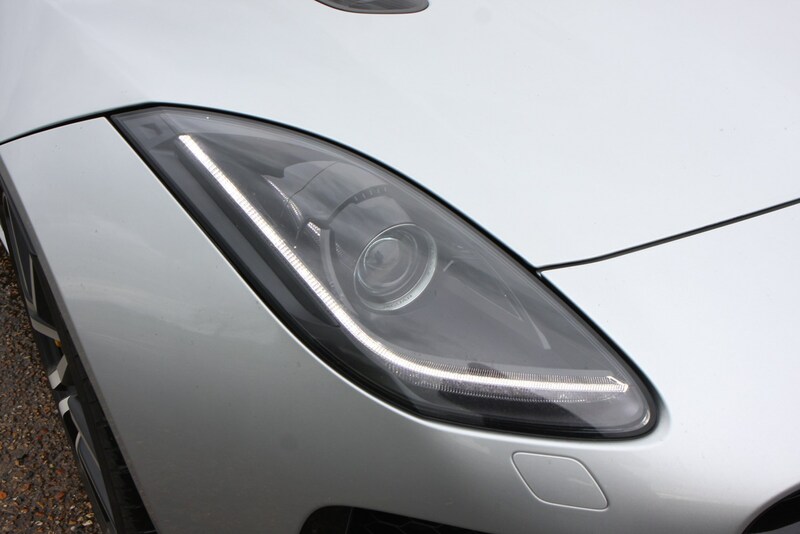 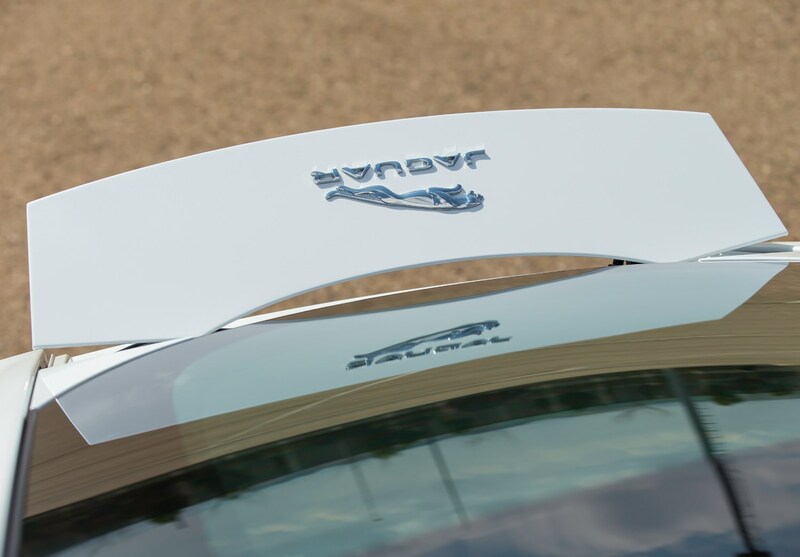 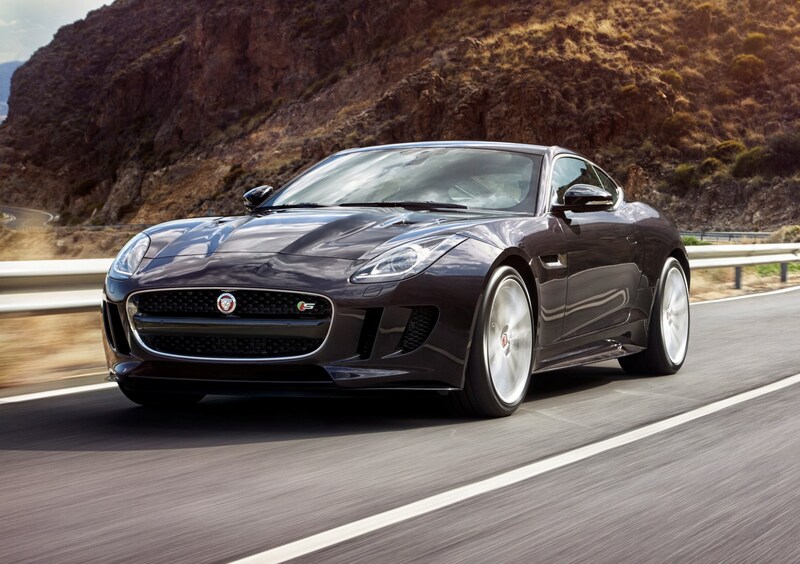 The Jaguar F-Type Coupe is the sole sportscar offering in the Coventry-based manufacturer’s model line-up. 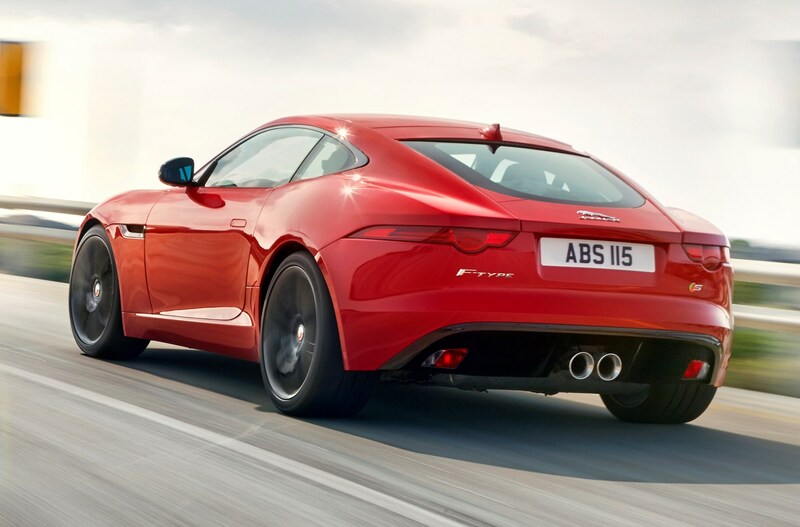 It simultaneously offers buyers a cheaper alternative to the Aston Martin Vantage and Porsche 911 Coupe as well as the more modest Lexus LC and Porsche 718 Cayman, thanks to a more cost-effective 2.0-litre petrol launched in 2017. 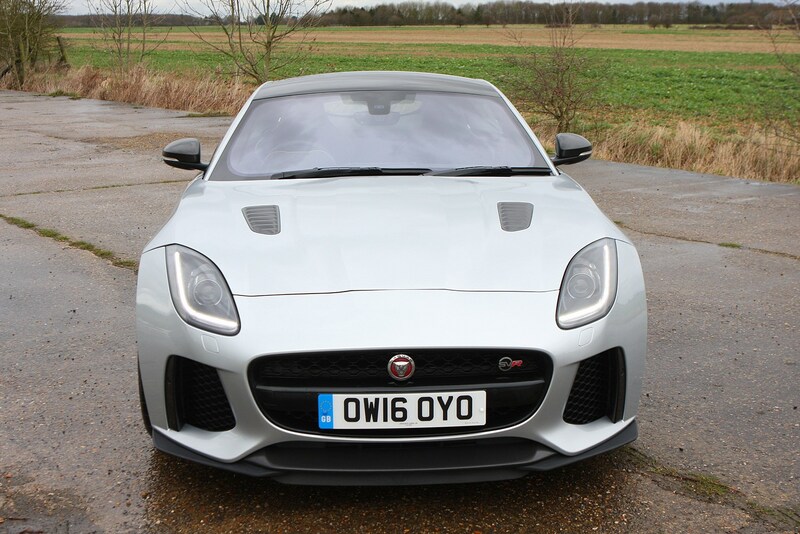 Also available as a convertible, it’s swooping lines and distinctive silhouette mean that many buyers may be sold on looks alone, yet there’s far more to the charm of this car than mere aesthetics. 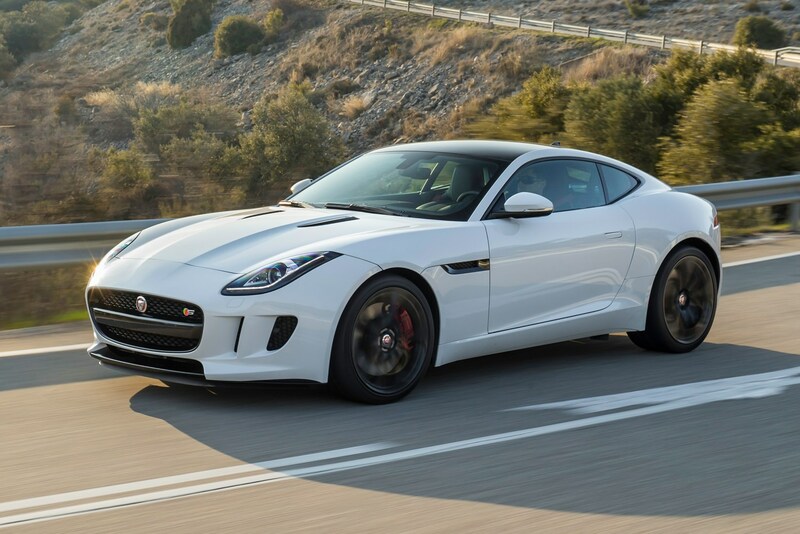 Read on to find out why the Jaguar F-Type Coupe is currently one of our favourite sports cars on sale. 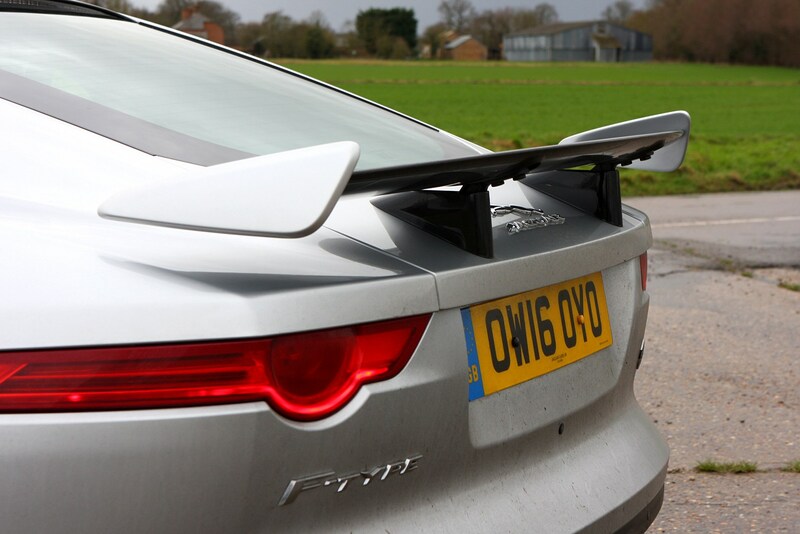 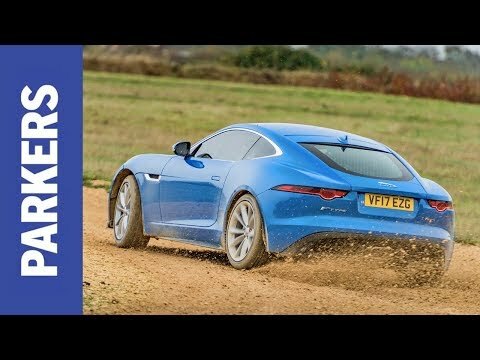 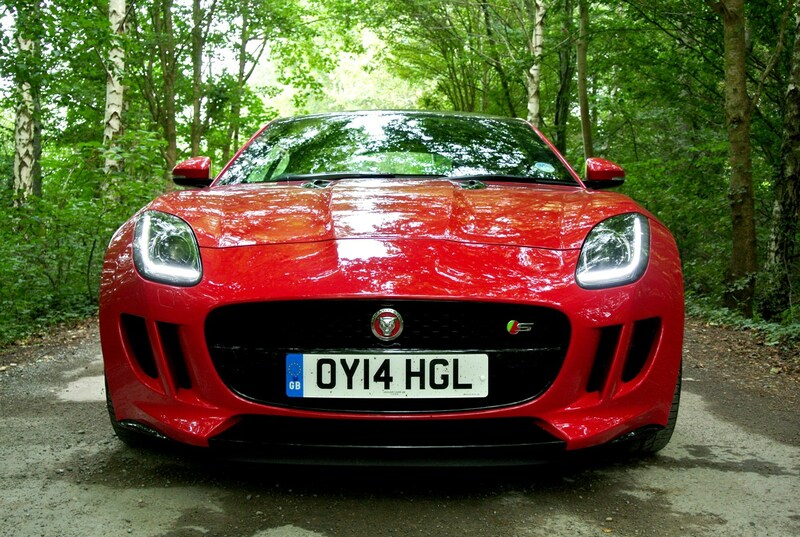 How fast is the Jaguar F-Type Coupe? 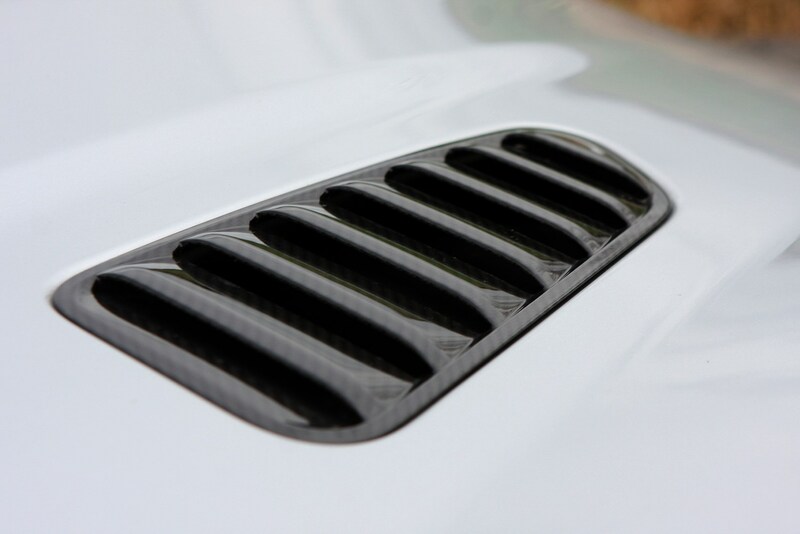 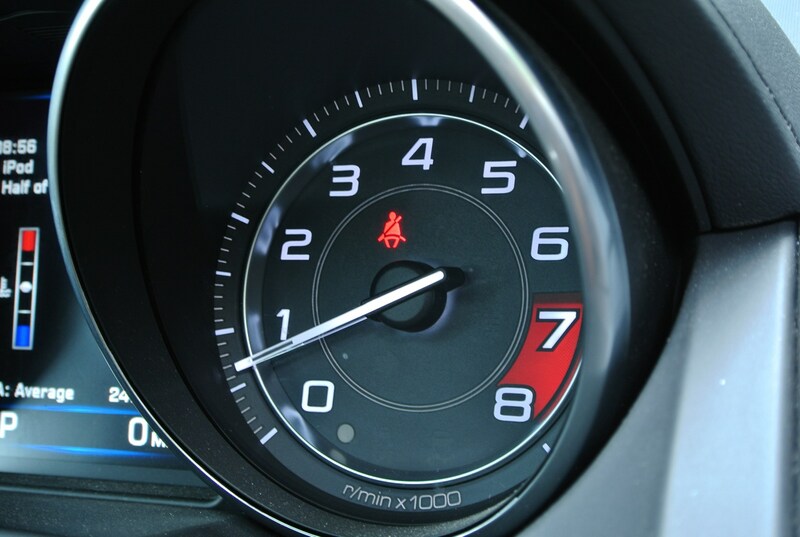 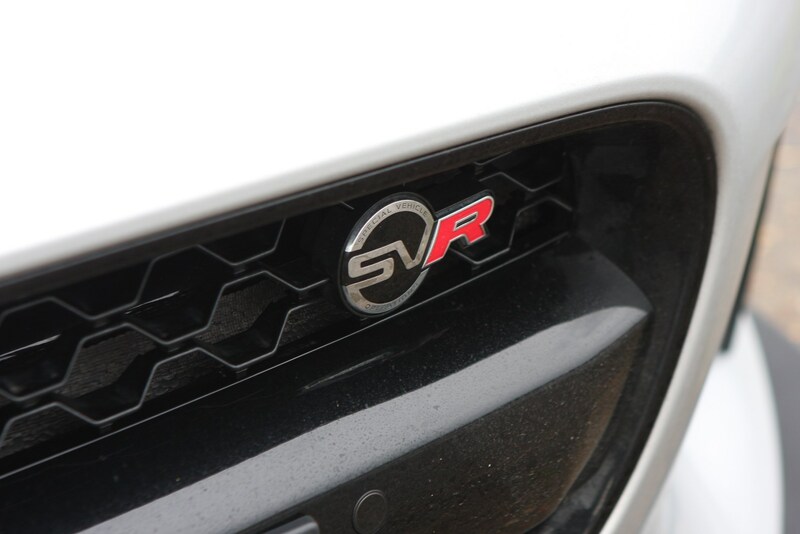 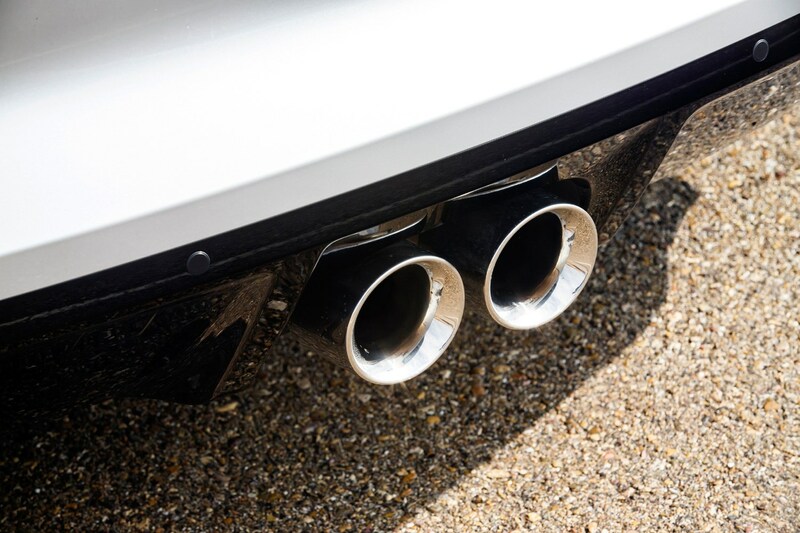 Even with an emotionally charged purchase, such as a high-end sports car, raw numbers can paint a very expressive picture. 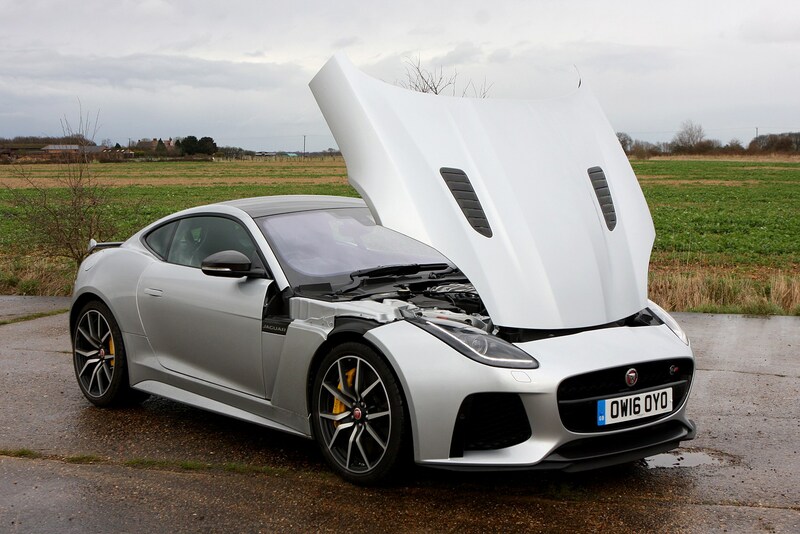 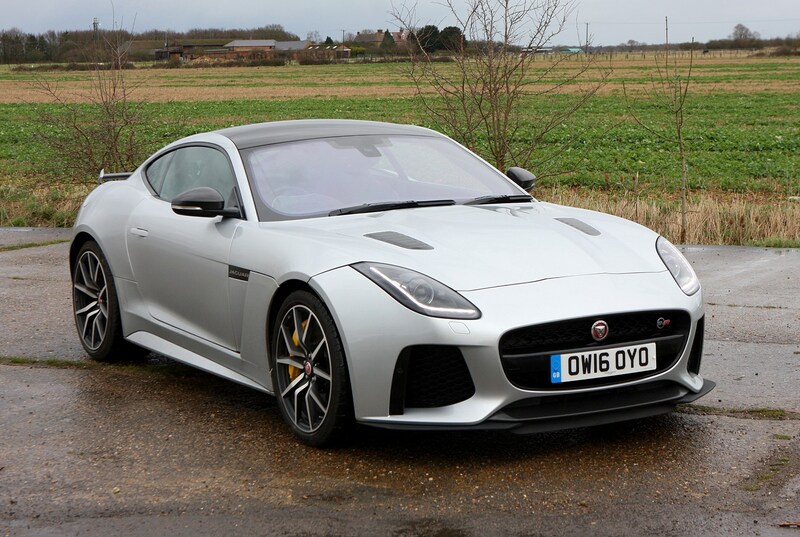 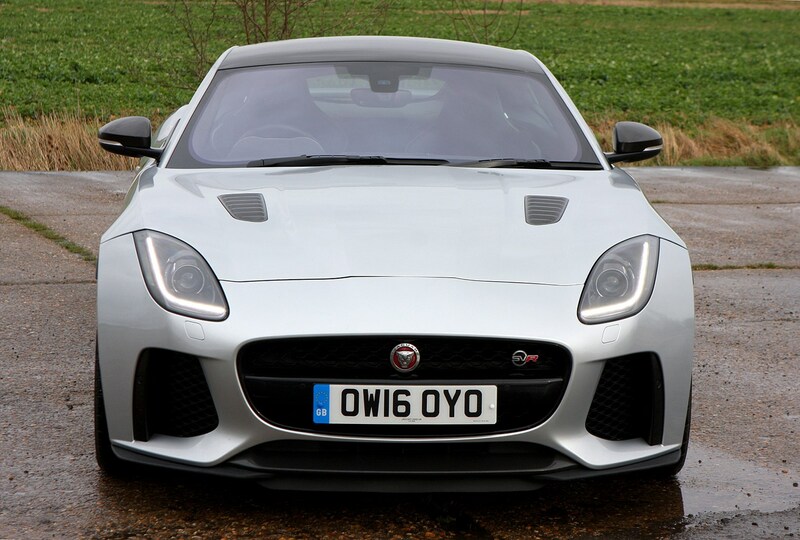 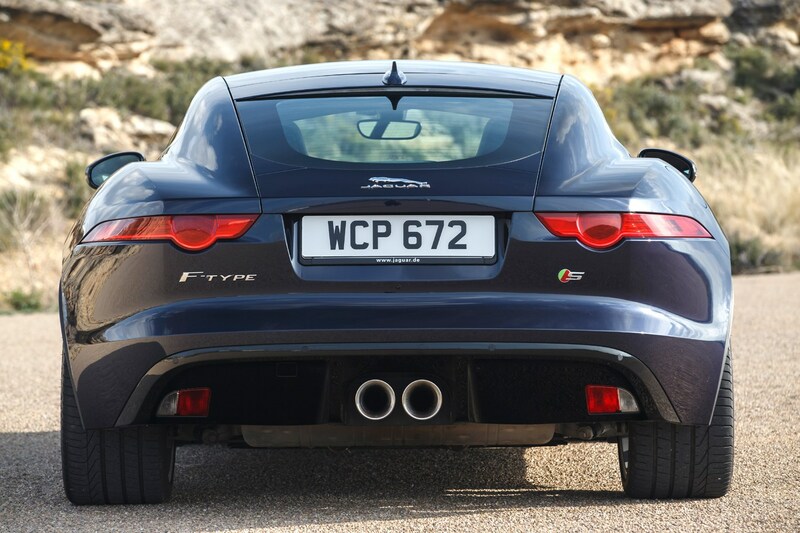 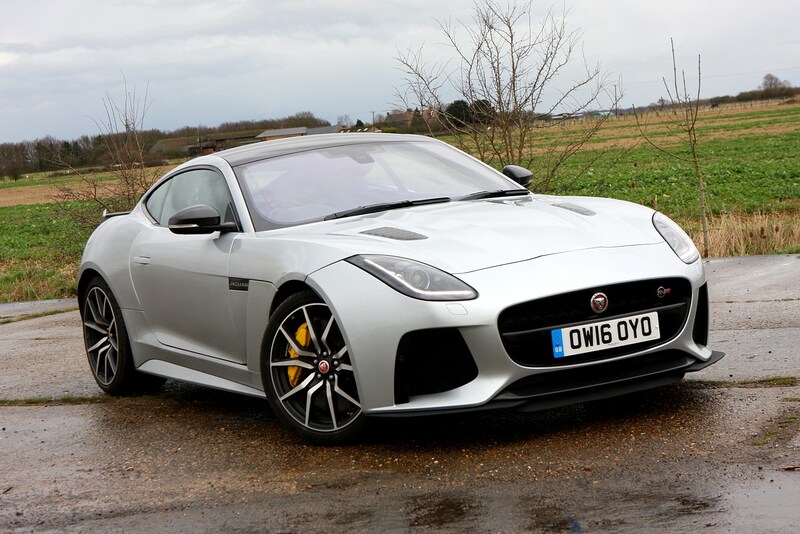 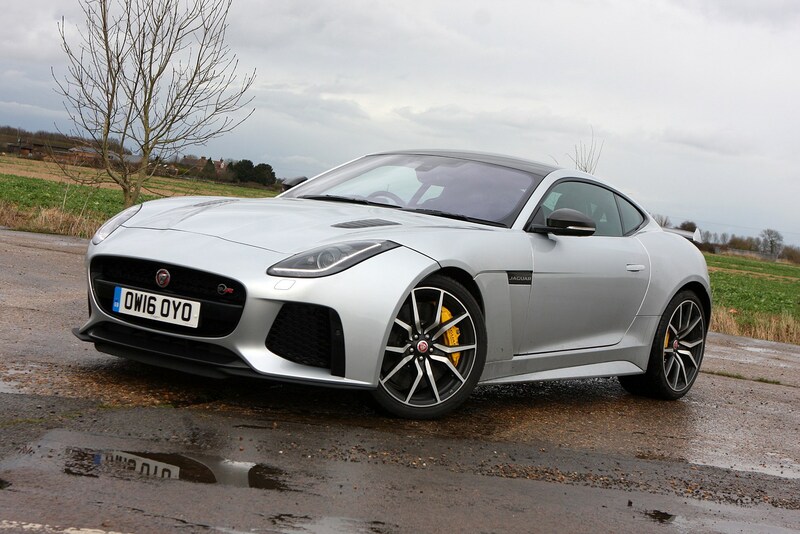 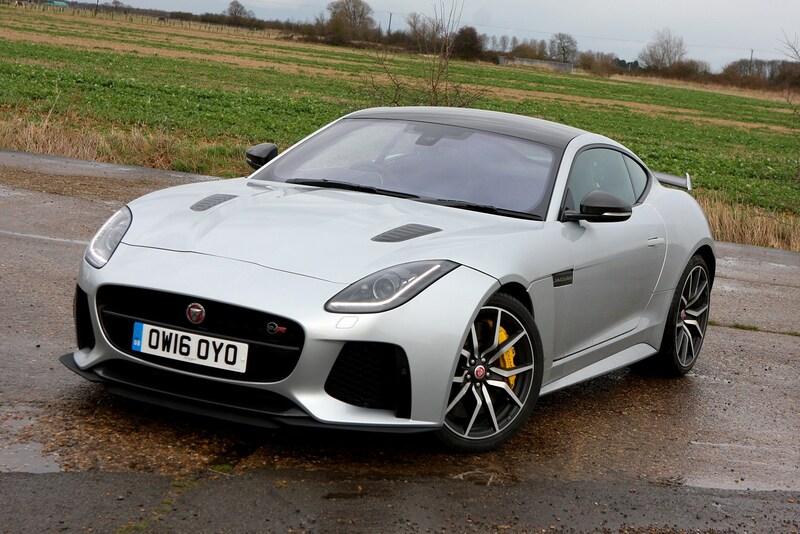 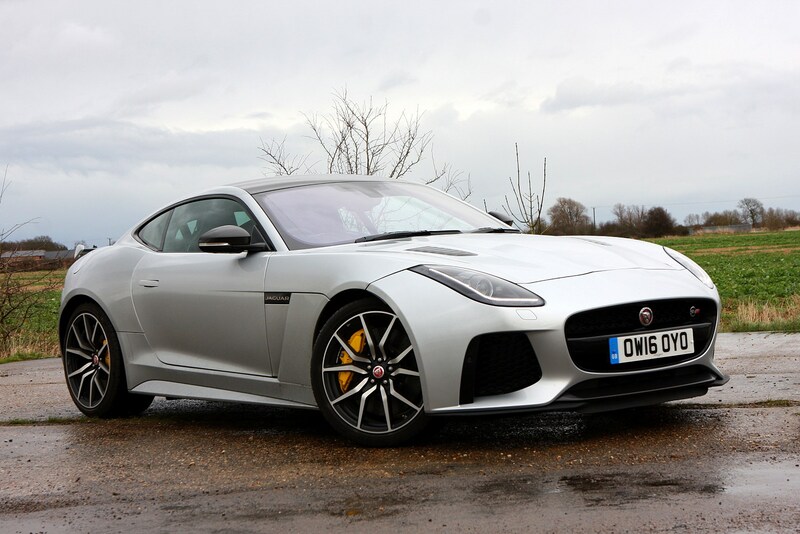 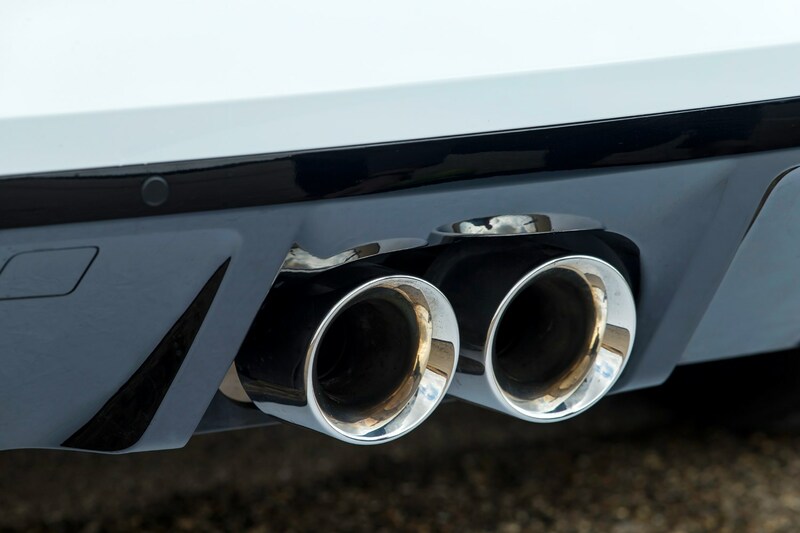 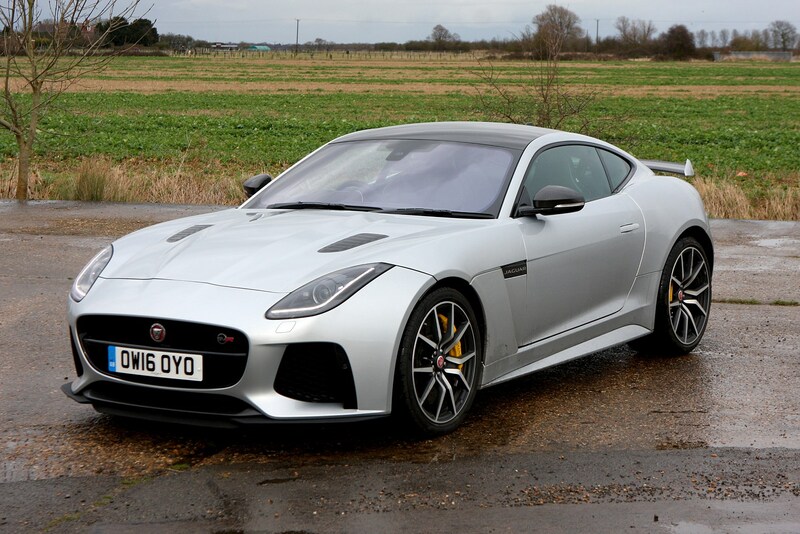 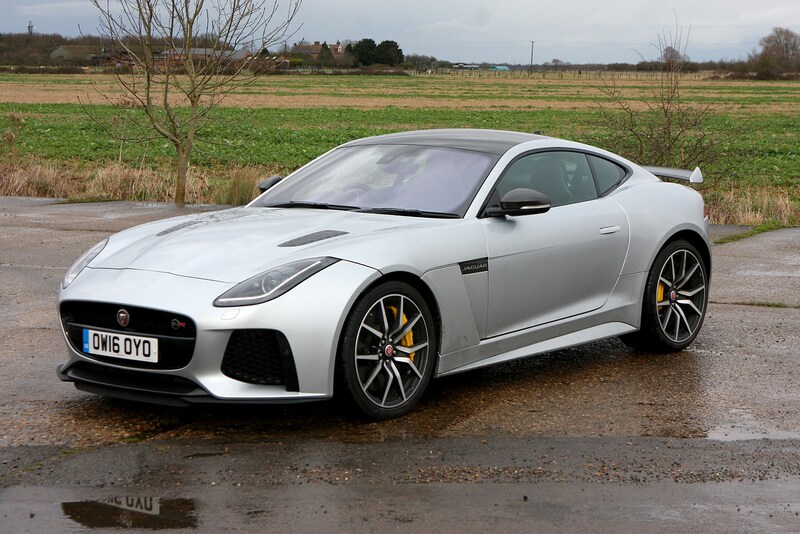 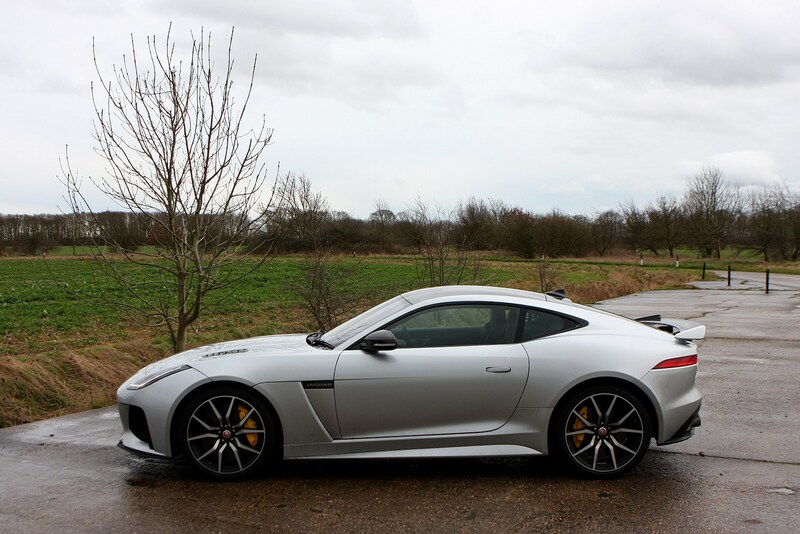 In terms of outright top speed, the slowest F-Type Coupe, powered by a turbocharged 300hp 2.0-litre engine can muster 155mph, while the flagship SVR and its supercharged 575hp 5.0-litre V8 can reach 200mph, with an addictively sonorous soundtrack to match. 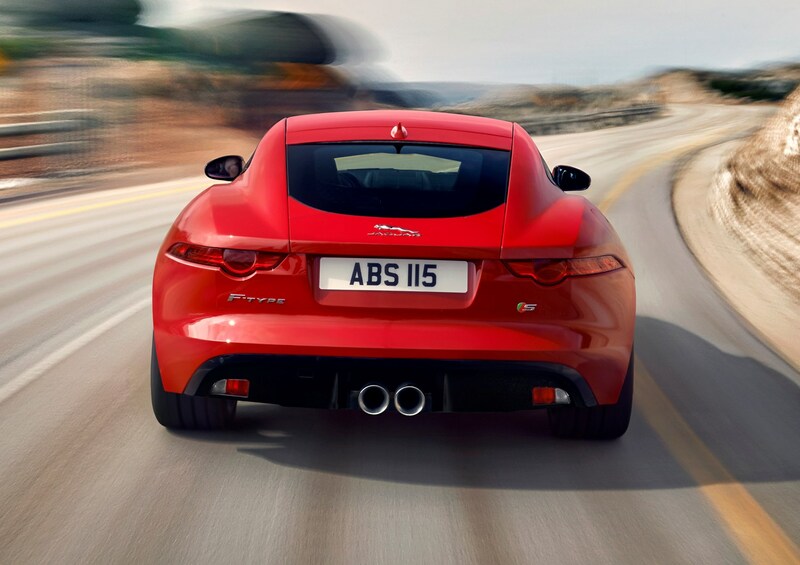 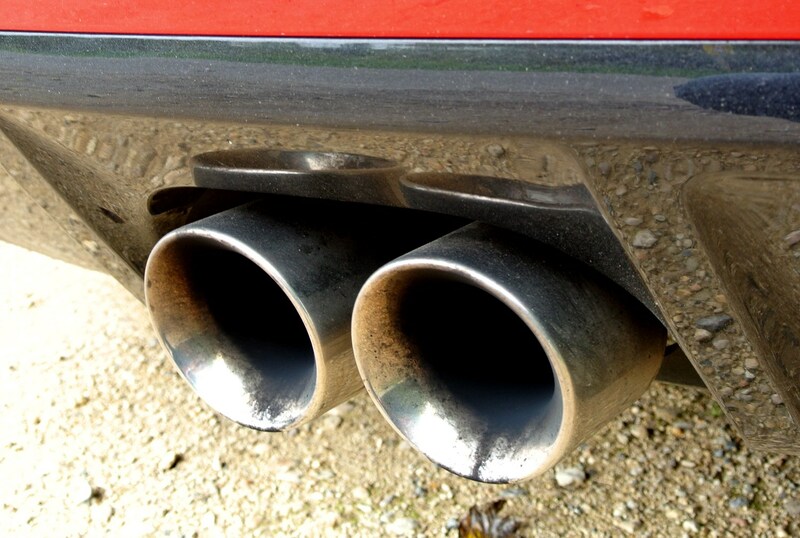 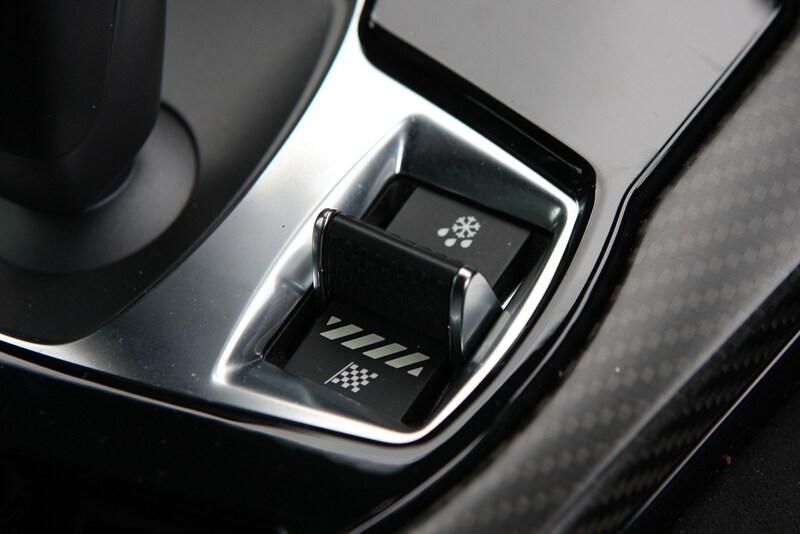 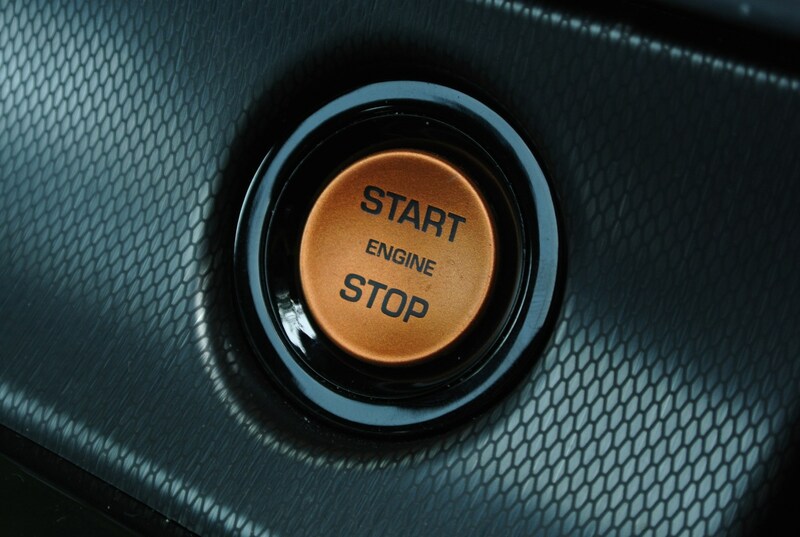 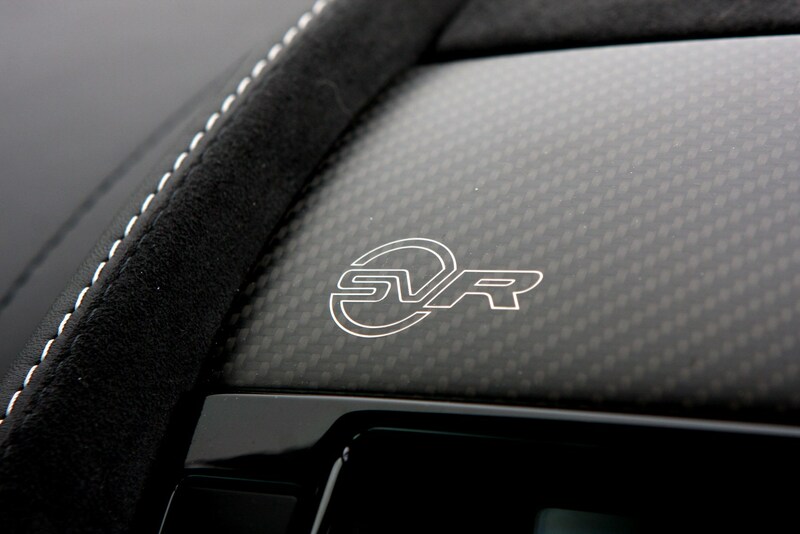 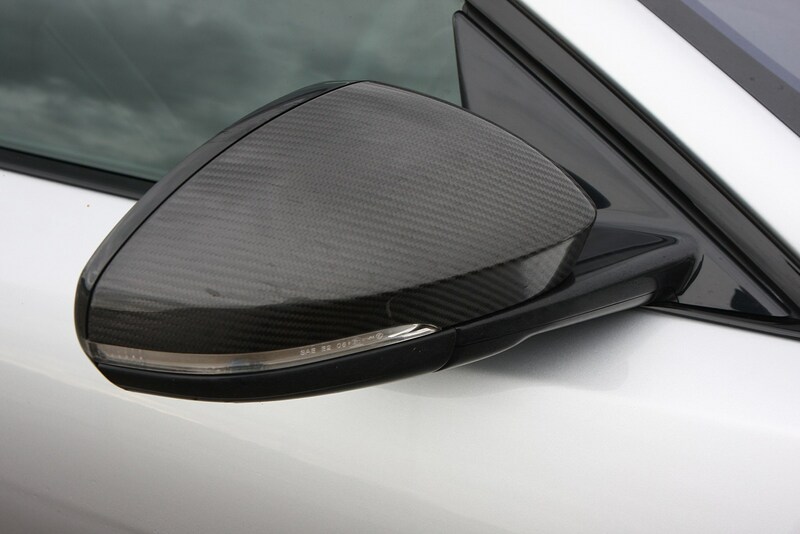 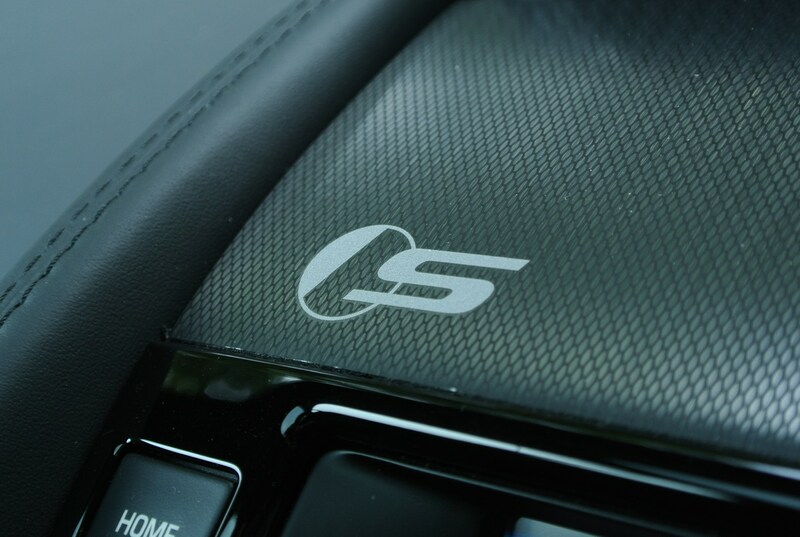 Respectively, those two clobber the 0-62mph acceleration benchmark in 5.7 and 3.7 seconds. 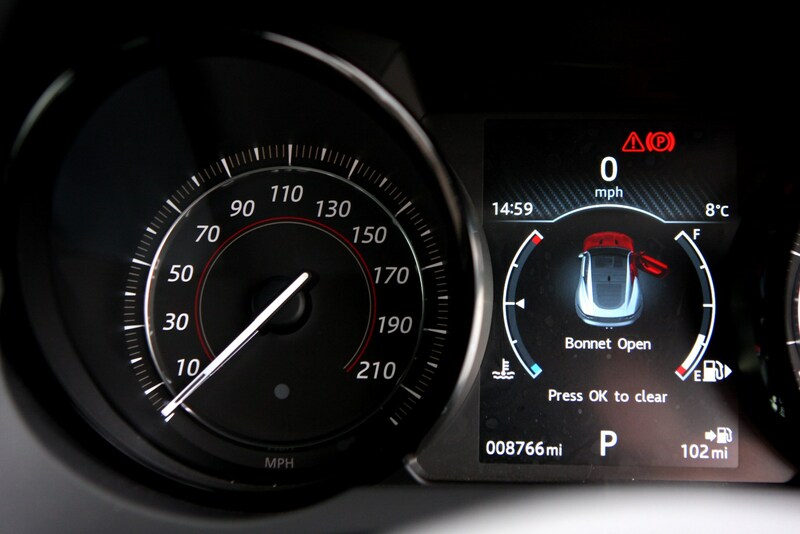 Self-evidently, it’s not slow. 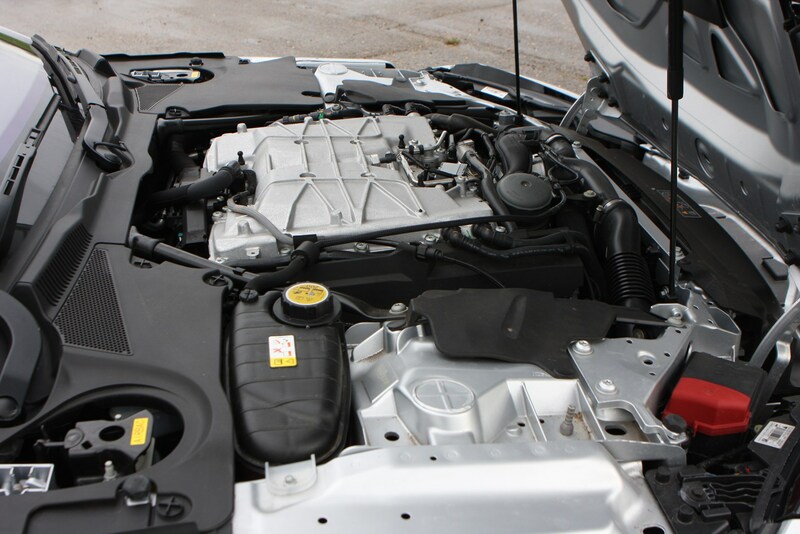 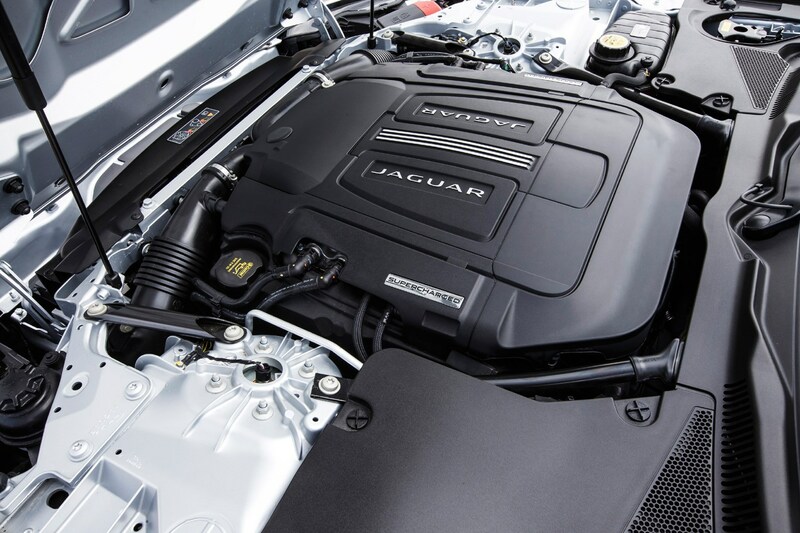 Should those polar opposites of the range be not quite what you’re looking for, there are a pair of 3.0-litre V6s – also supercharged – with 340hp and 380hp, together with a 550hp version of the 5.0-litre V8. 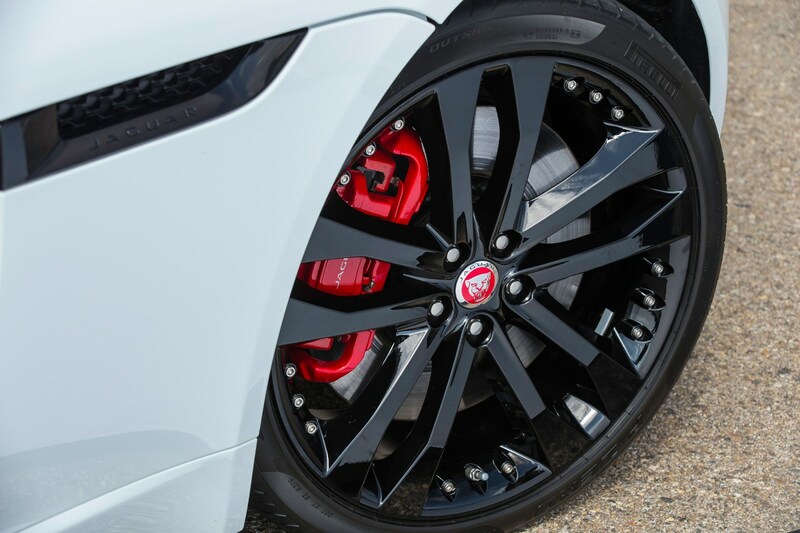 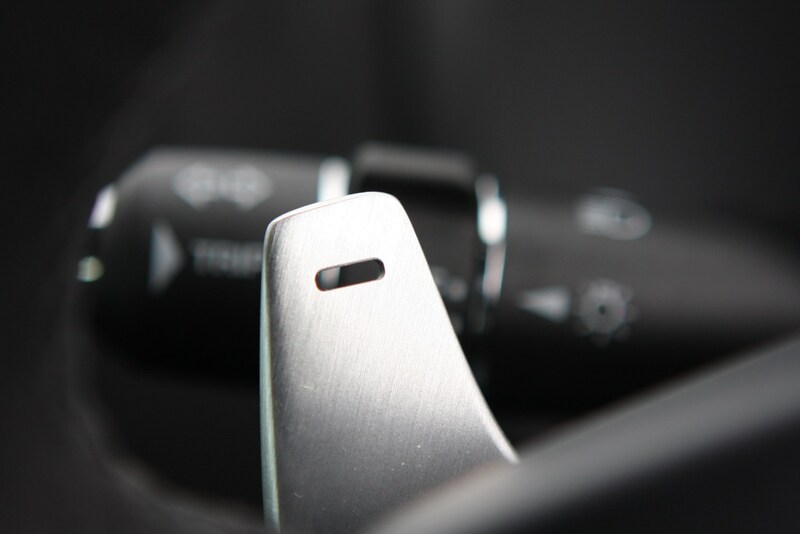 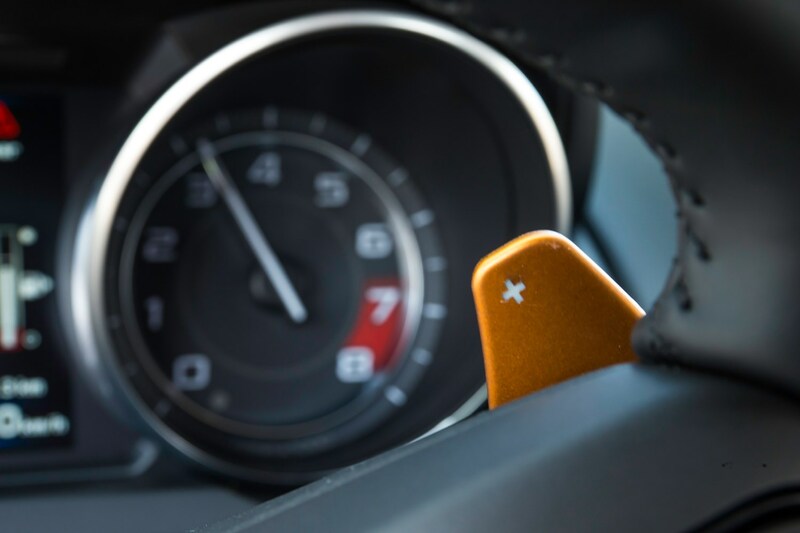 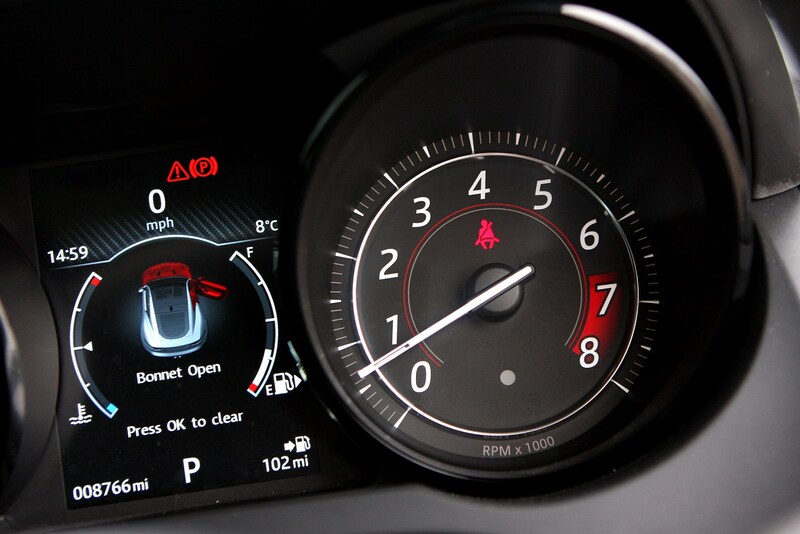 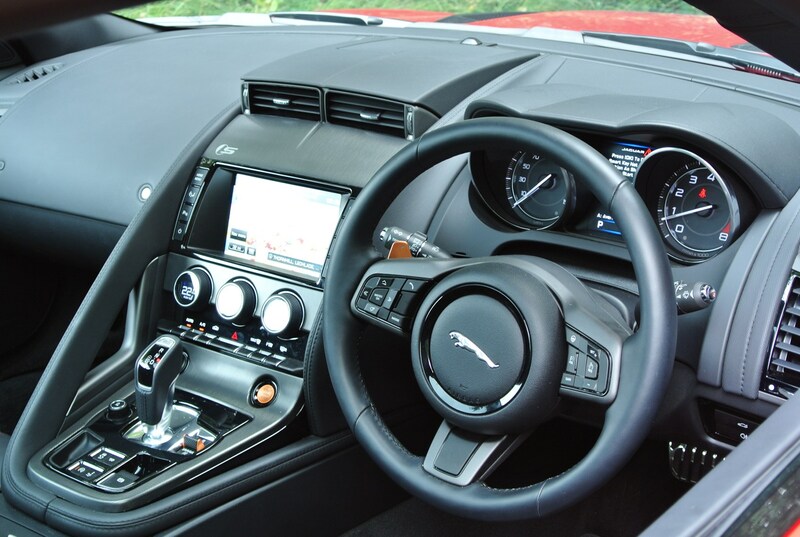 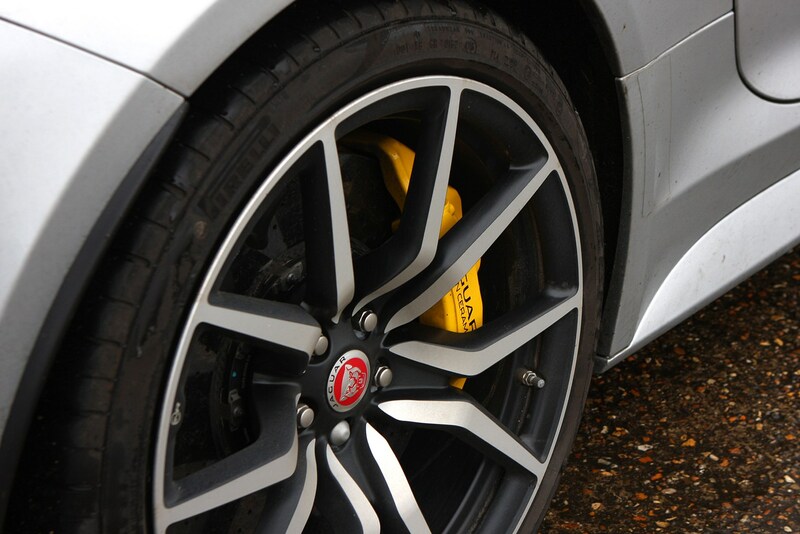 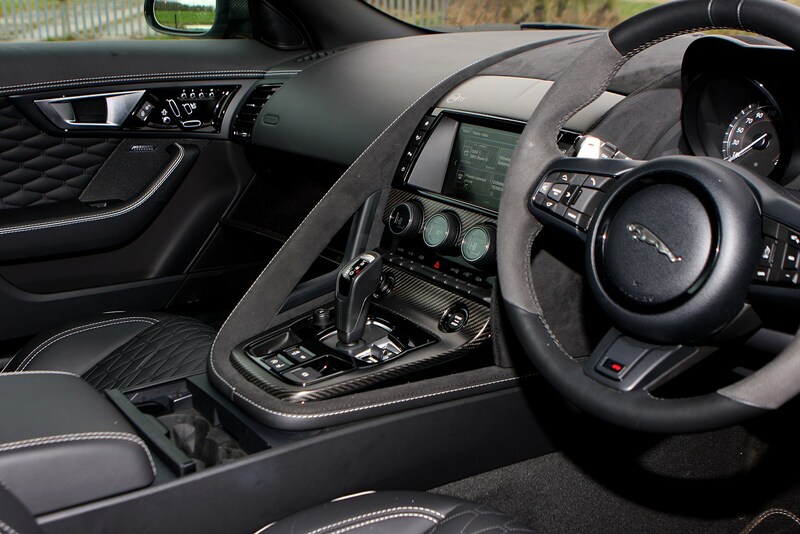 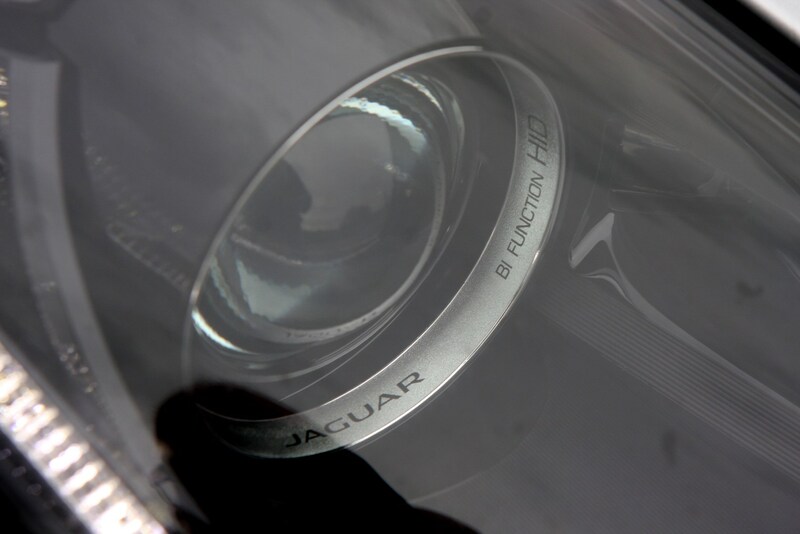 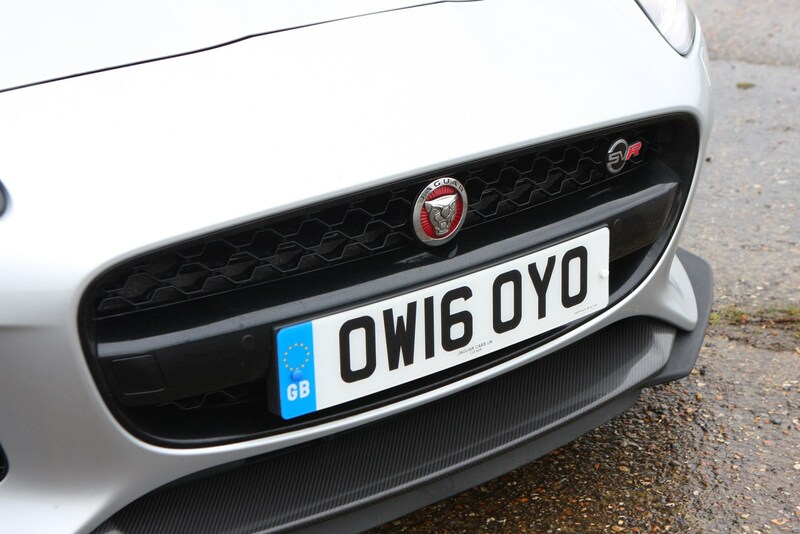 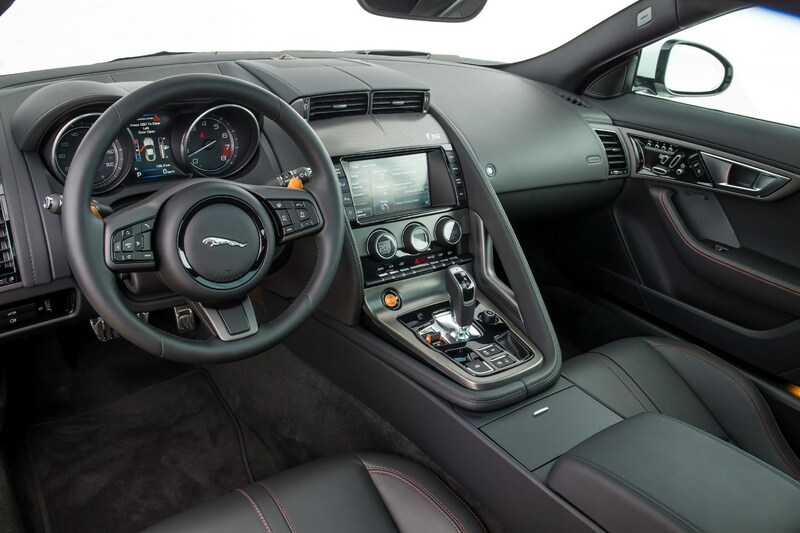 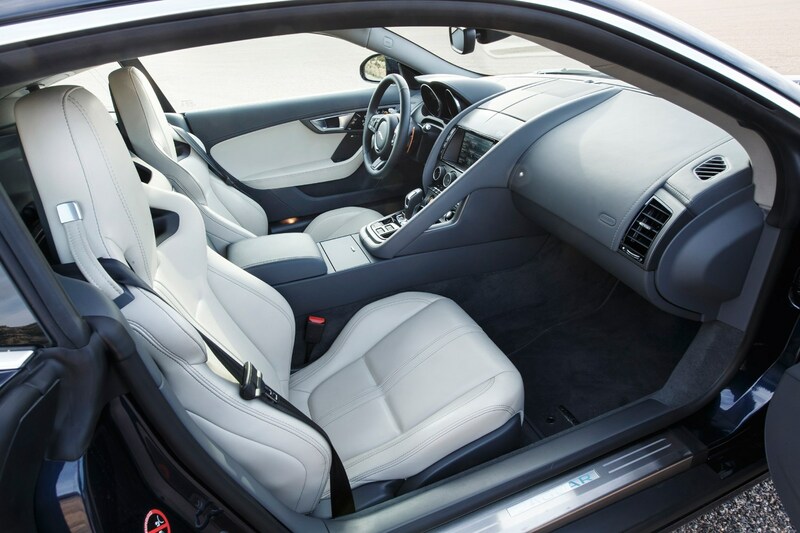 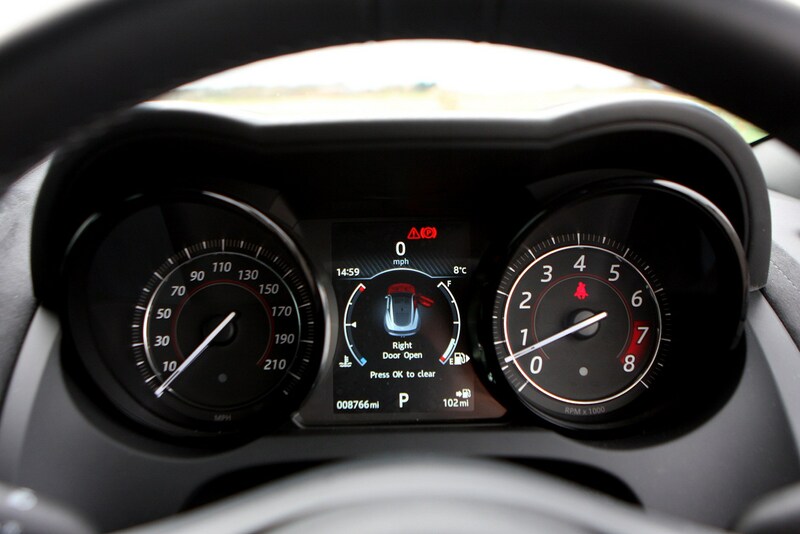 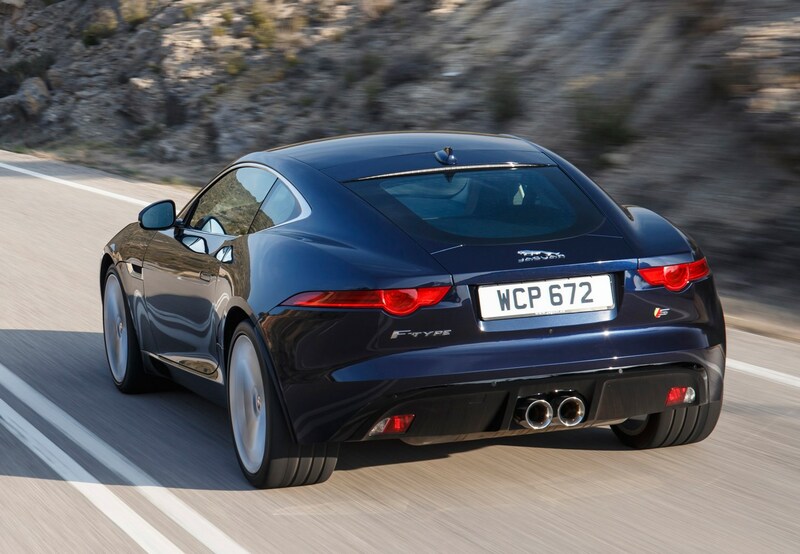 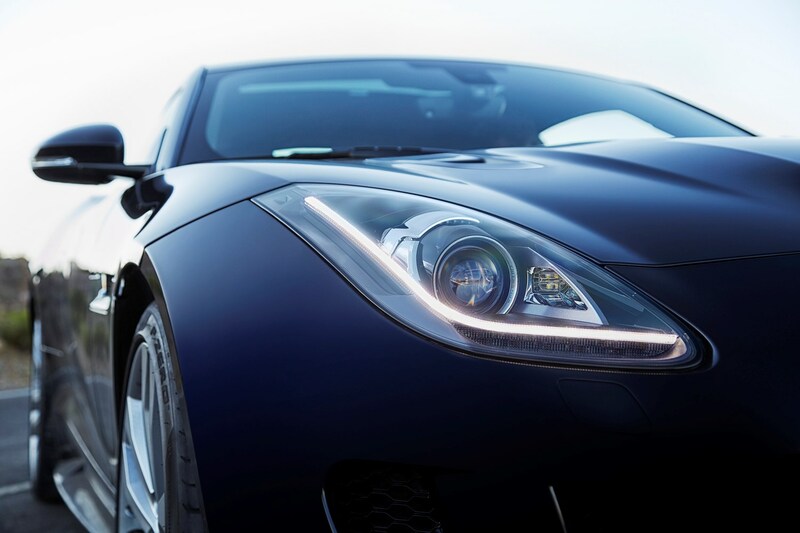 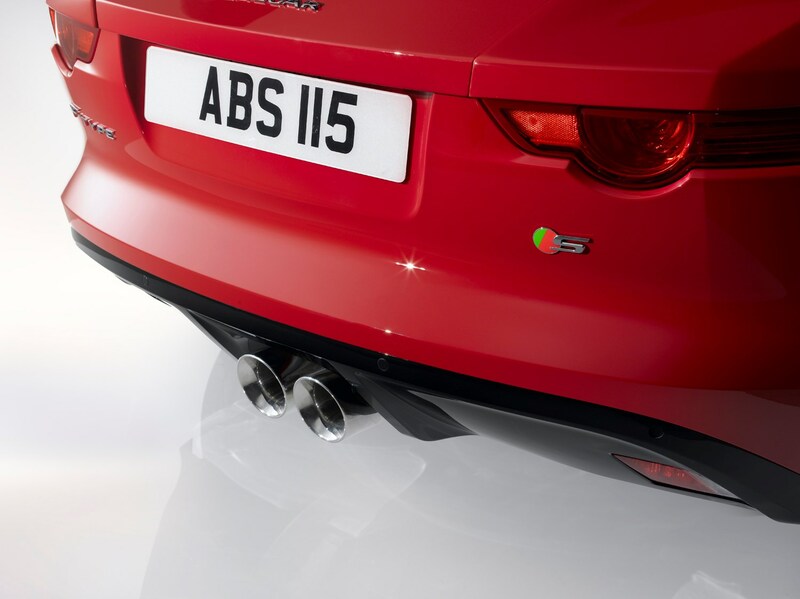 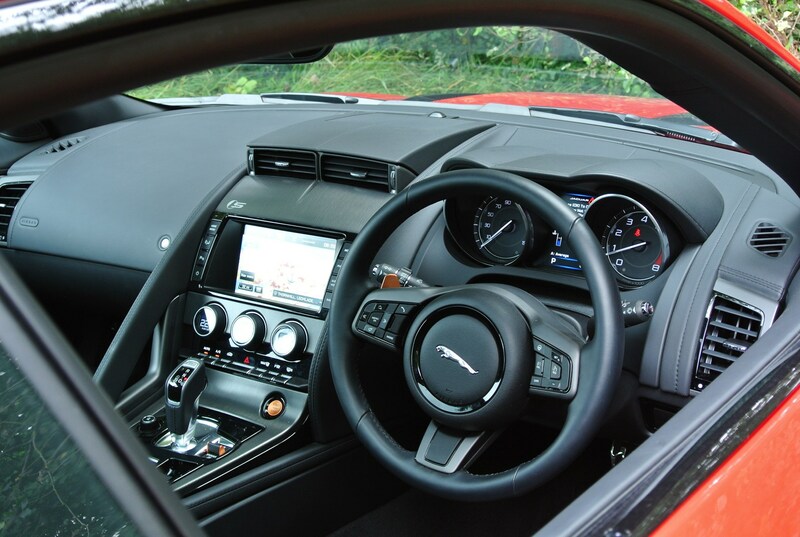 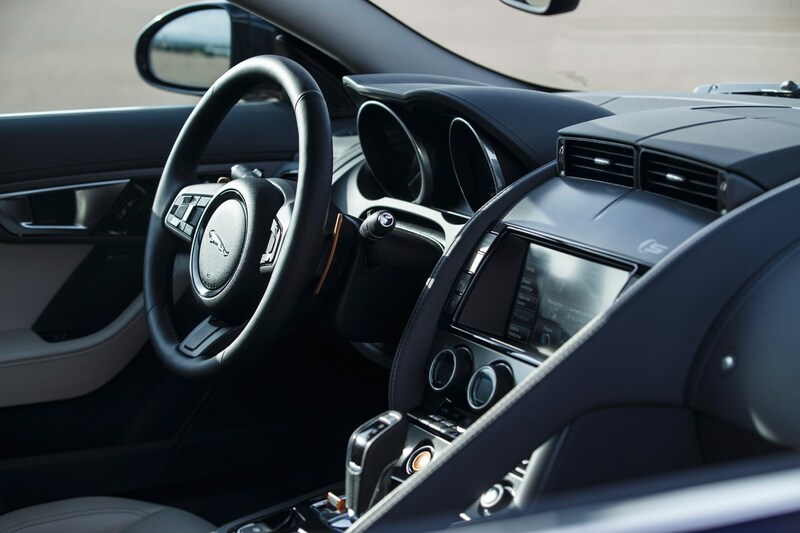 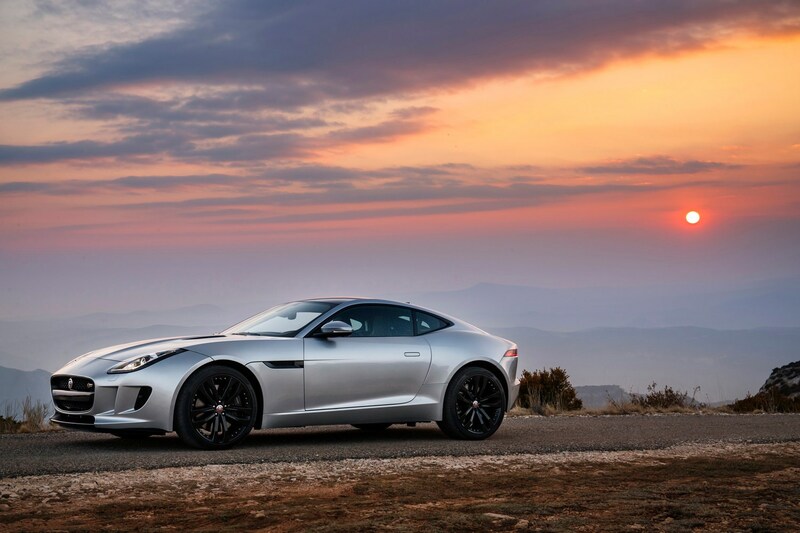 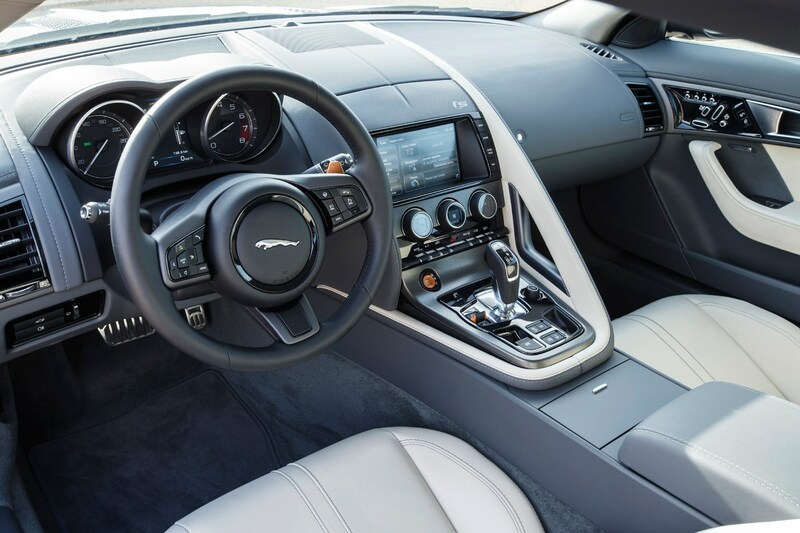 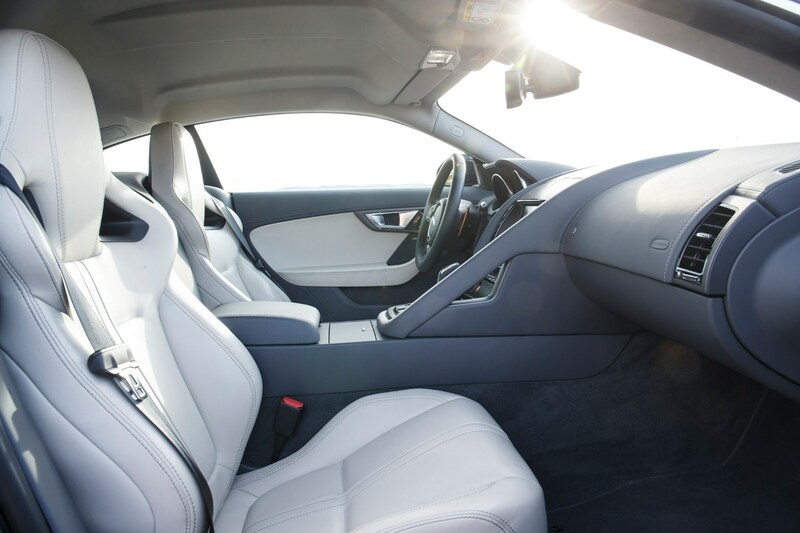 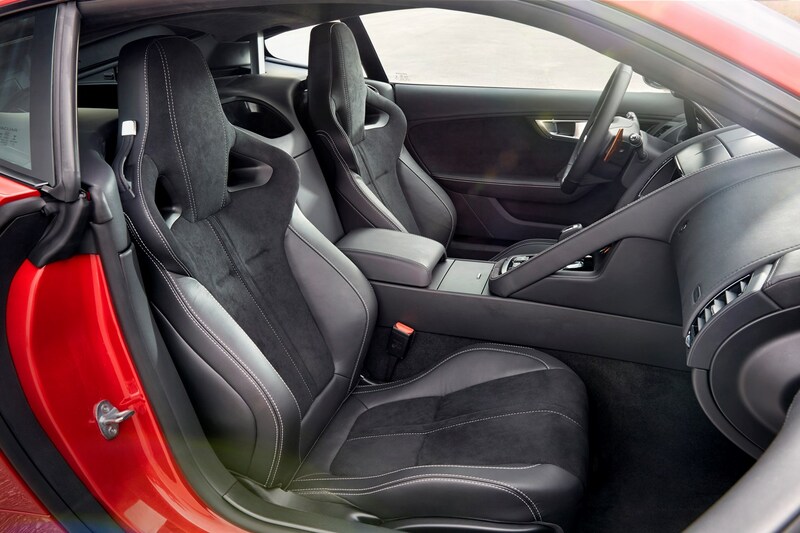 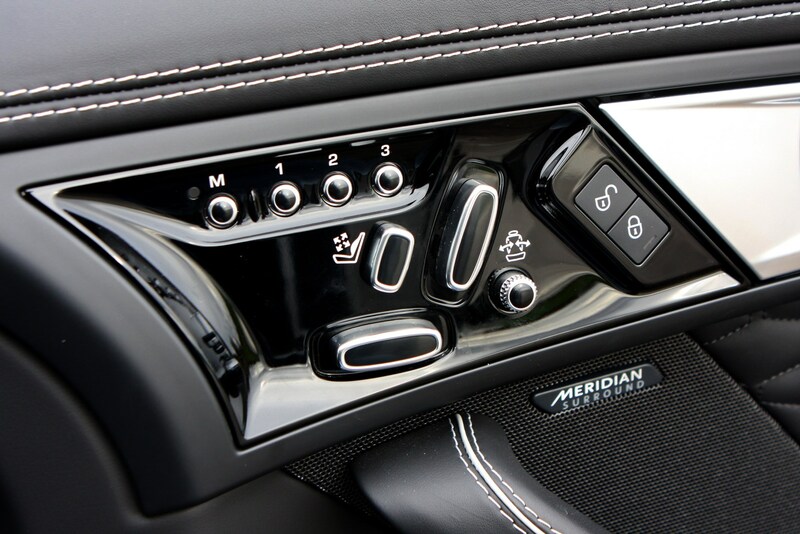 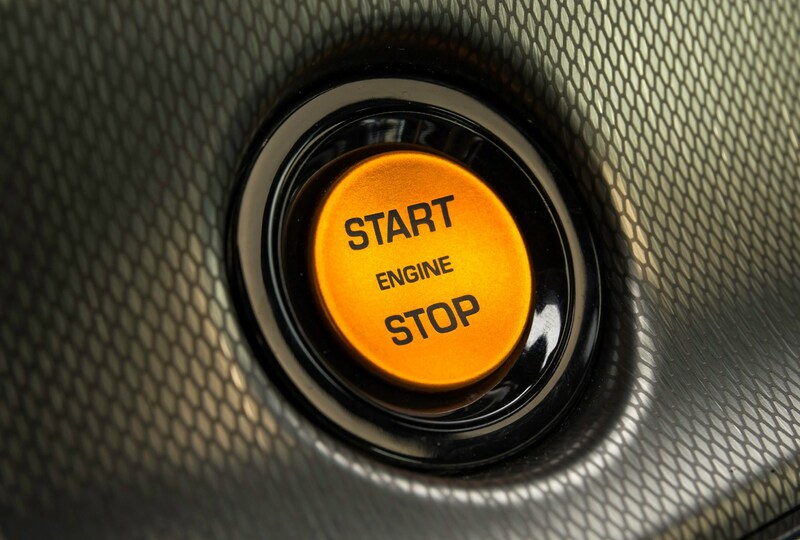 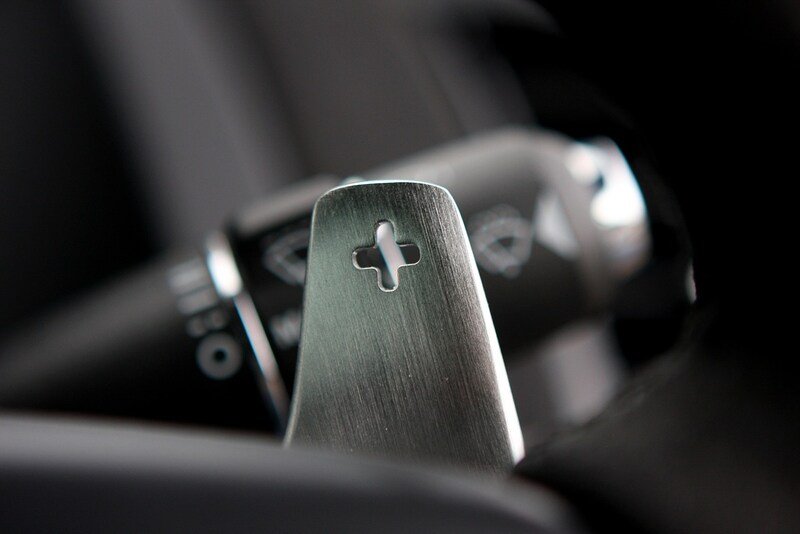 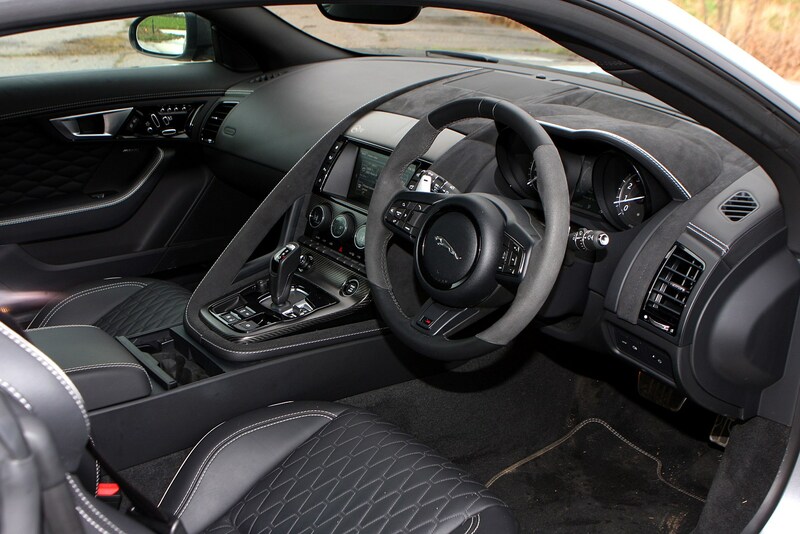 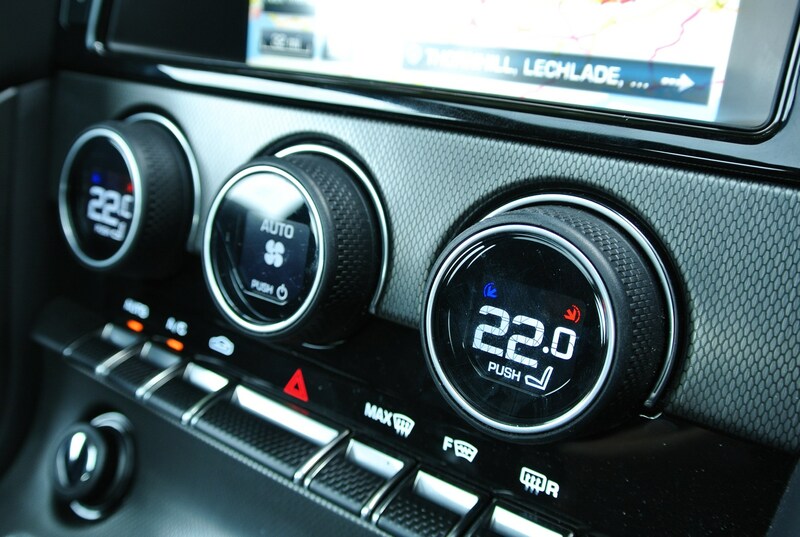 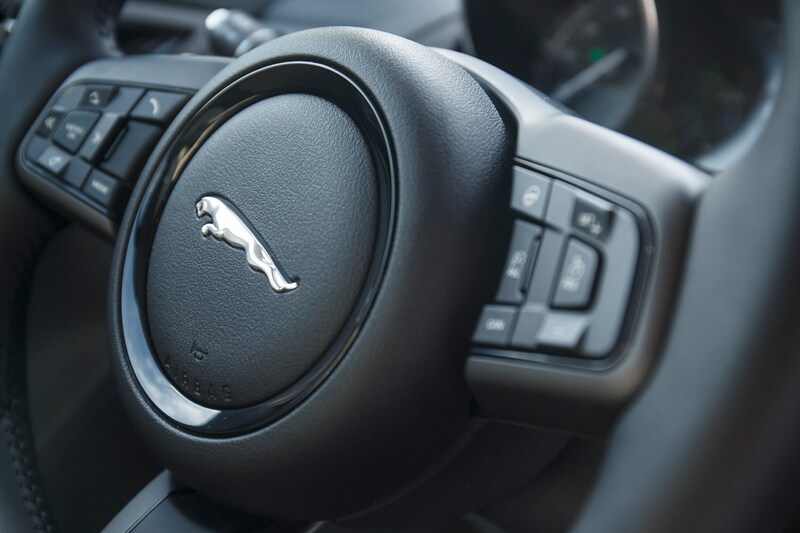 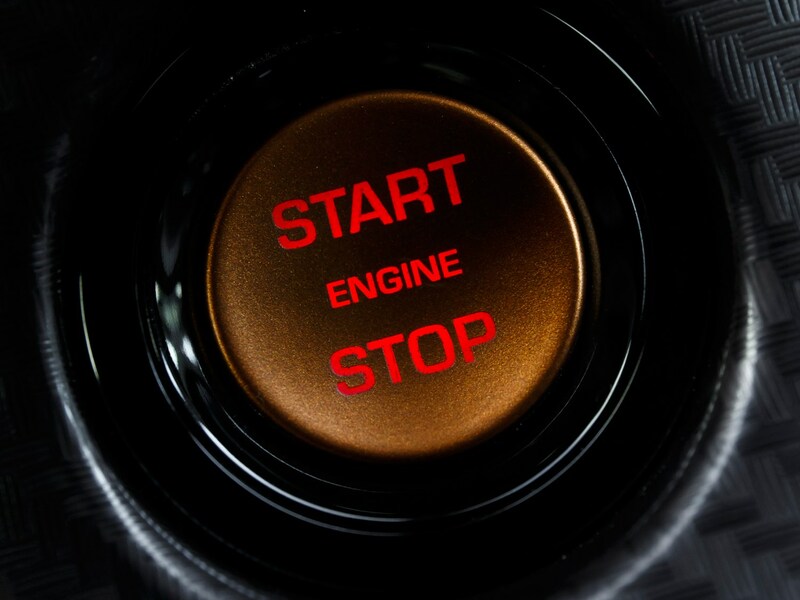 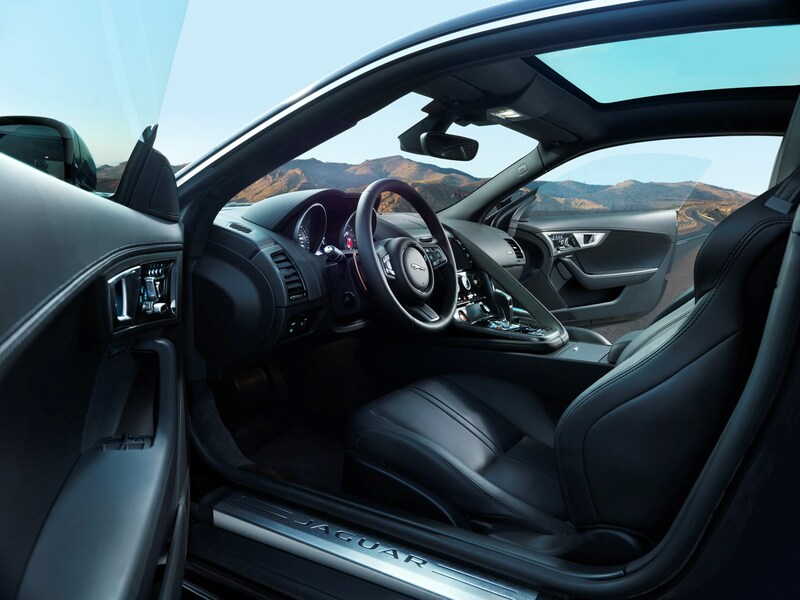 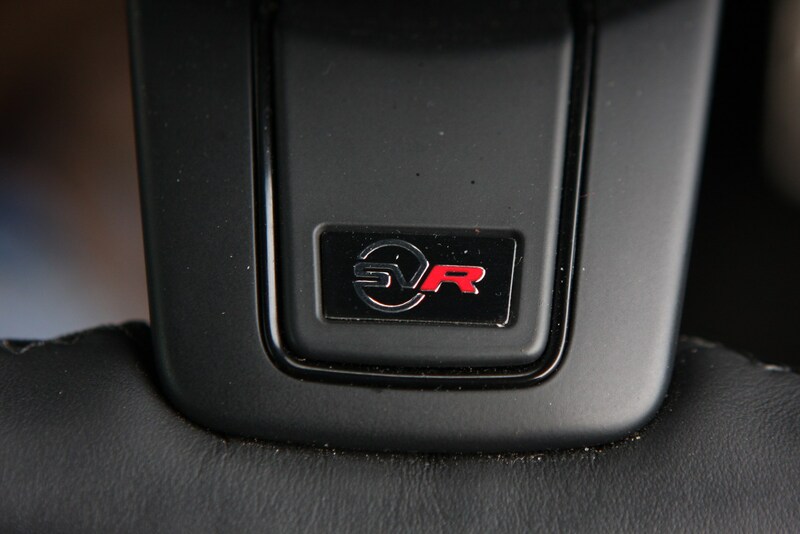 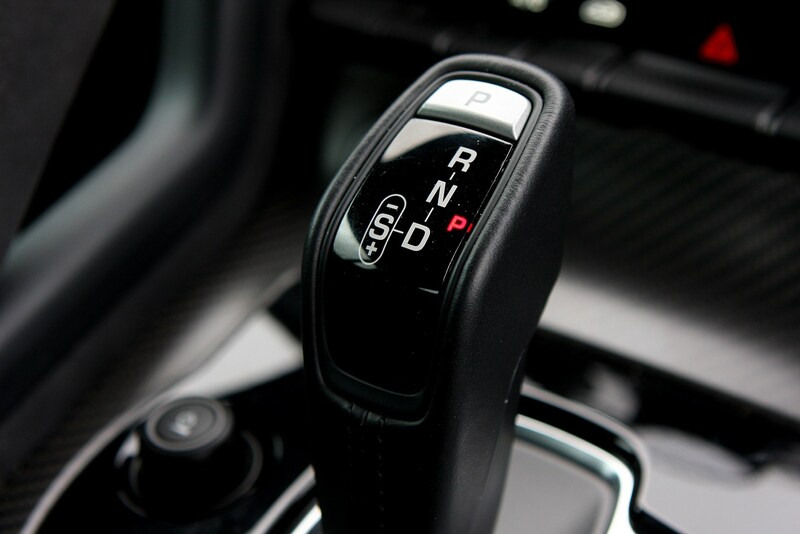 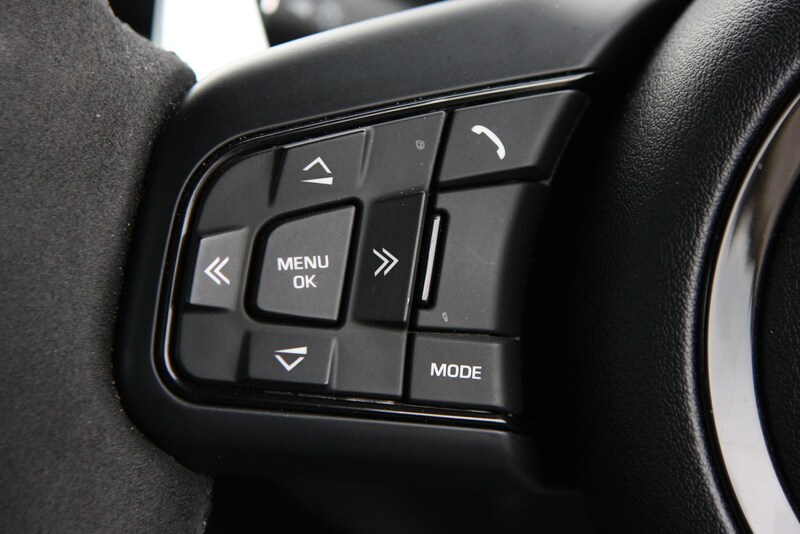 All F-Type Coupes are fitted with an eight-speed automatic gearbox as standard, although the rear-wheel drive versions of the V6s can also be specced with a six-speed manual. 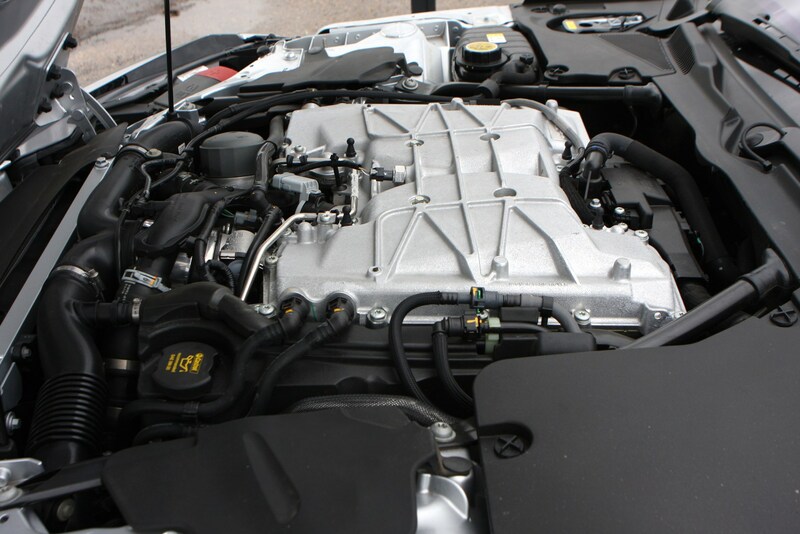 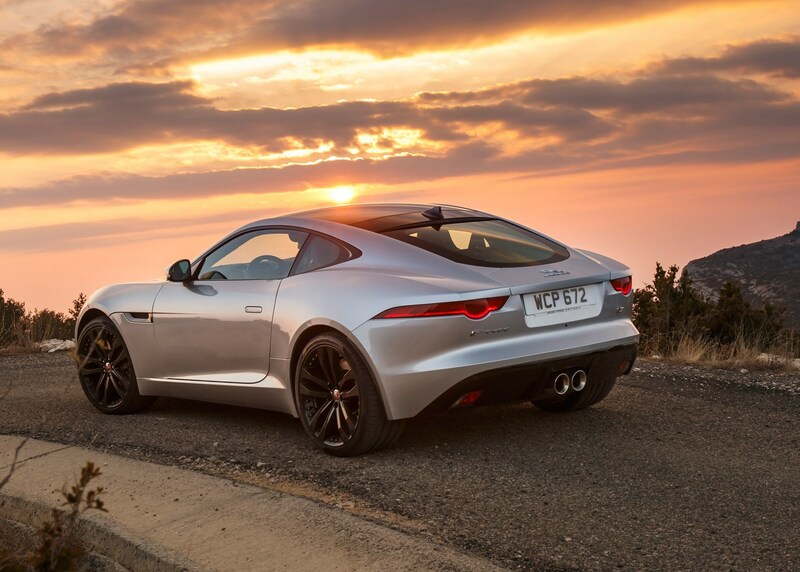 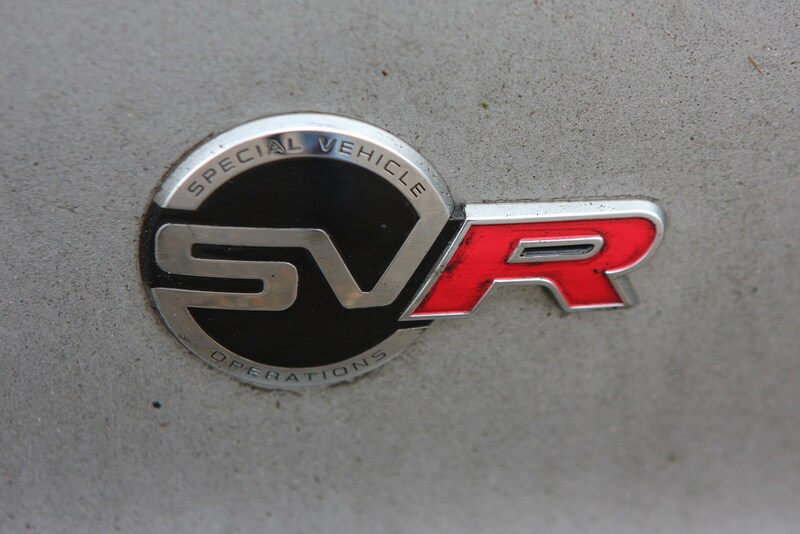 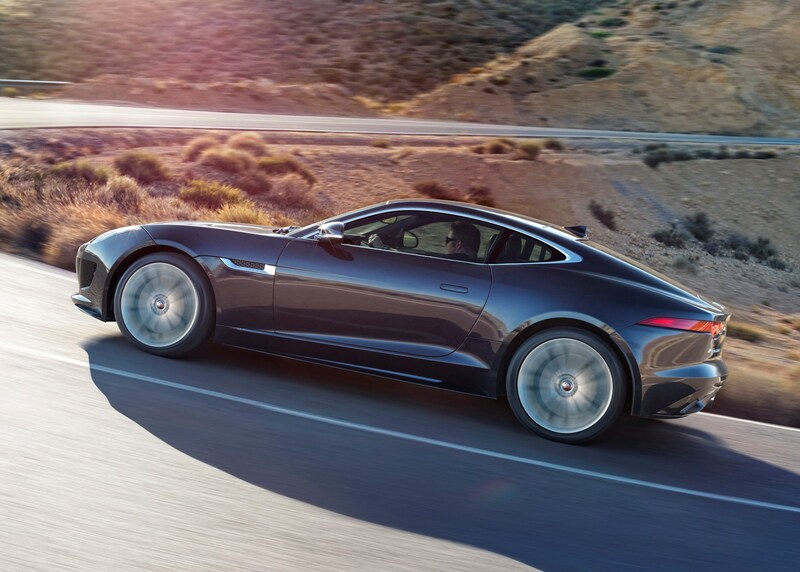 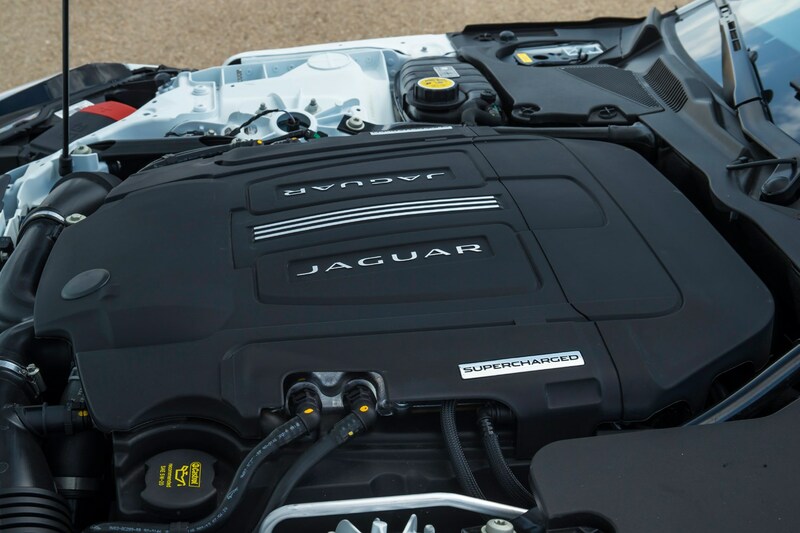 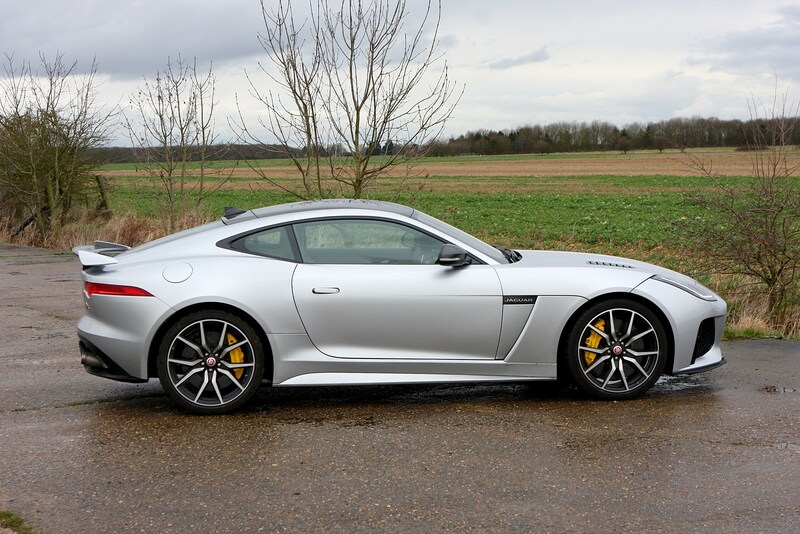 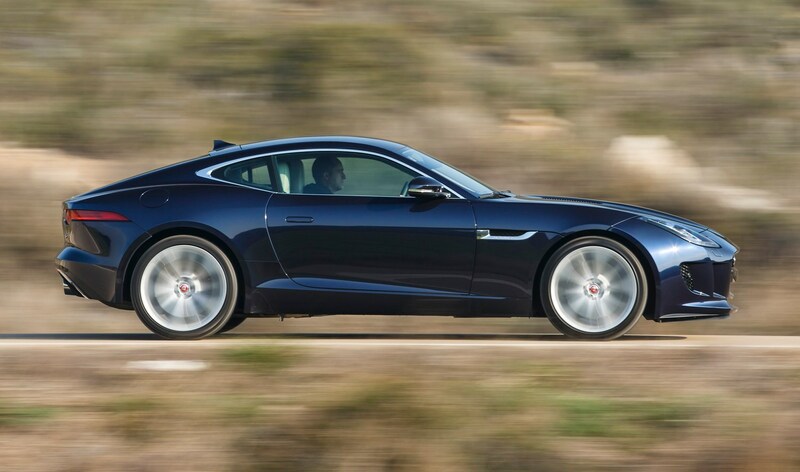 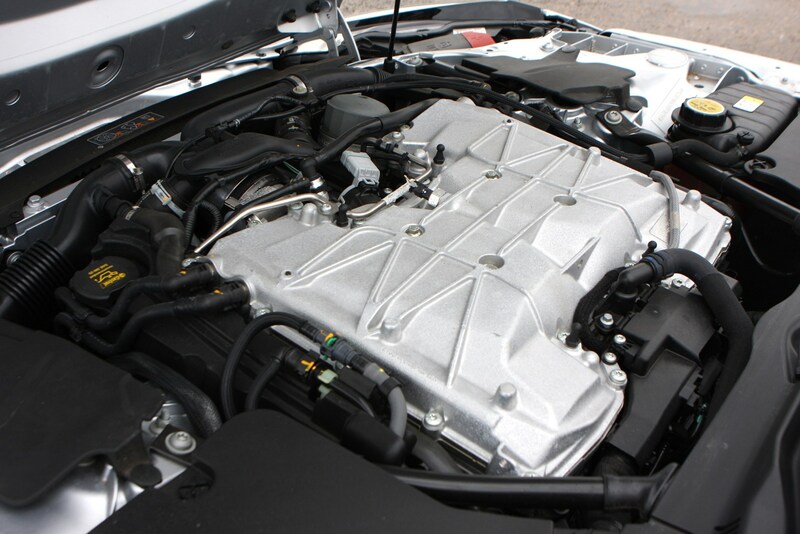 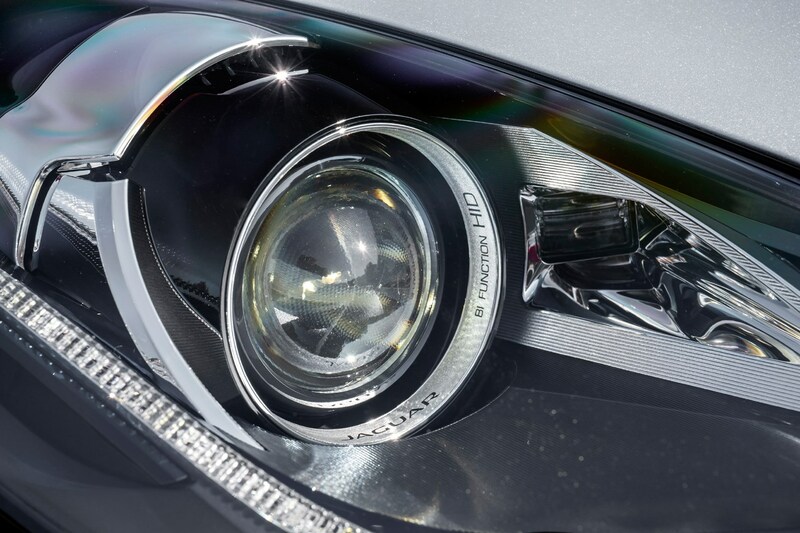 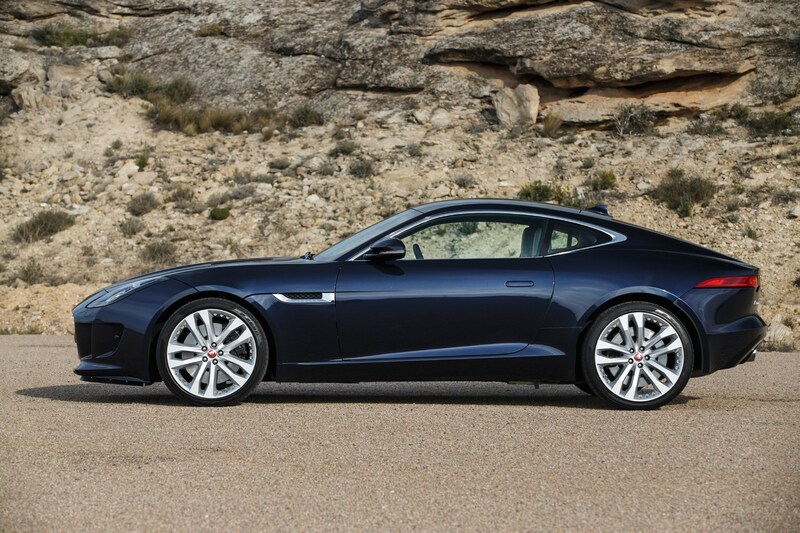 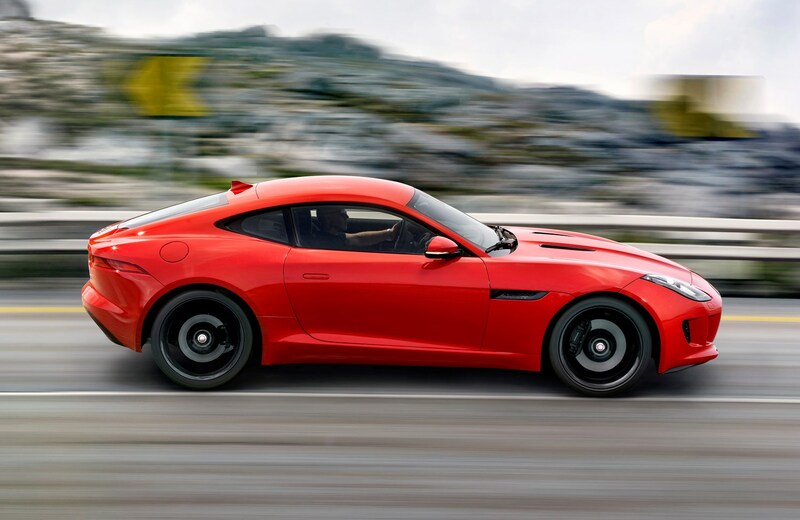 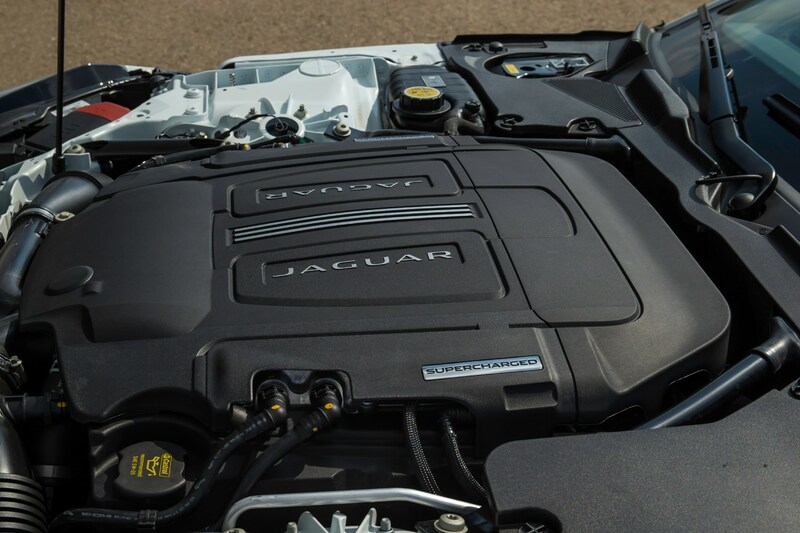 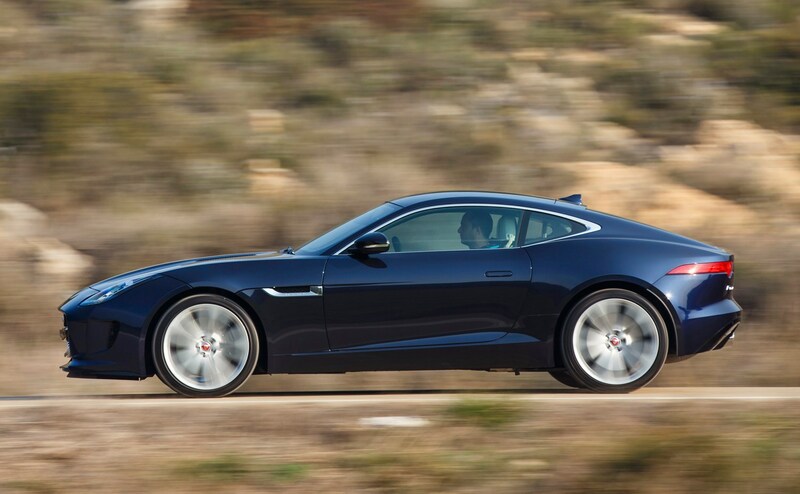 Power was sent exclusively to the rear wheels on all F-Types when it was launched, but that’s no longer the case on new ones: Jaguar’s all-wheel drive (AWD) system is standard on the V8s and optional on the higher-powered V6. 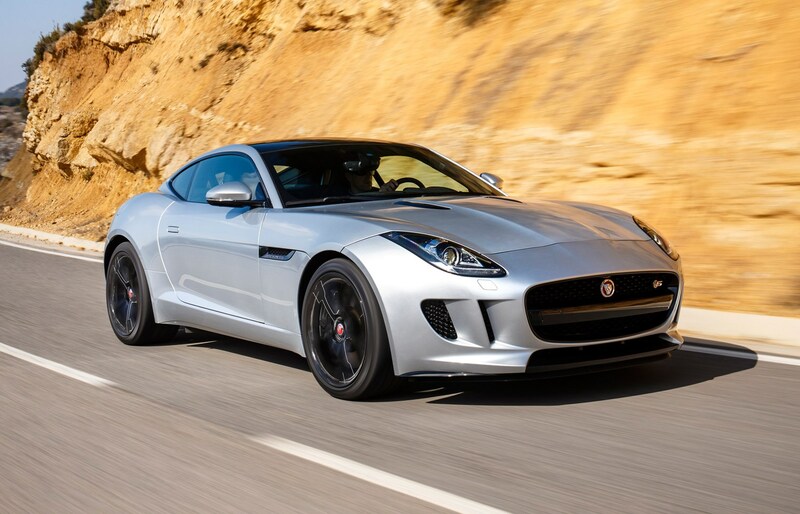 Is the Jaguar F-Type Coupe good to drive? 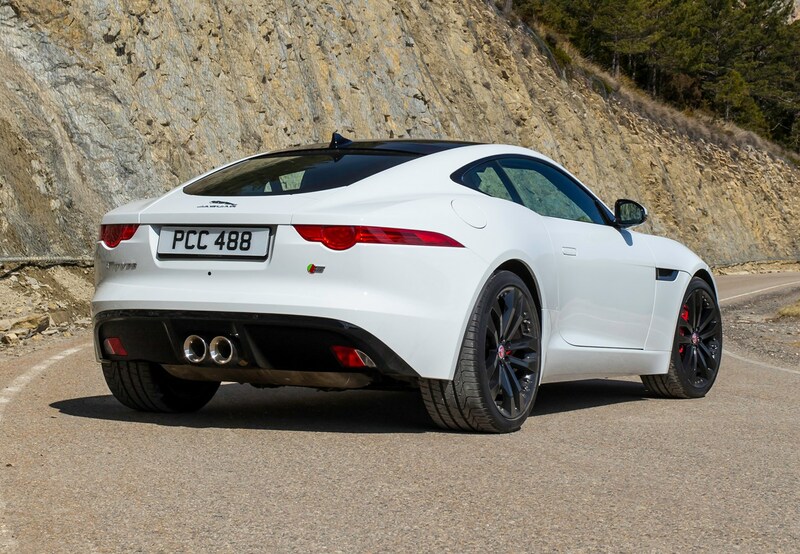 Make no mistake, this is one of the most entertaining sports coupes available. 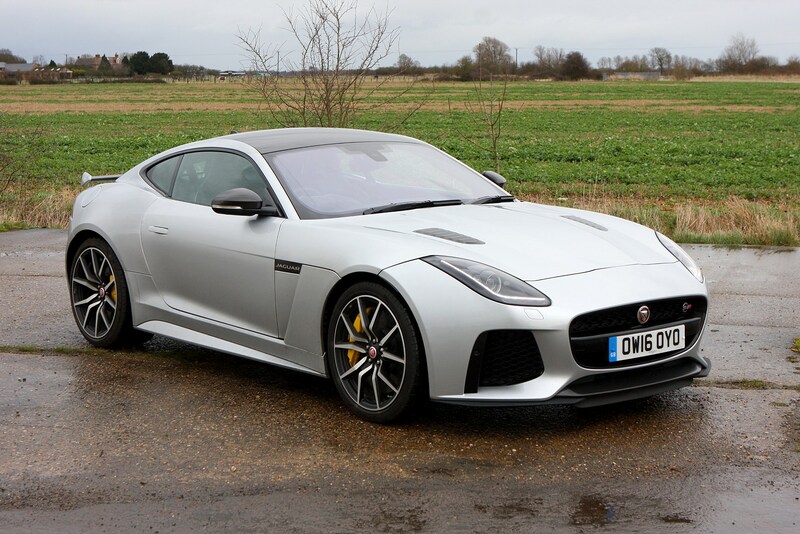 It lacks the outright purity of a comparable Porsche, but despite its modernity, there’s something of an old school charm about the way the F-Type handles, particularly the rear-wheel drive models. 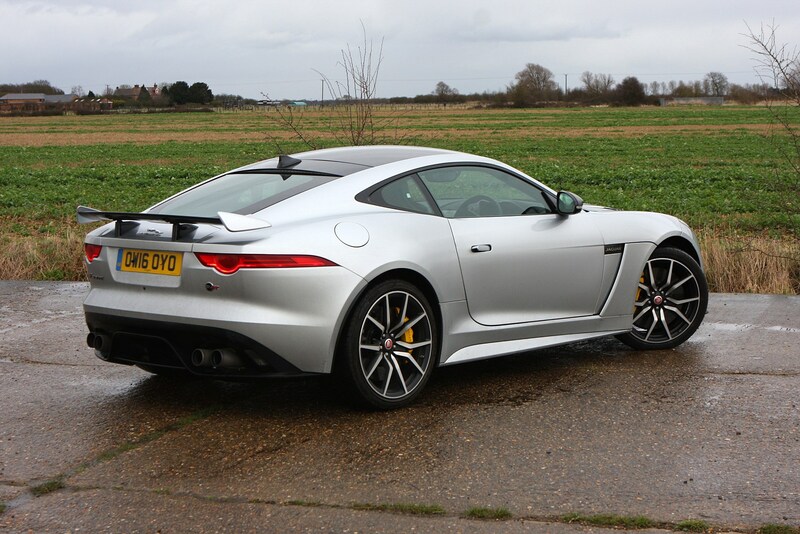 These are significantly more playful – without being wayward – than the AWD versions, allowing you to push hard through corners and feel the tail-end progressively step out of line. 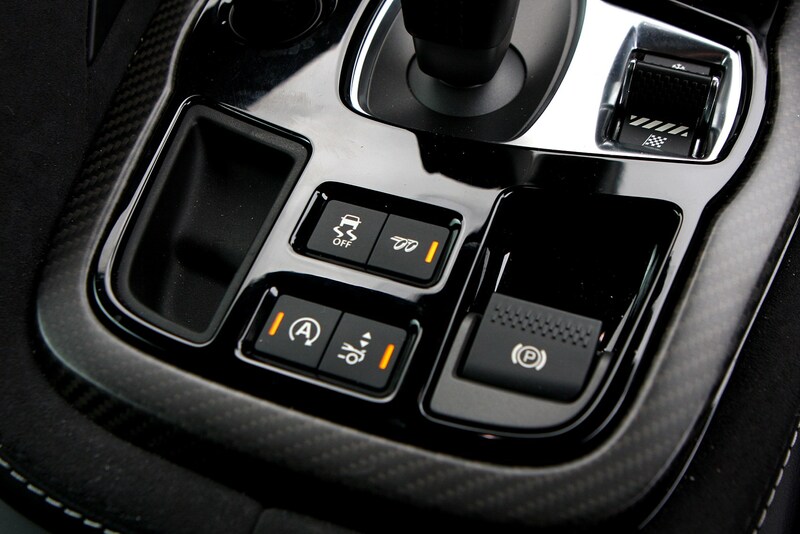 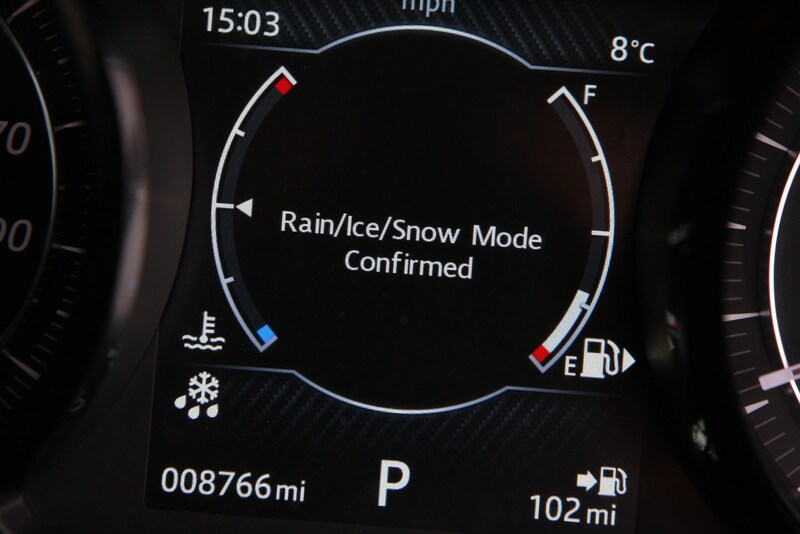 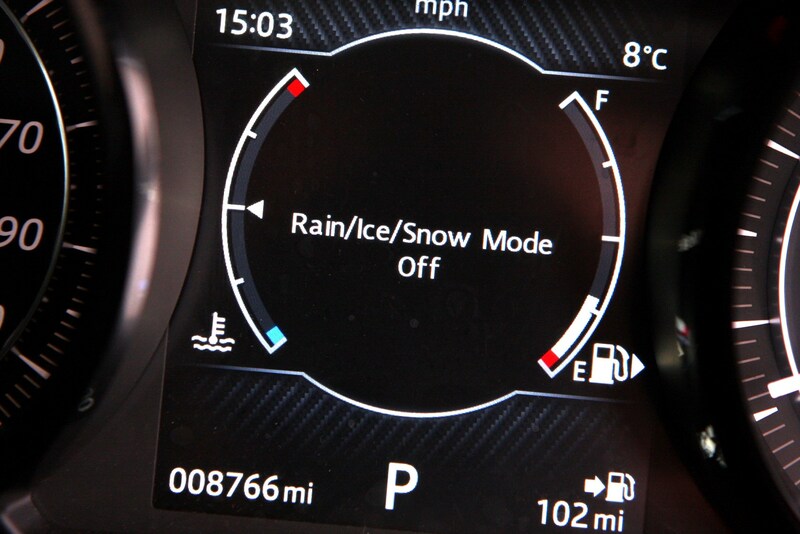 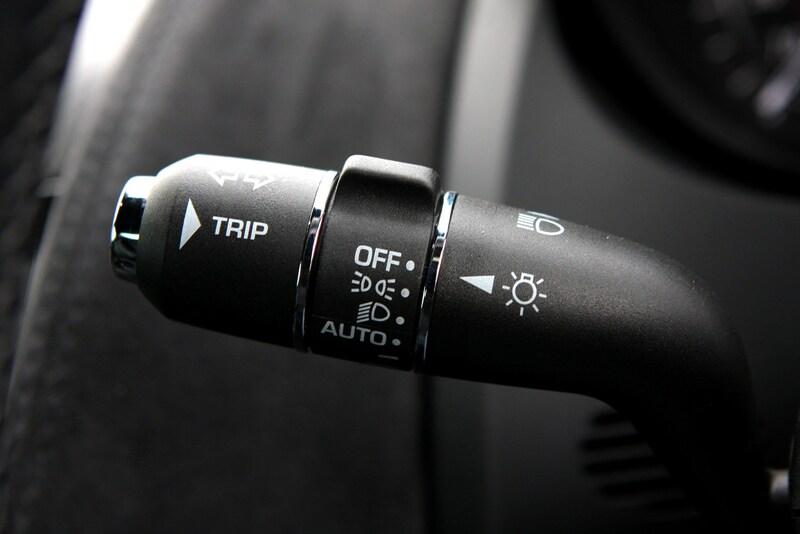 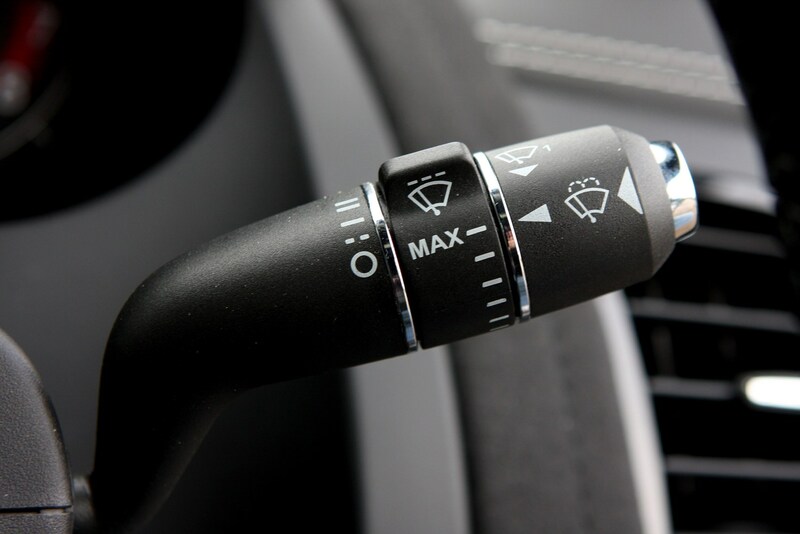 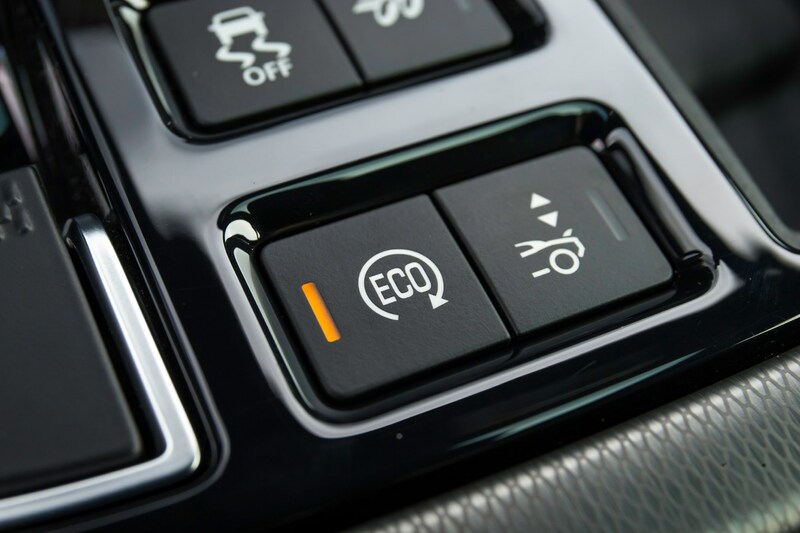 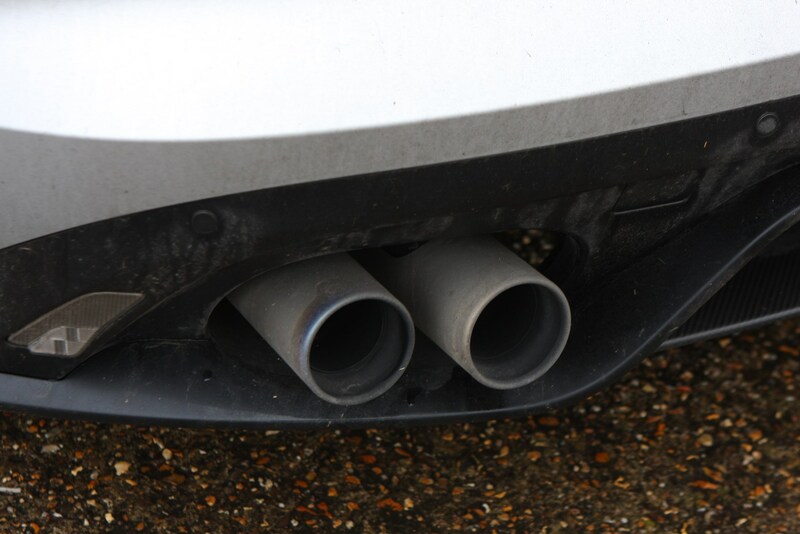 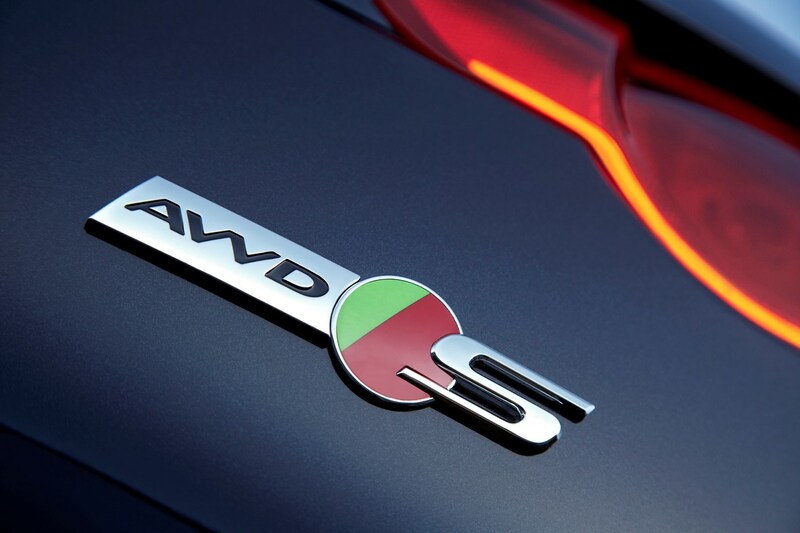 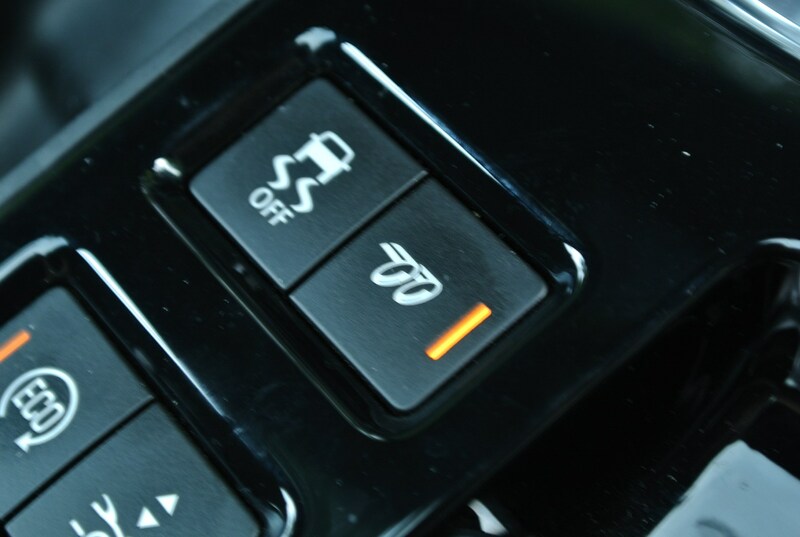 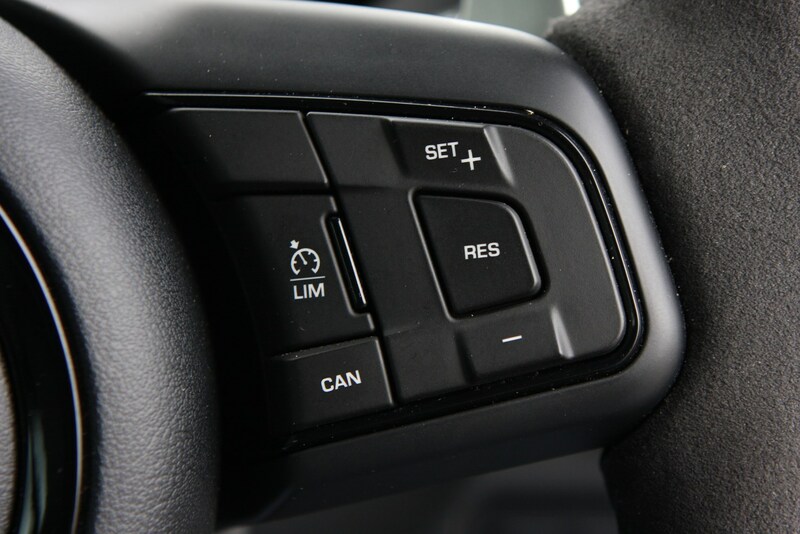 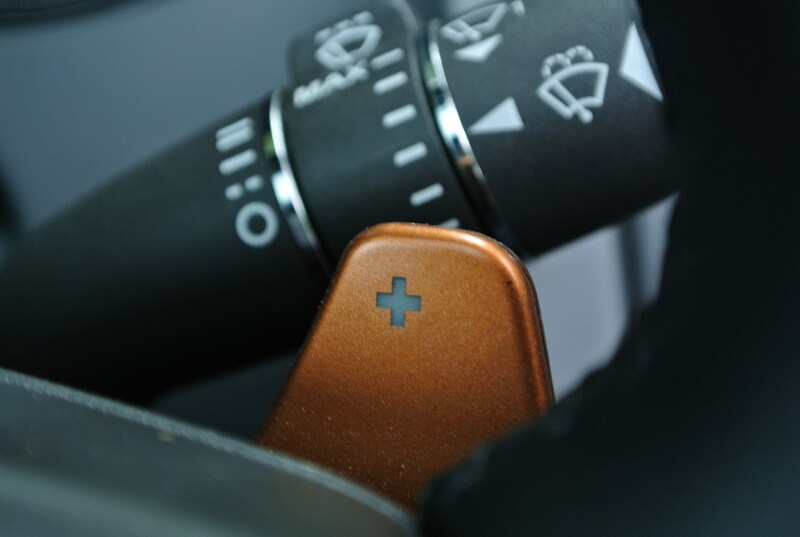 Given the power outputs in the upper echelons of the range, AWD arguably makes more sense given Britain’s often wet climate – certainly you can carry more speed – and tighter lines – through corners courtesy of the tyres’ extra adhesion. 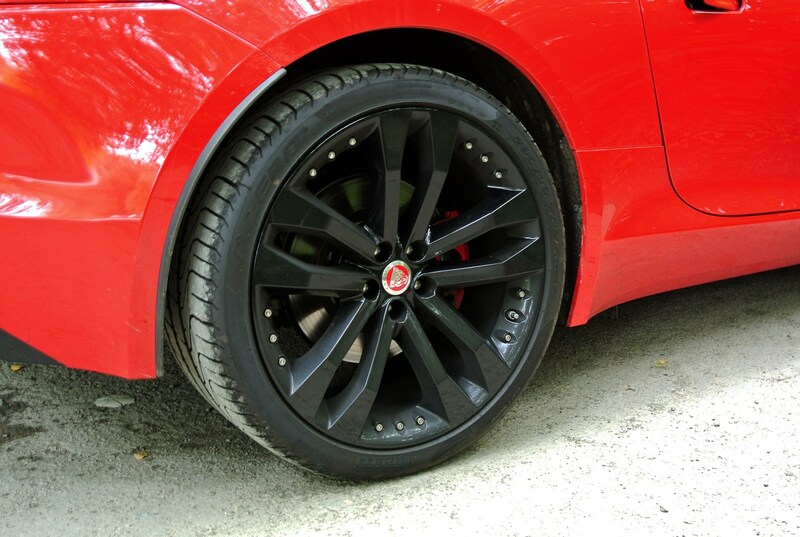 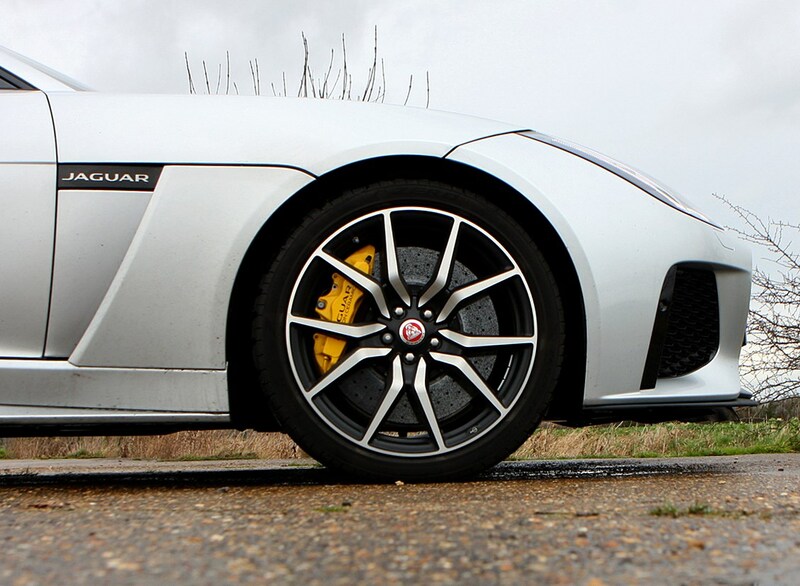 Yet, for all of its engaging nature, providing you don’t specify yours with the largest of alloy wheels available, the F-Type remains pleasingly compliant and comfortable – especially welcome on undulating B-roads and rutted urban streets. 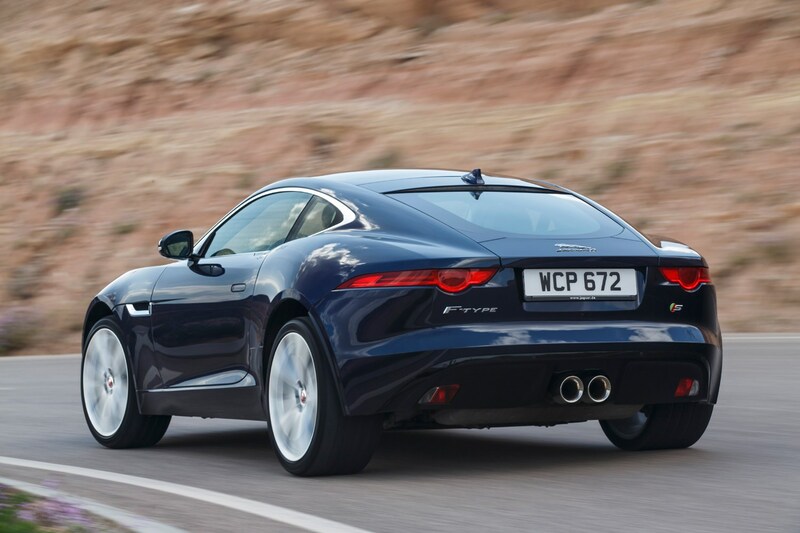 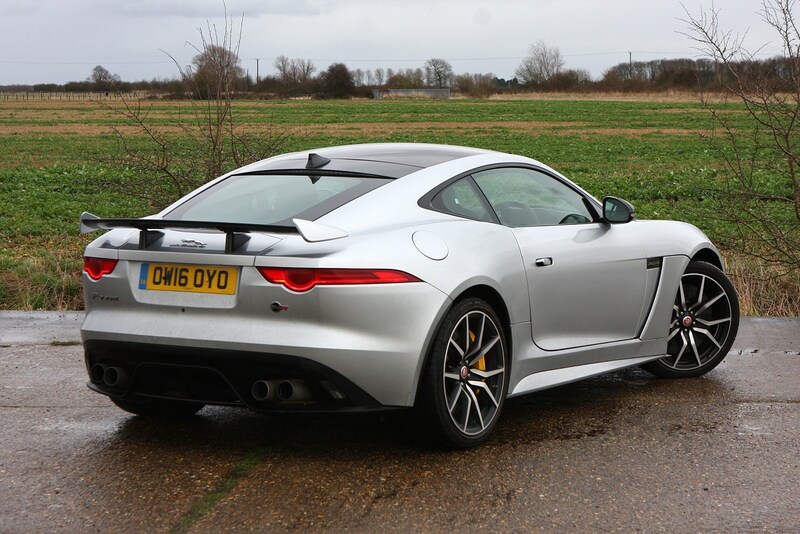 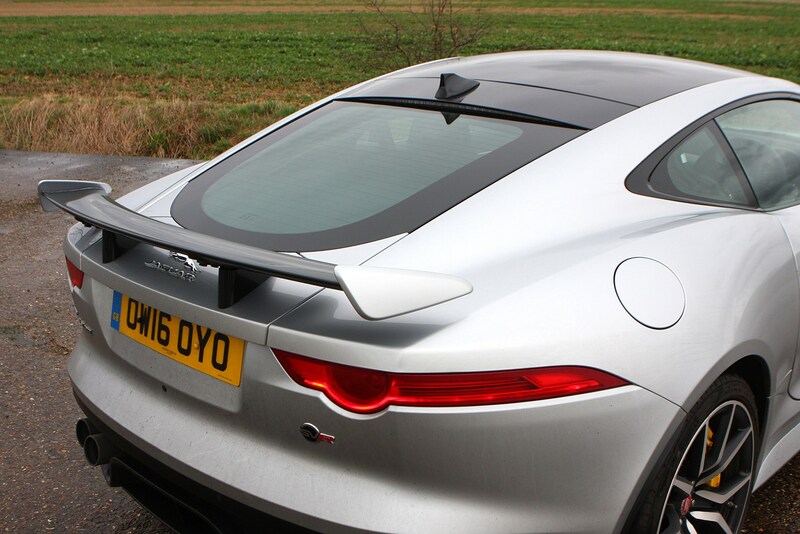 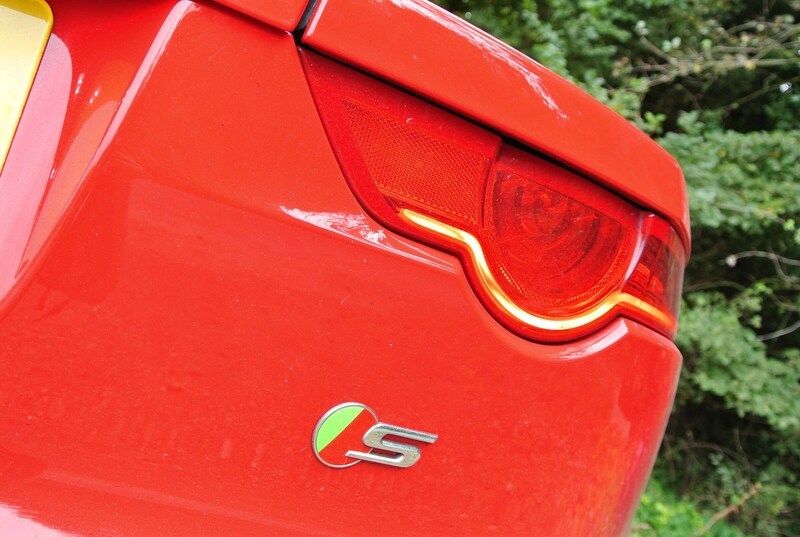 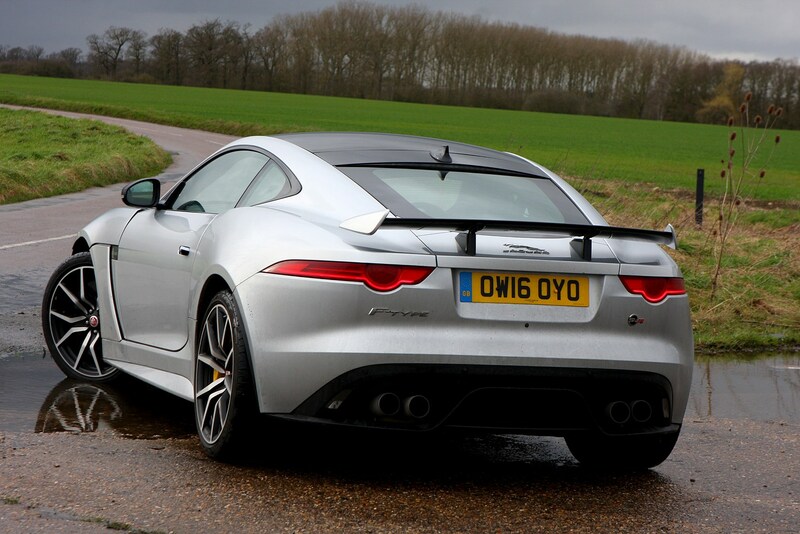 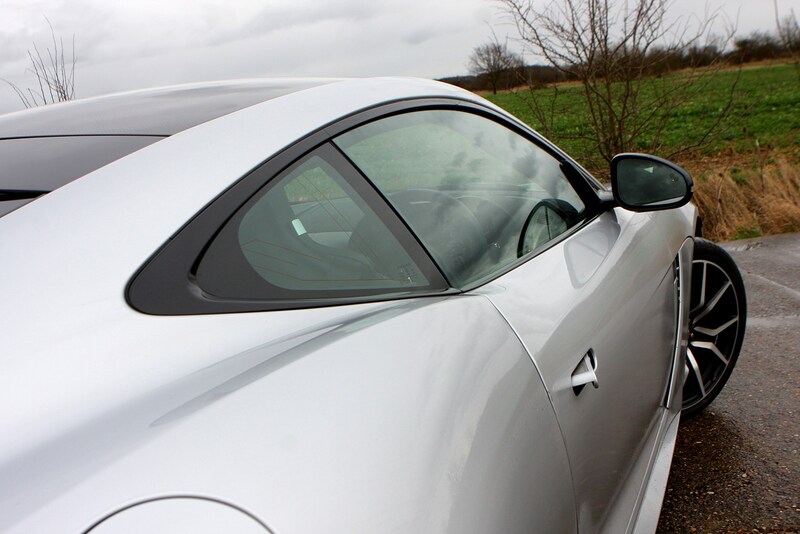 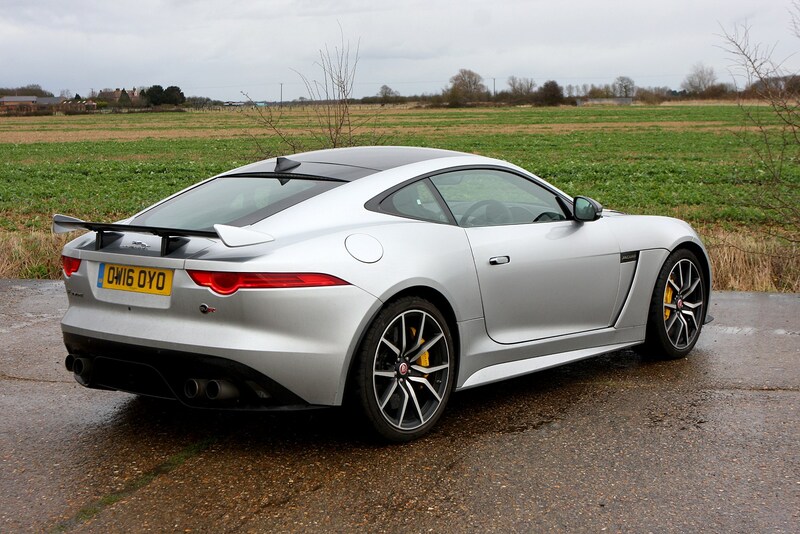 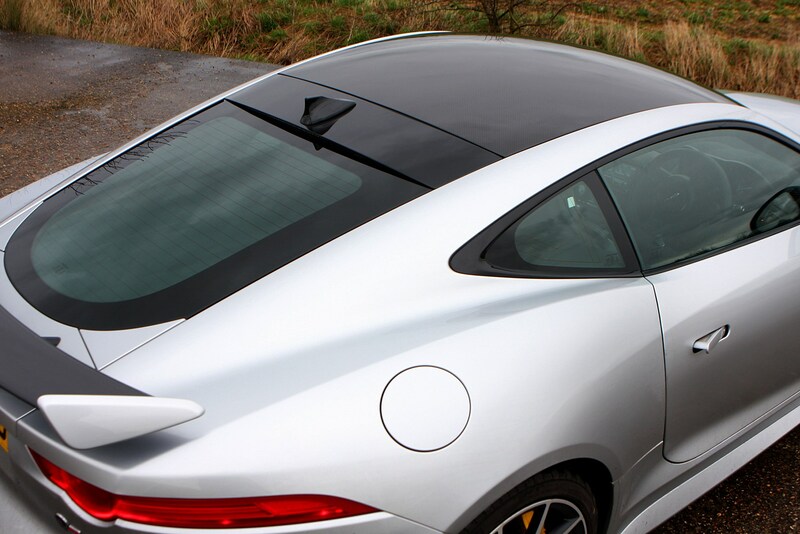 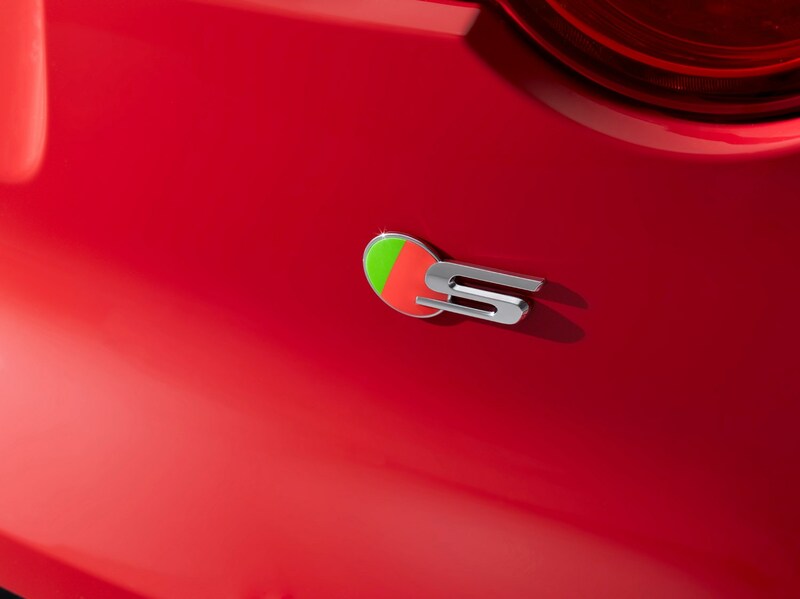 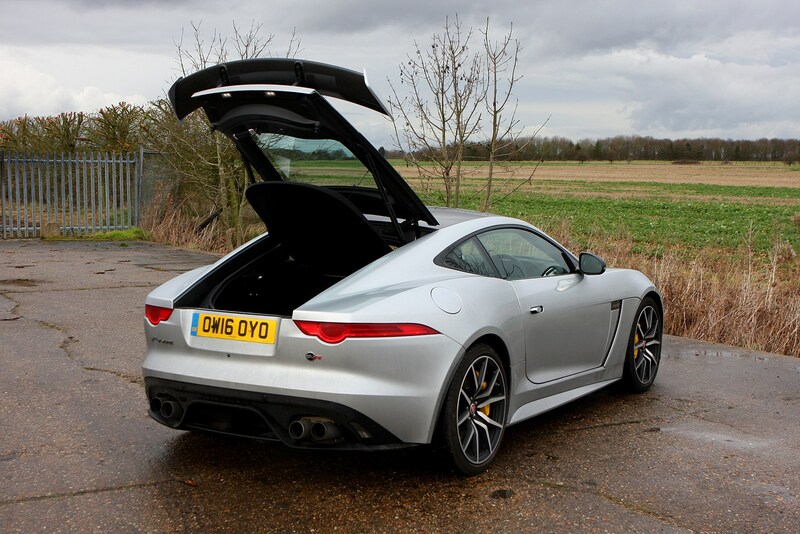 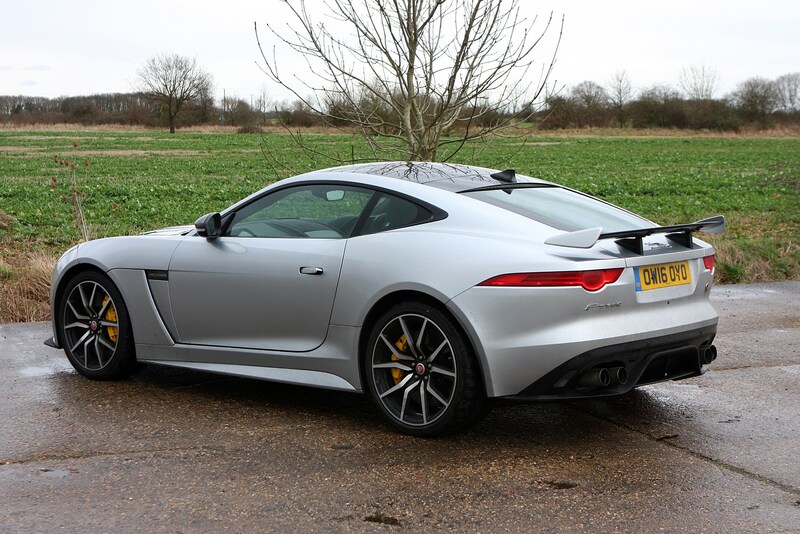 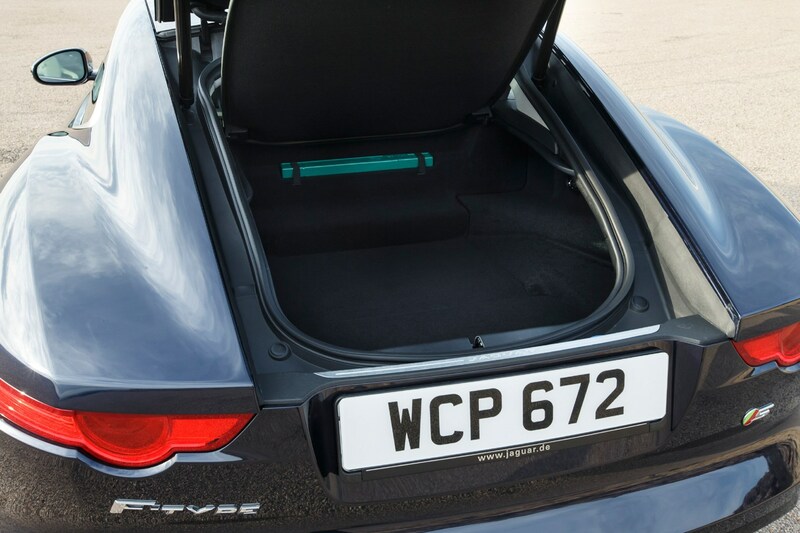 How practical is the Jaguar F-Type Coupe? 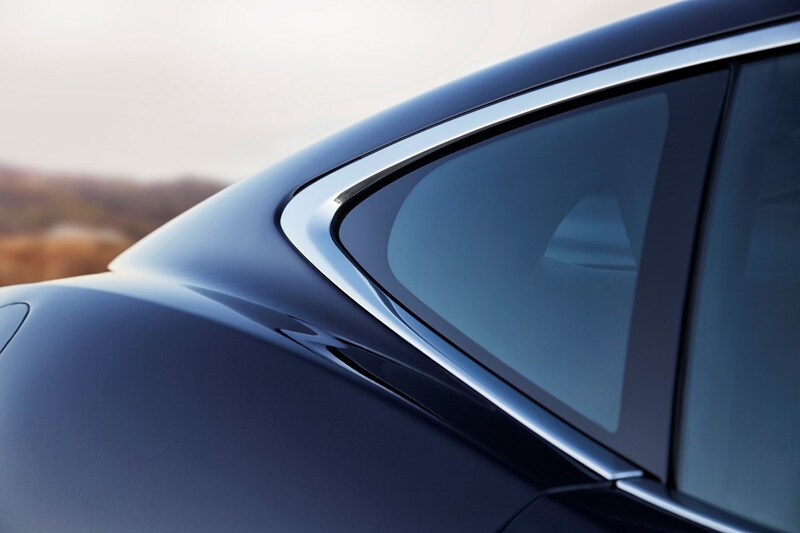 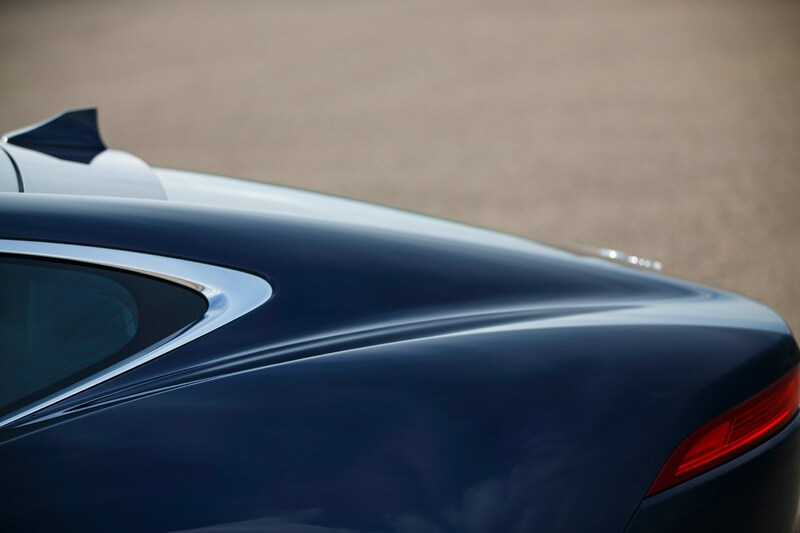 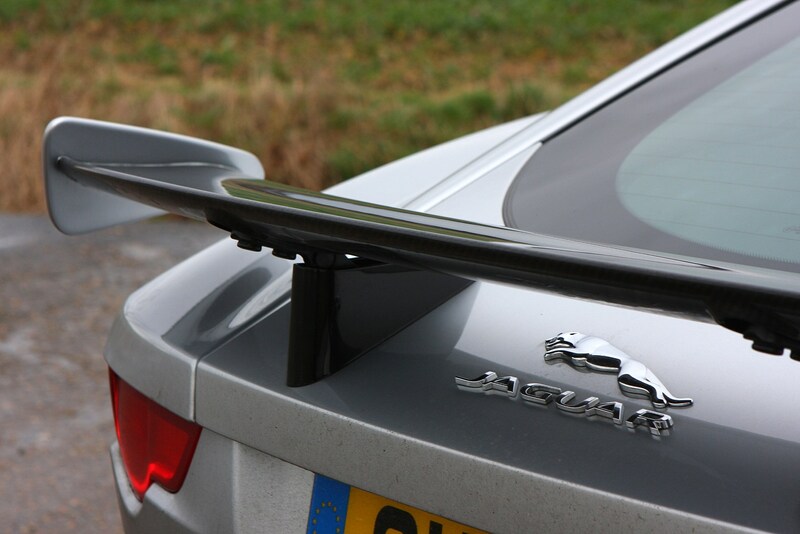 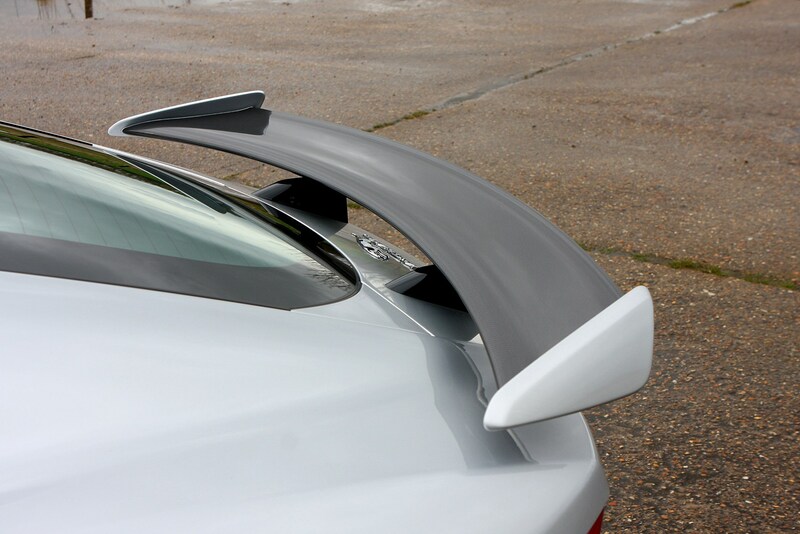 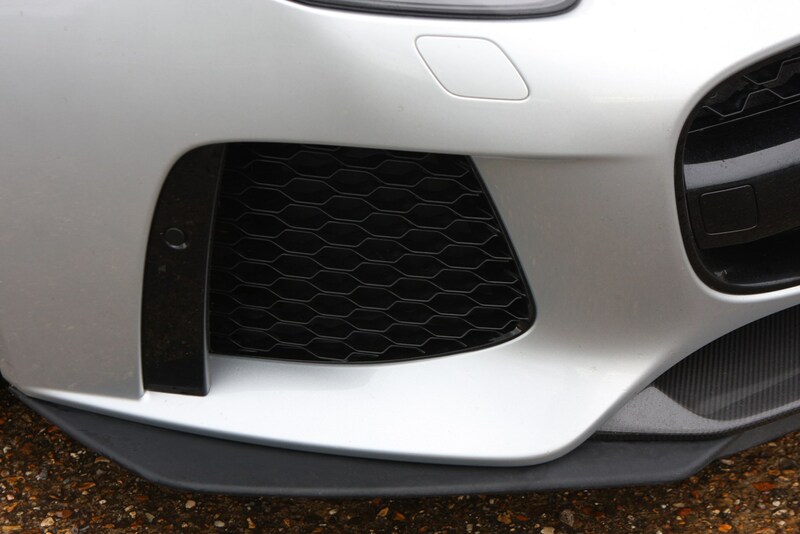 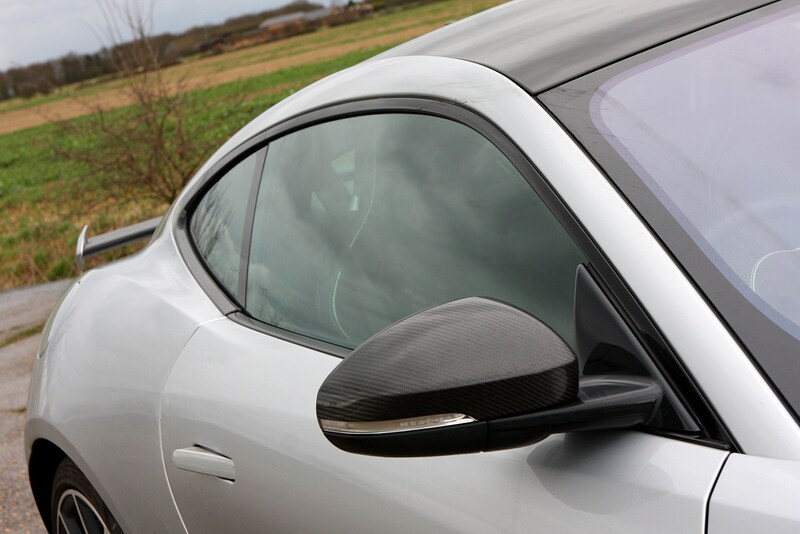 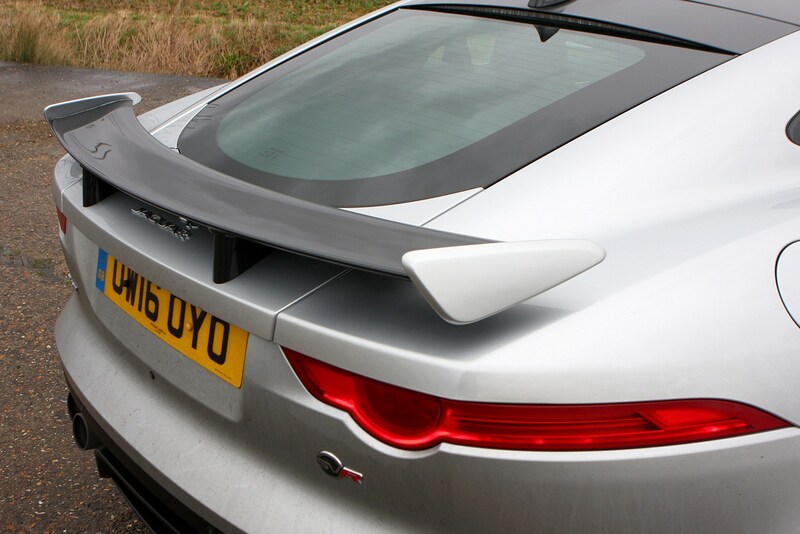 Observe the F-Type’s tapered silhouette in profile and you’ll appreciate that this is not the ideal companion when you’re flat-pack furniture shopping. 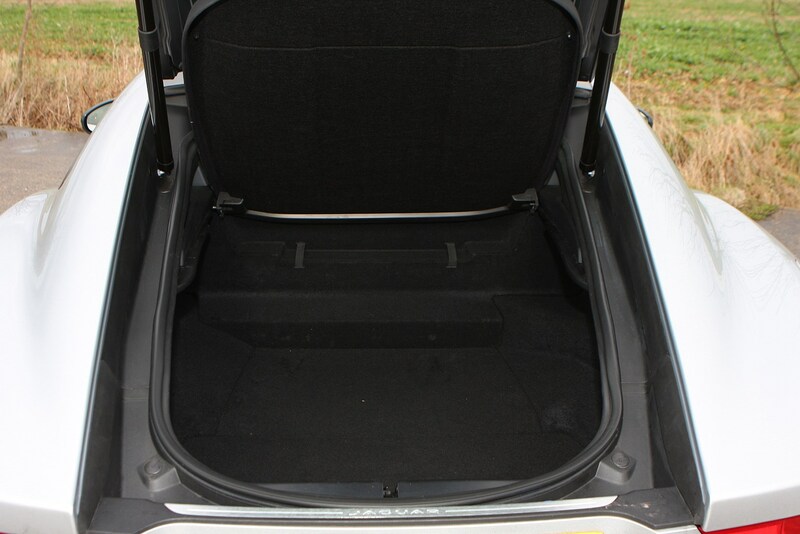 Yes, there’s a long, narrow tailgate, but the bootspace within is shallow thanks to the mechanical components diverting power to the back wheels underneath. 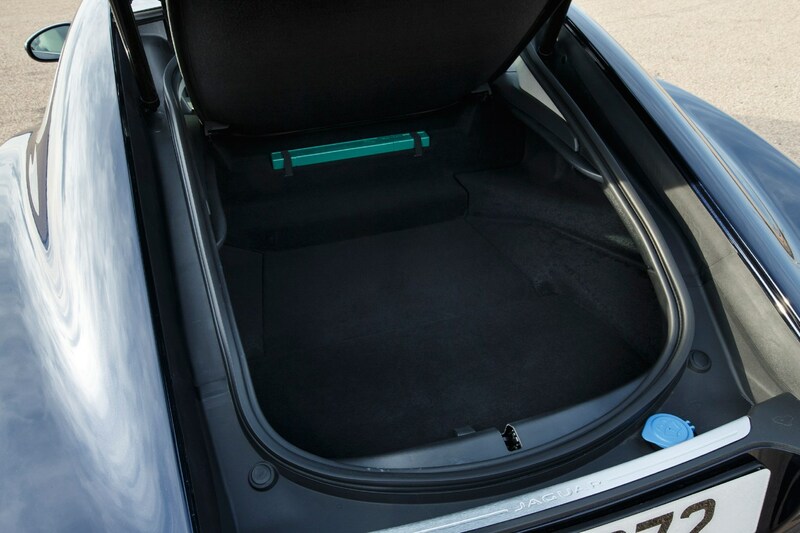 Think soft bags for weekends away, rather than gargantuan rigid cases. 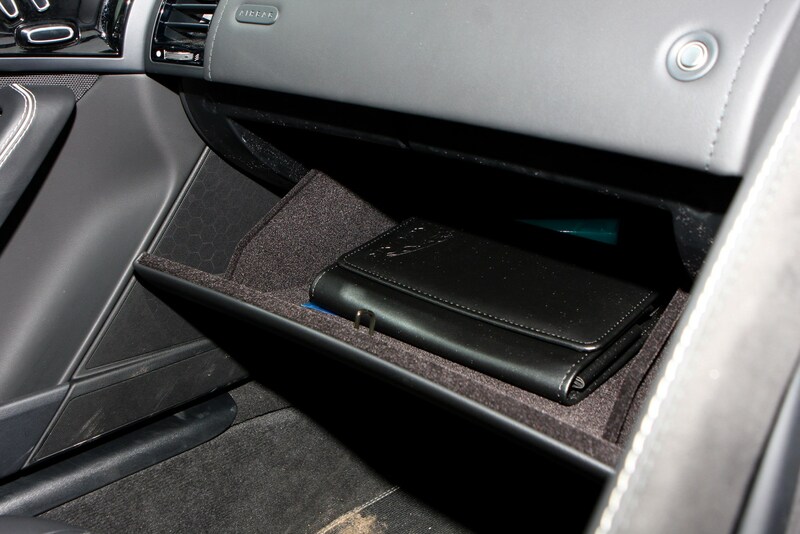 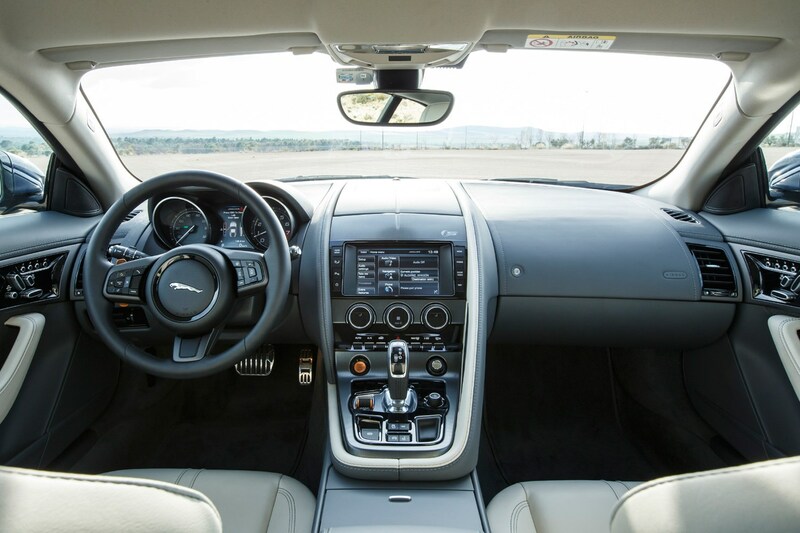 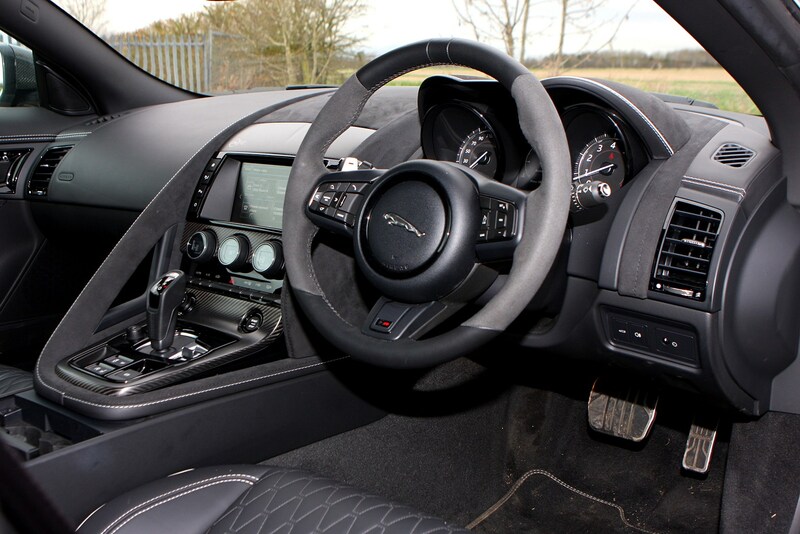 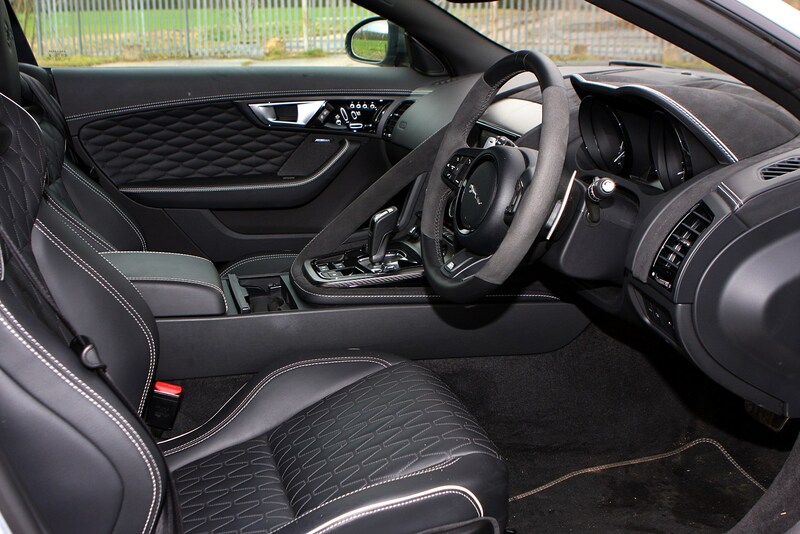 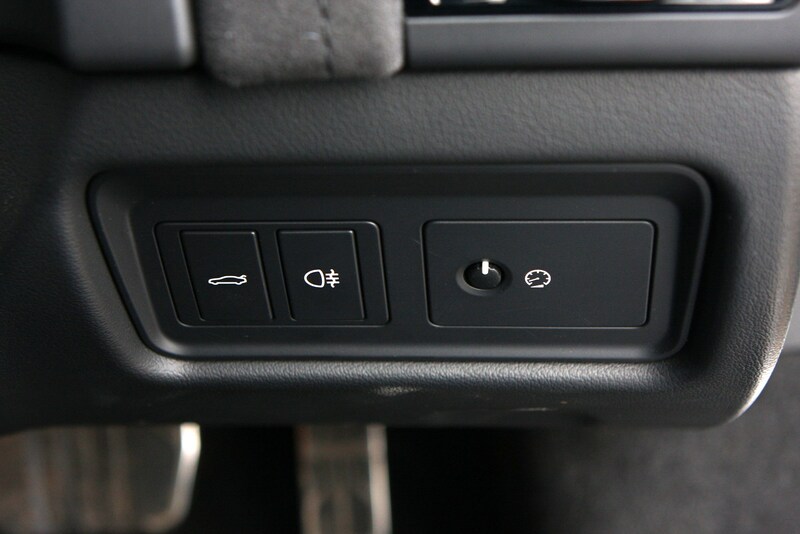 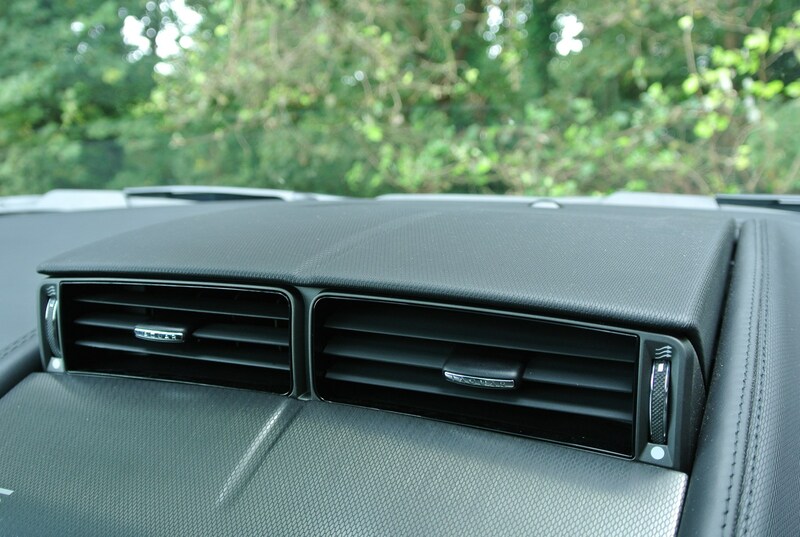 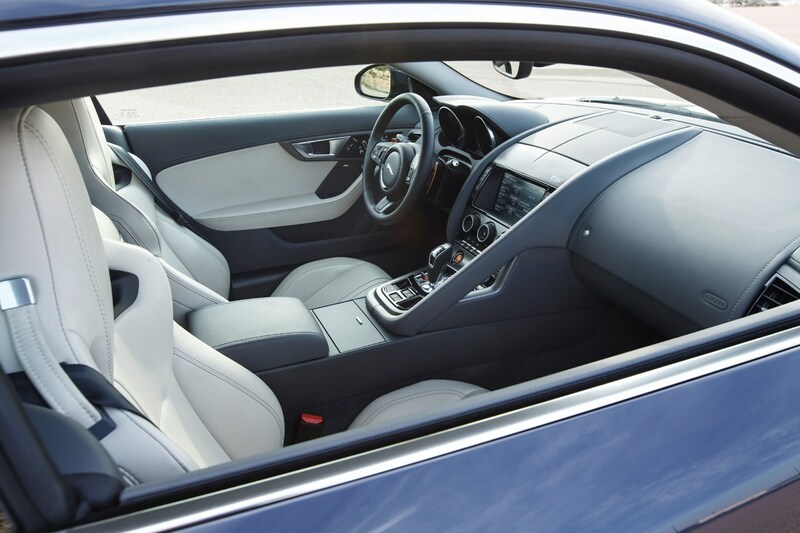 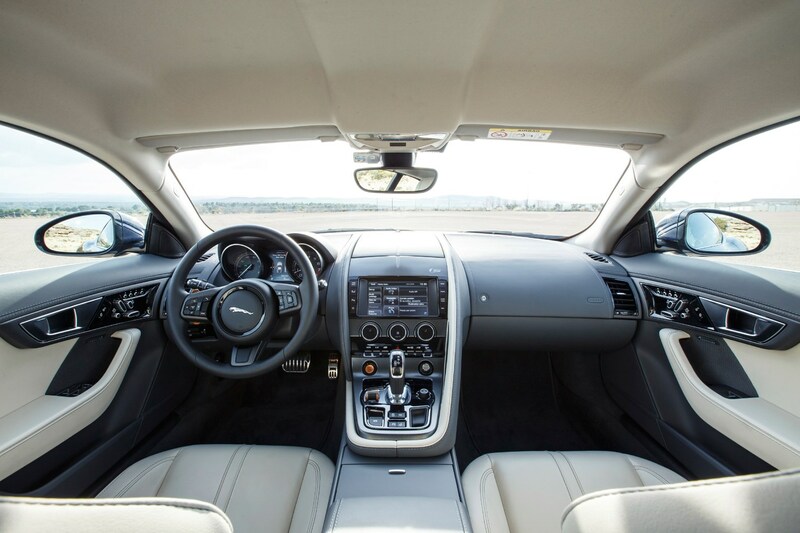 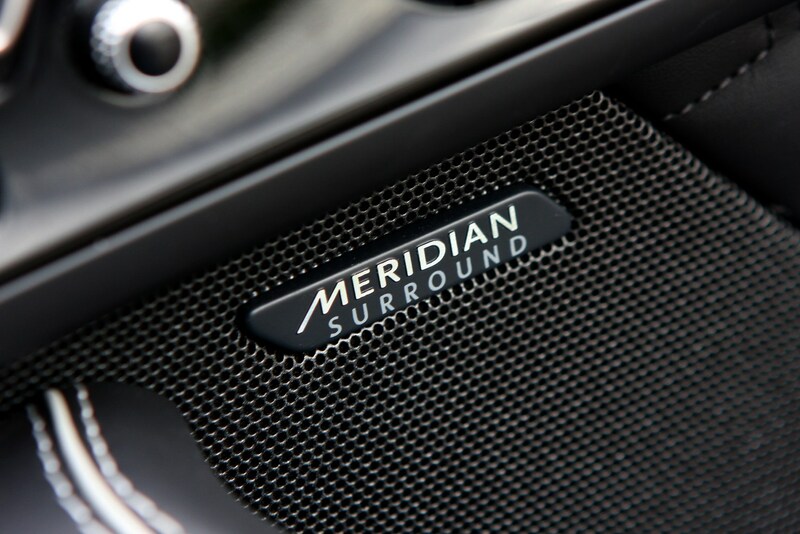 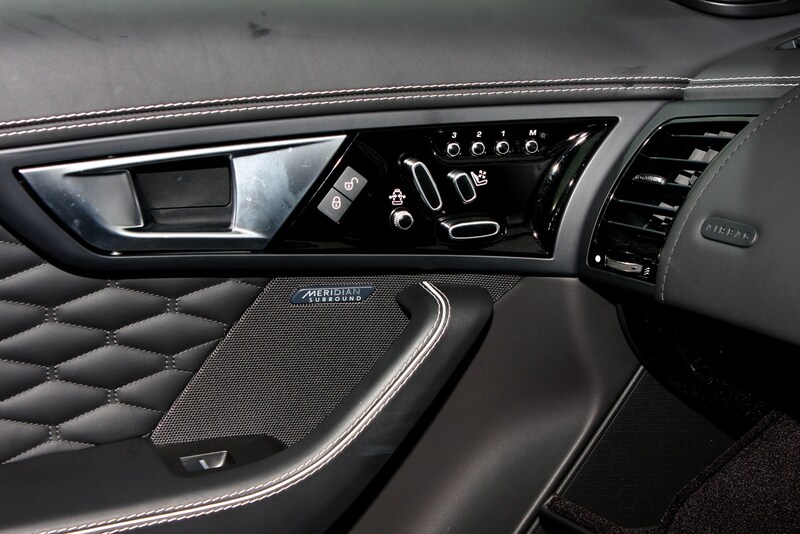 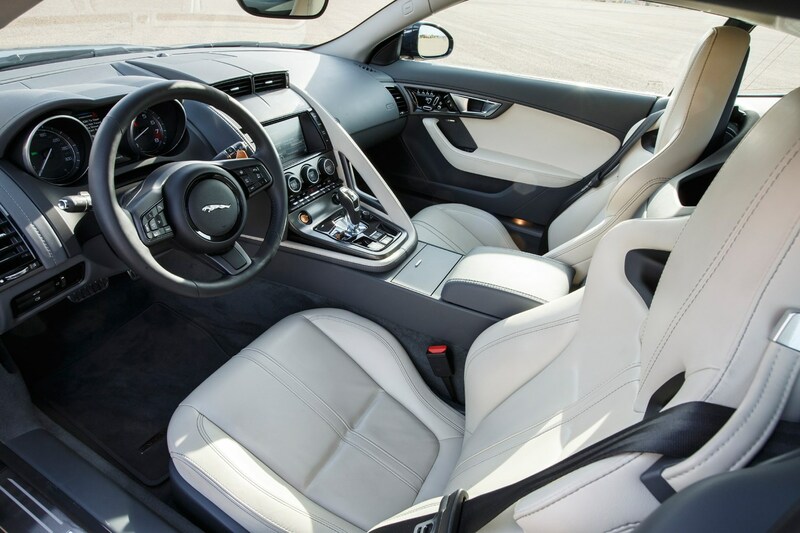 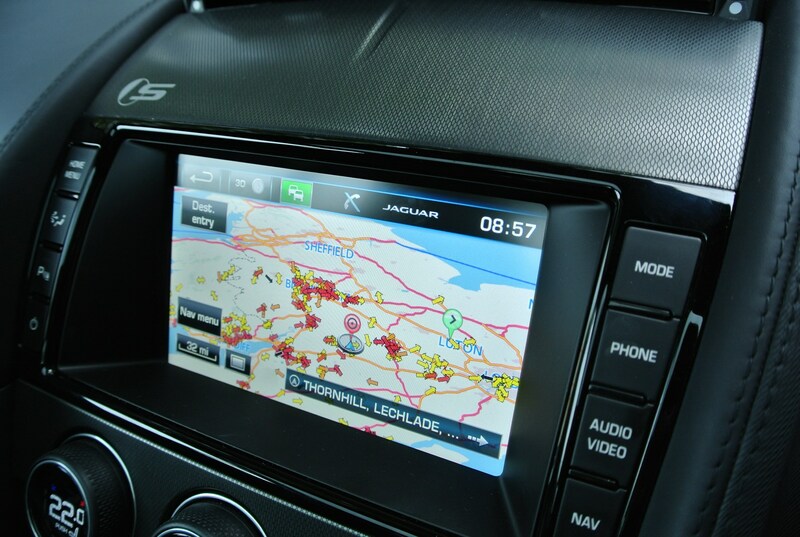 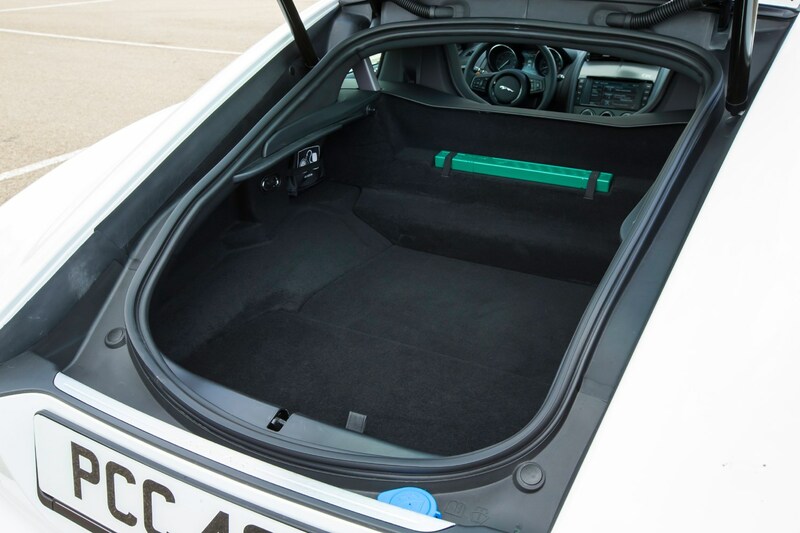 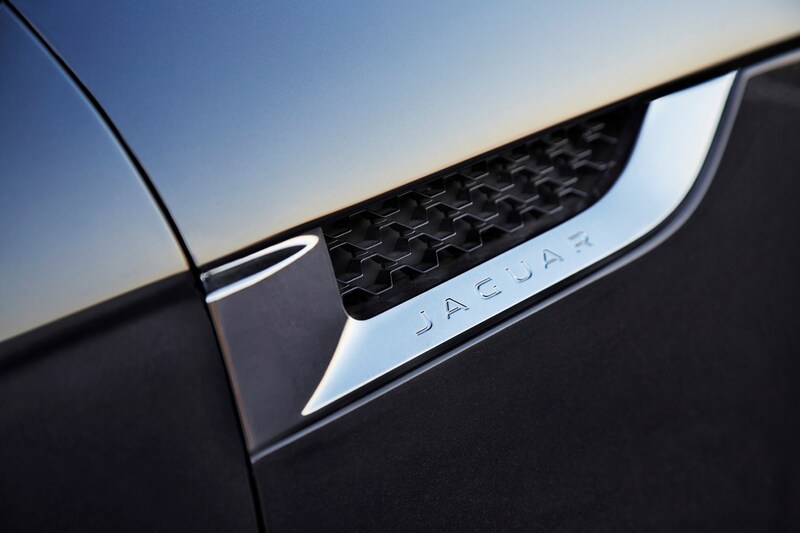 In traditional Jaguar style, the two-seater cabin is snugly comfy rather than generously spacious, but there’s not a huge amount of space to pack away your in-car detritus. 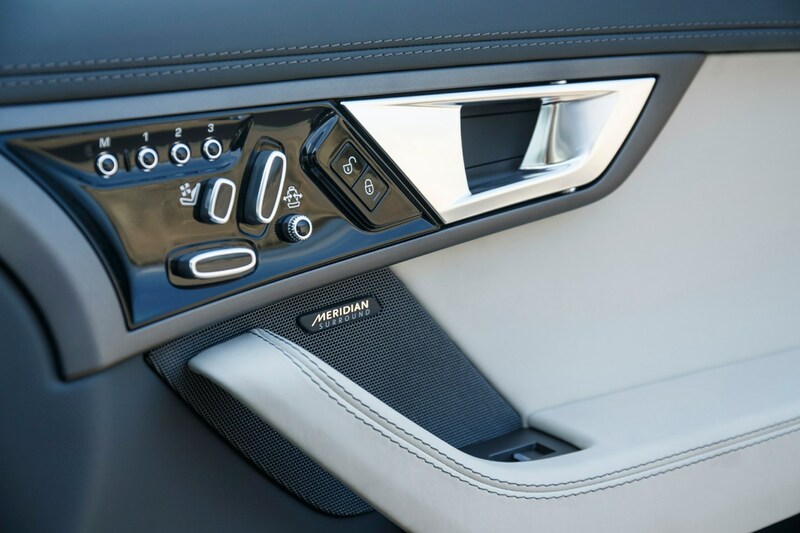 The cupholders are decently sized, though. 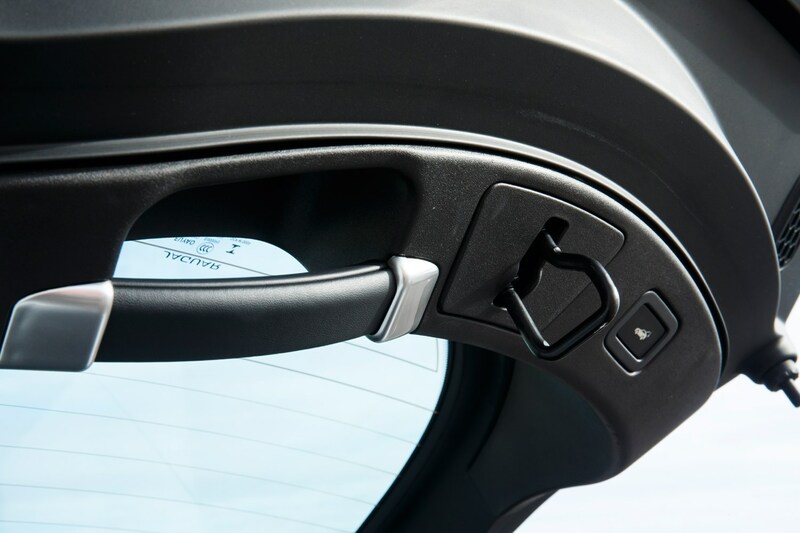 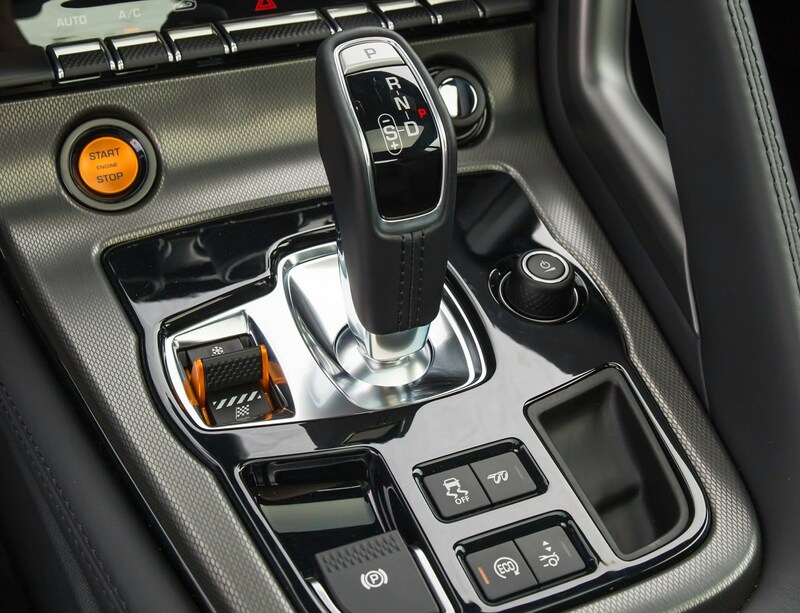 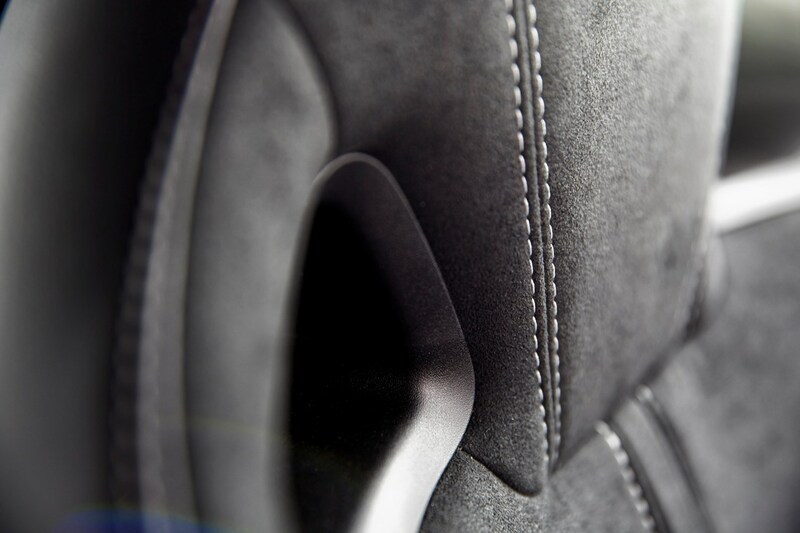 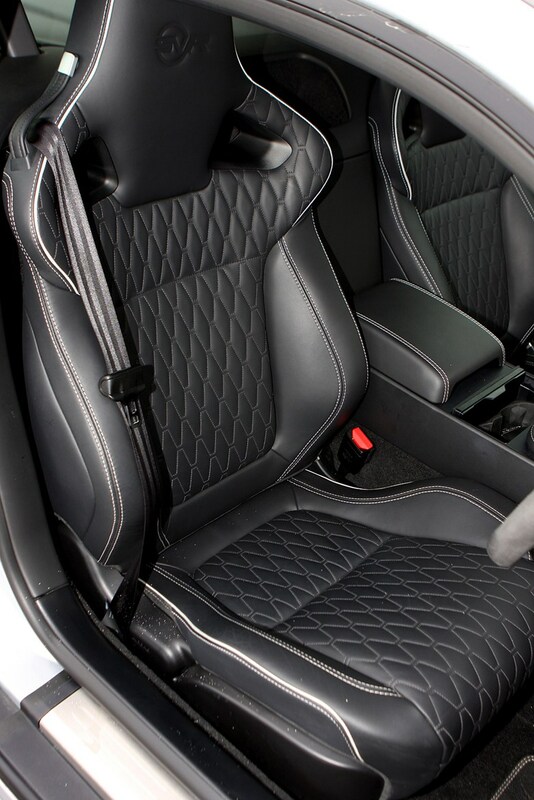 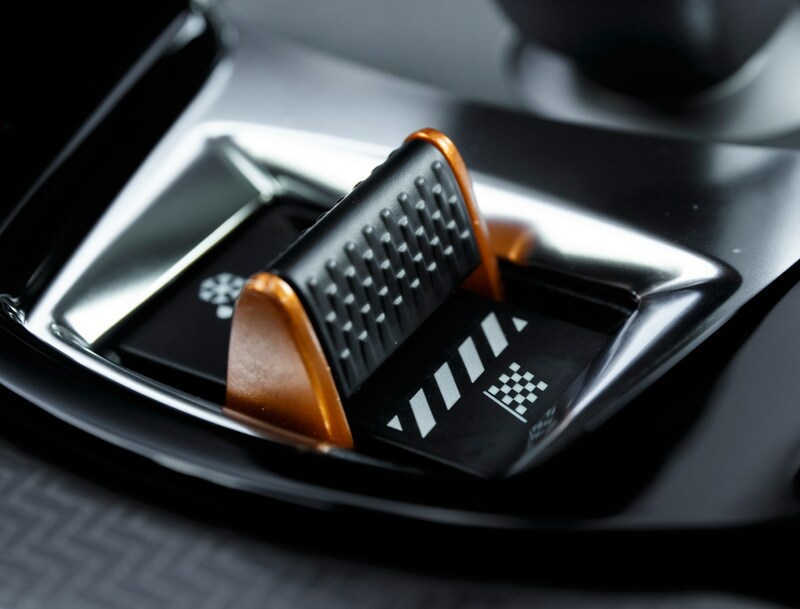 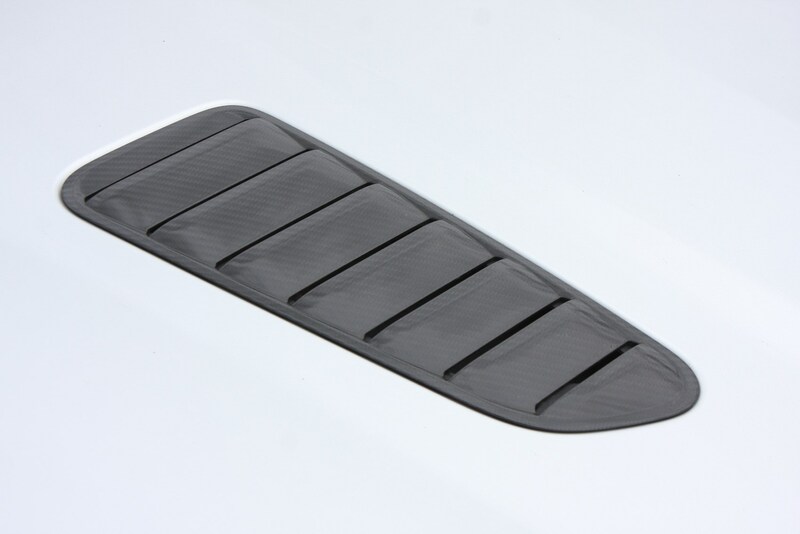 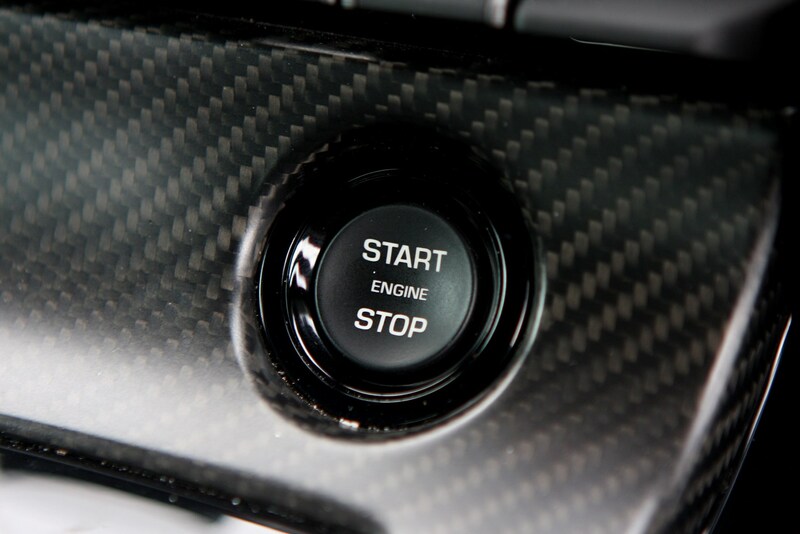 Most of the materials your hands will explore feel of good quality, but this varies from surface-to-surface, plus the way it’s assembled isn’t going to give Porsche employees any sleepless nights. 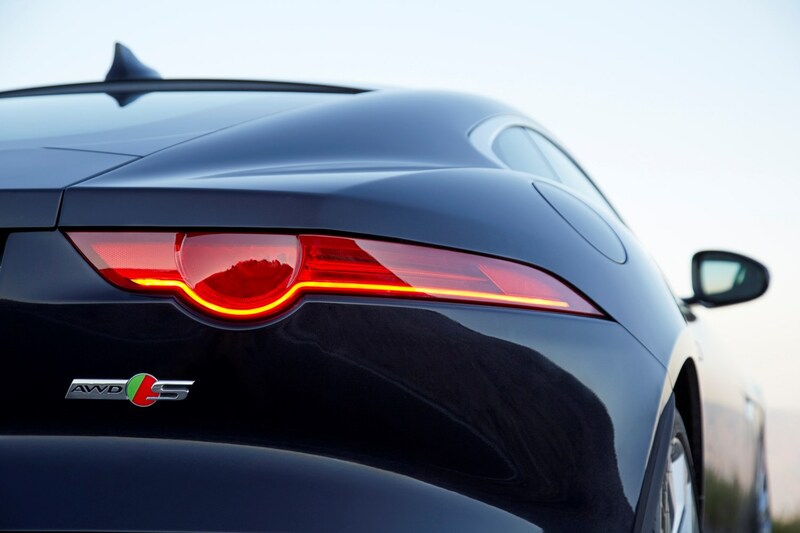 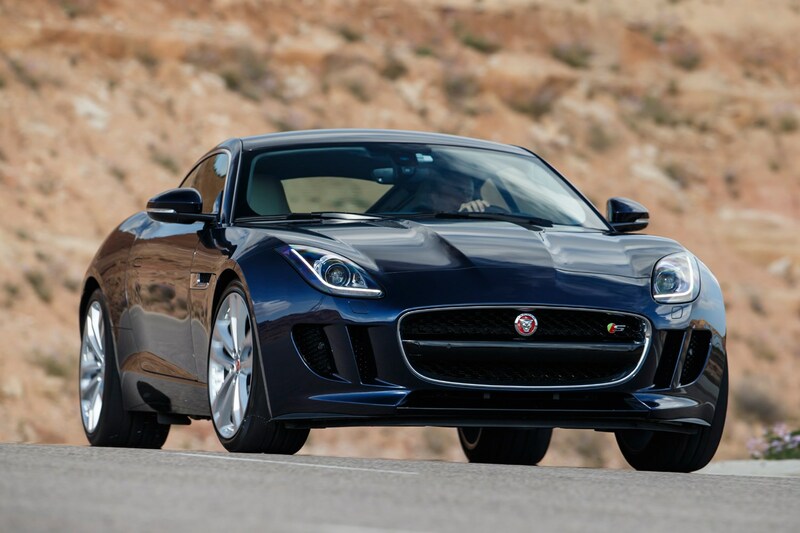 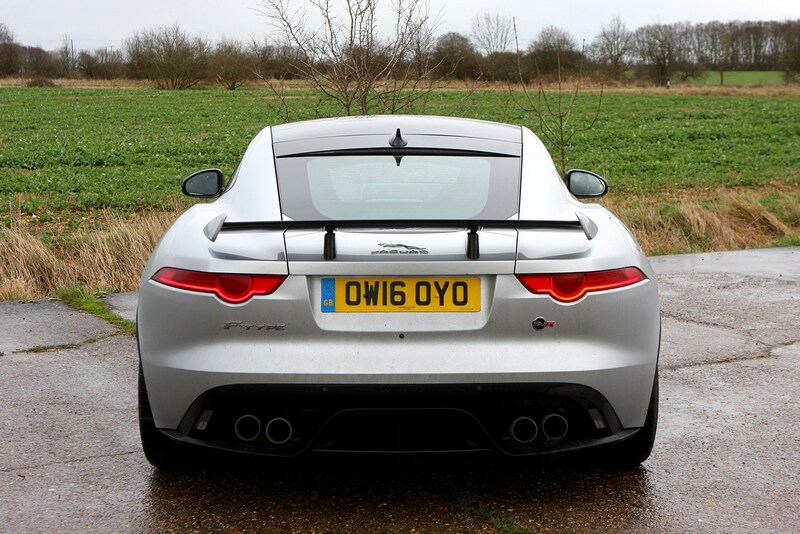 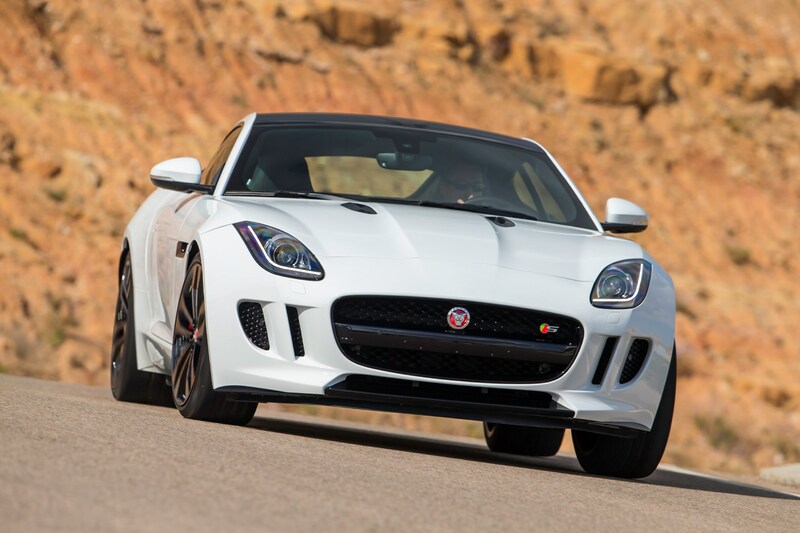 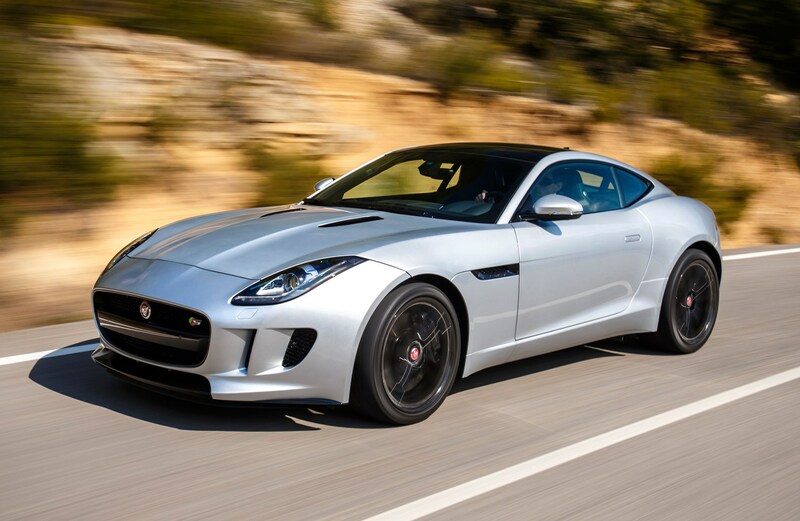 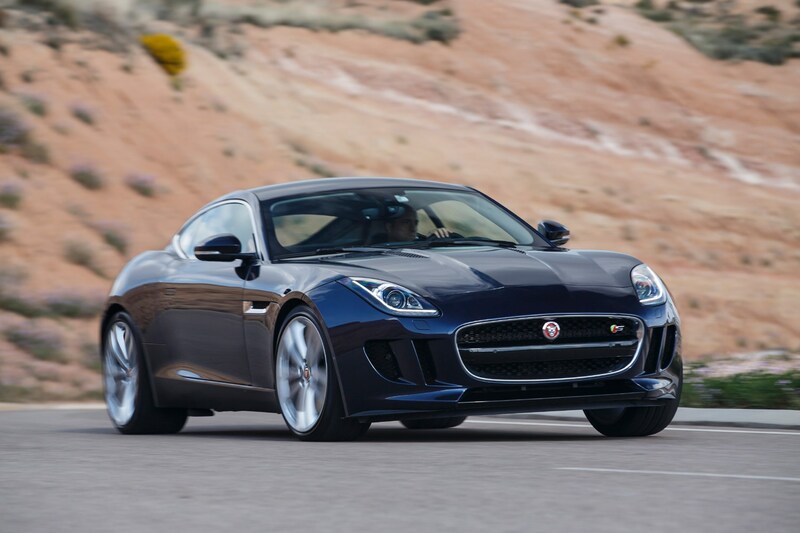 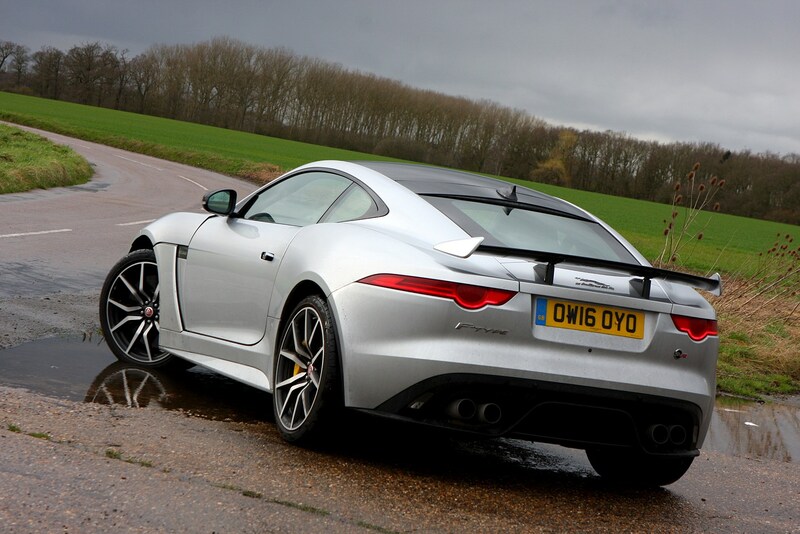 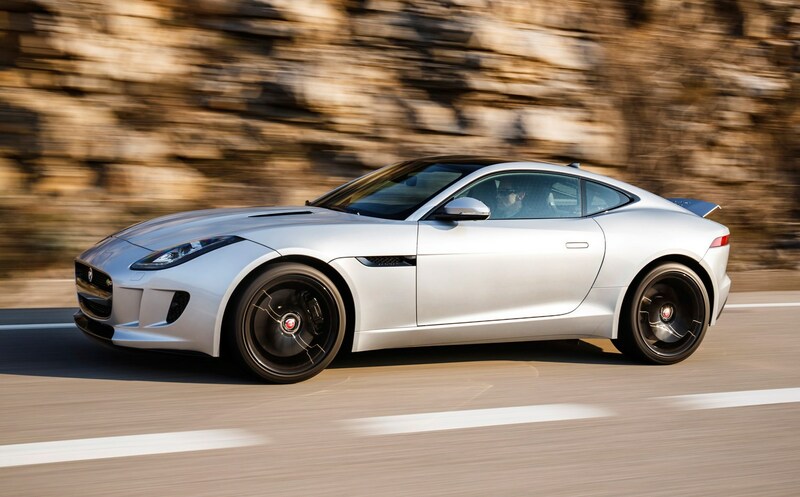 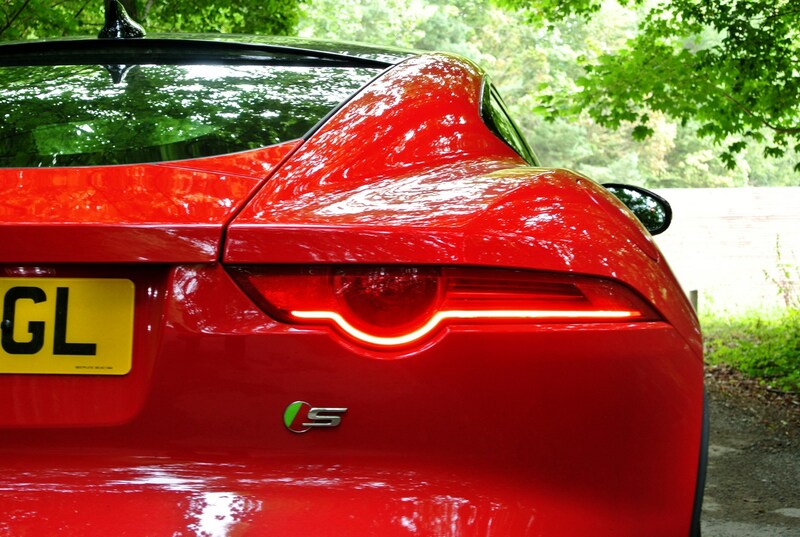 Should you by a Jaguar F-Type Coupe? 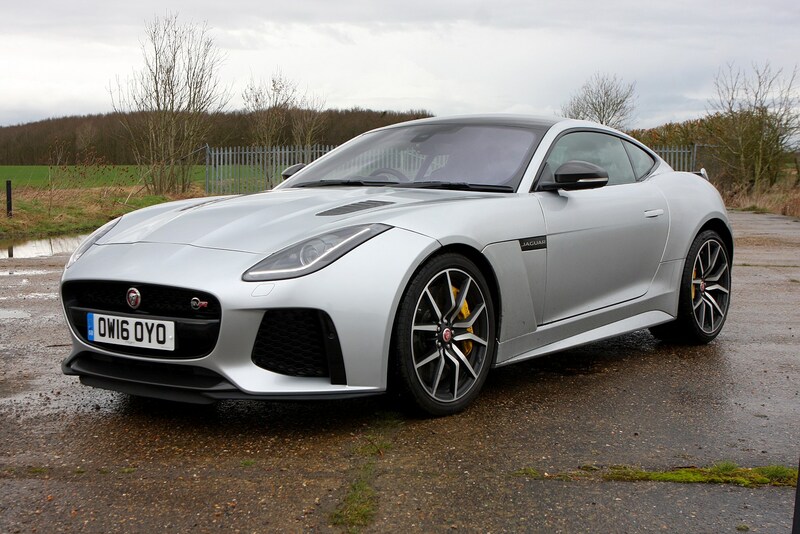 To say this is not the outright best sports coupe money can buy is not a damning criticism – the level of talent in this sector of the market is remarkable. 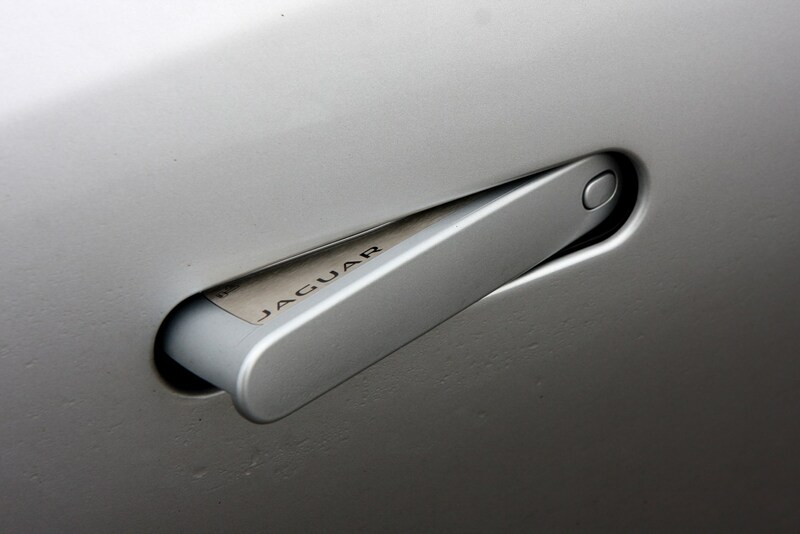 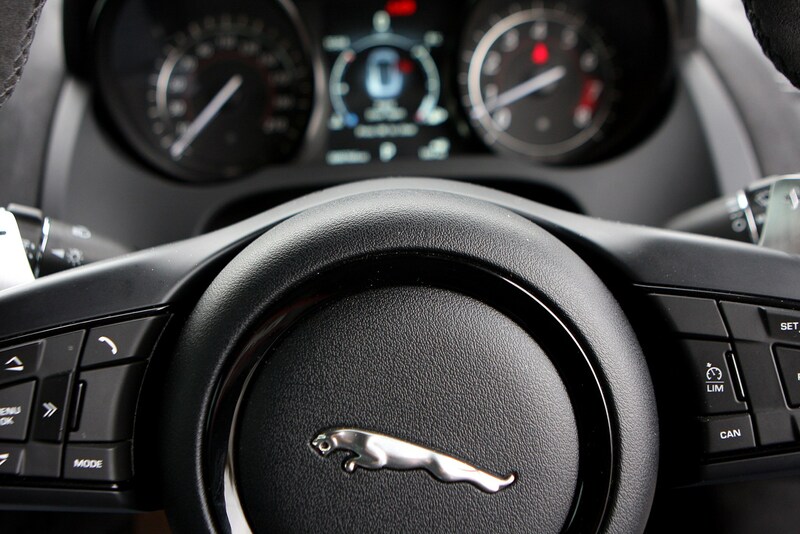 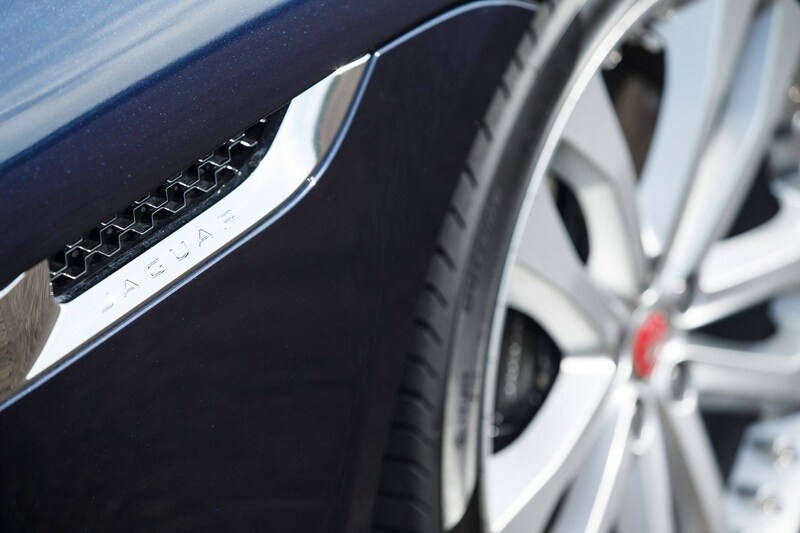 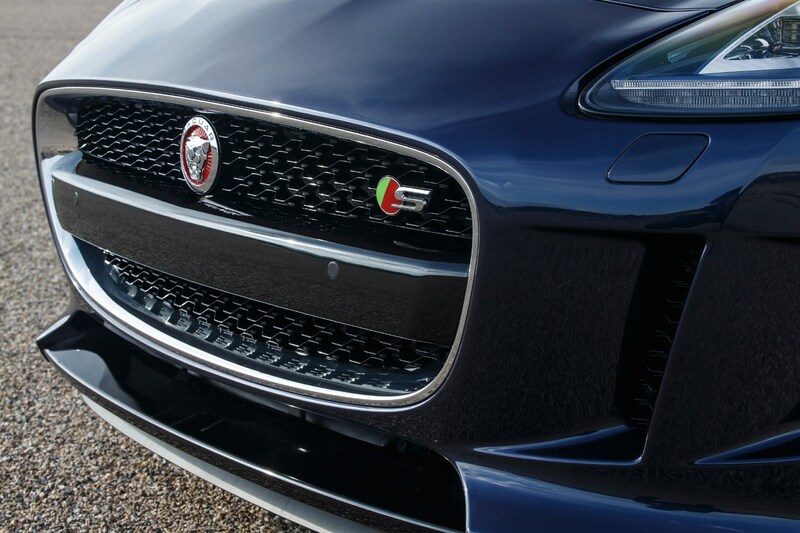 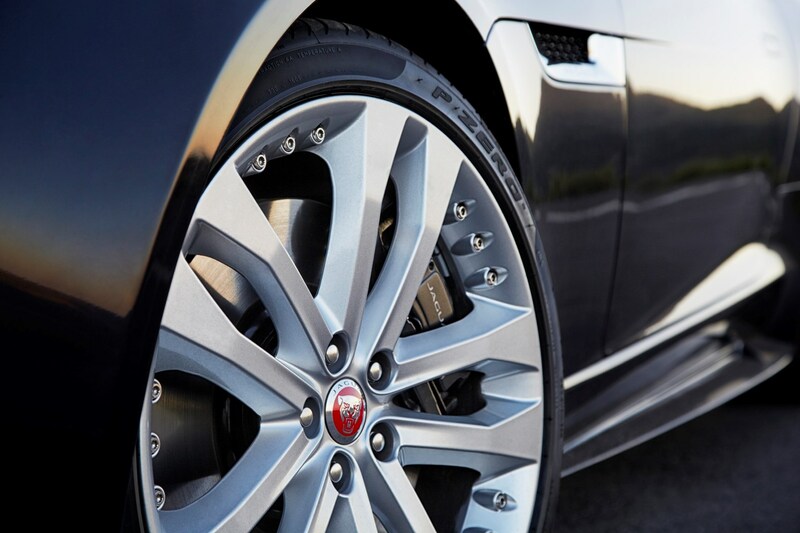 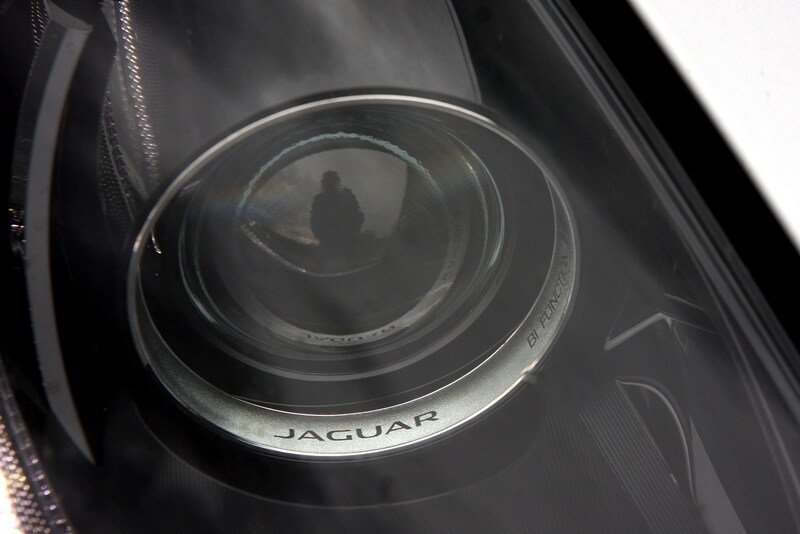 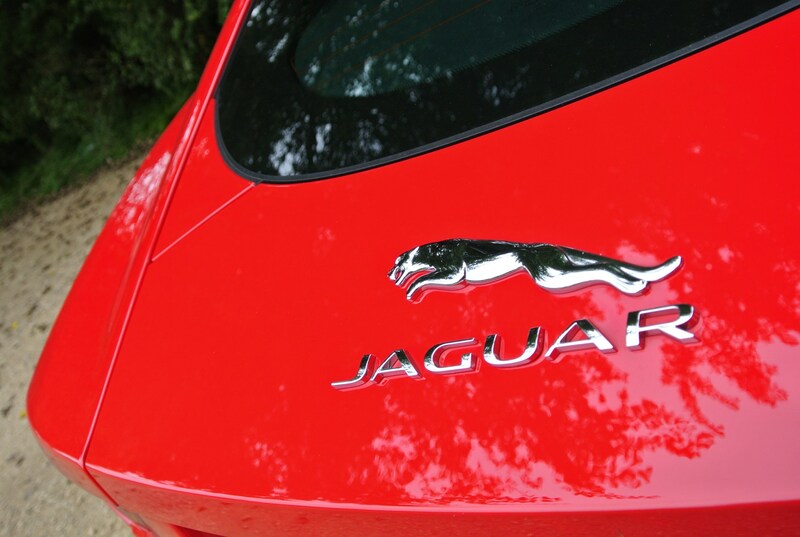 Take the plunge with the Jaguar and you’ll be at the wheel of something that’s incredibly beautiful, hilariously entertaining and brimming with character. 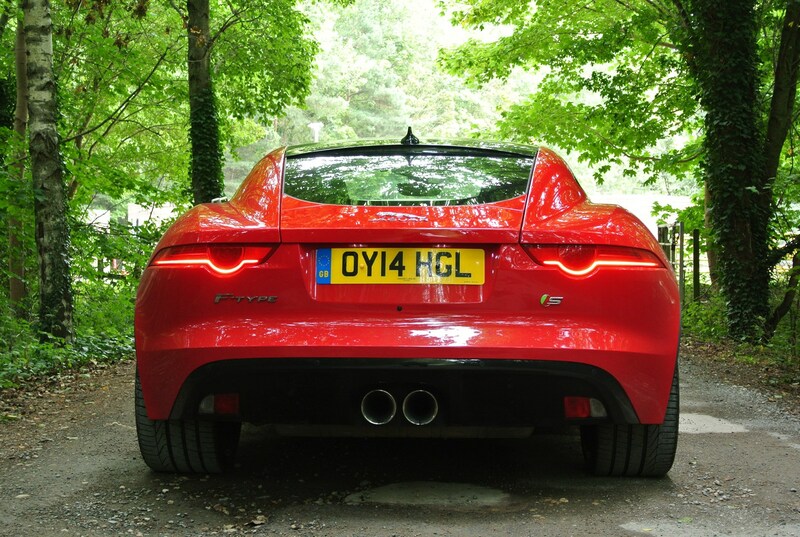 Our advice is that much of what makes the F-Type Coupe so appealing is distilled best in the rear-wheel drive V6 models, although the aural delight of the rumbling V8s is admittedly difficult to ignore.